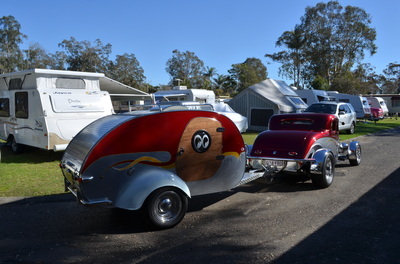 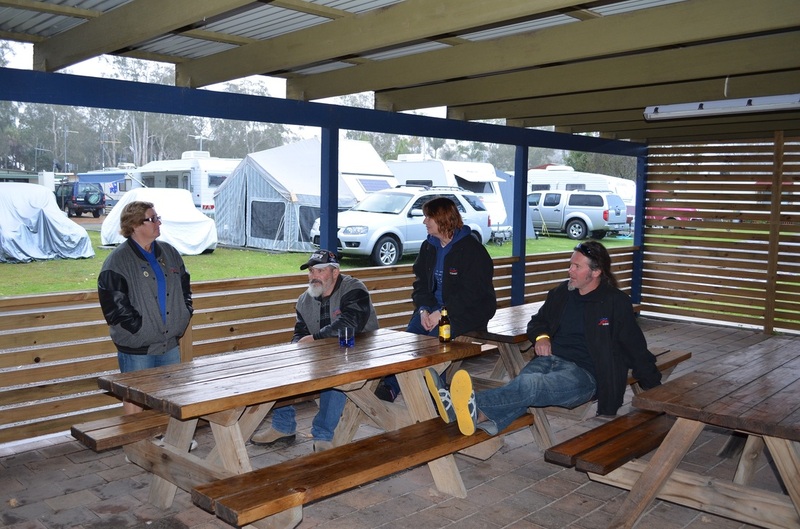 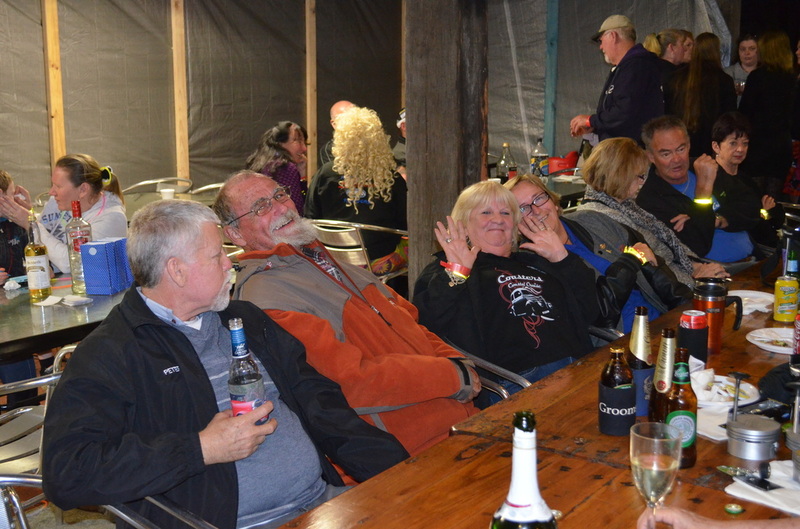 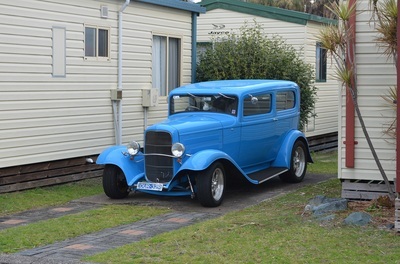 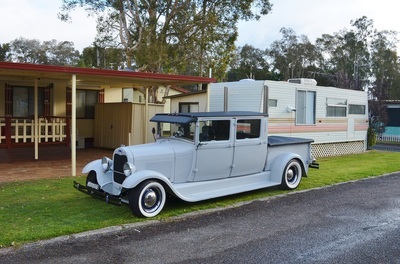 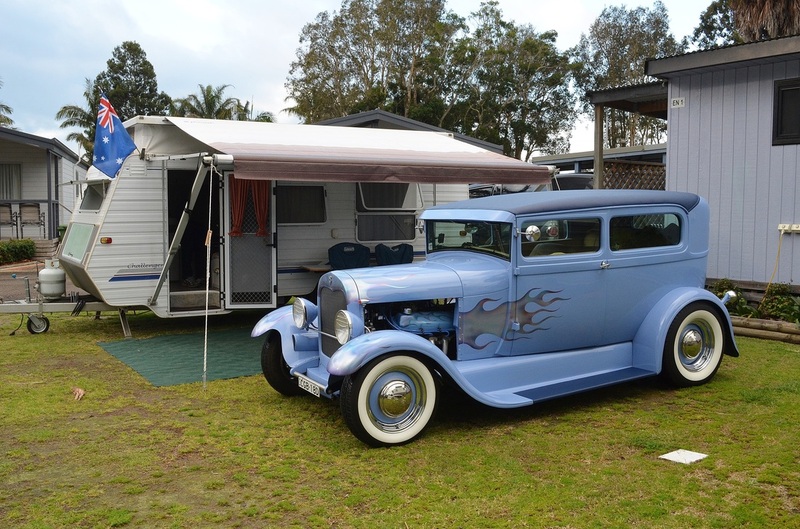 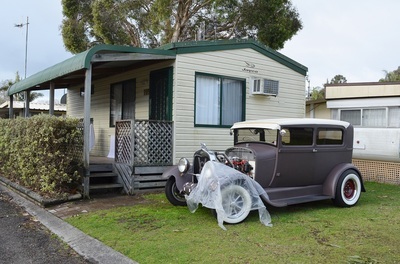 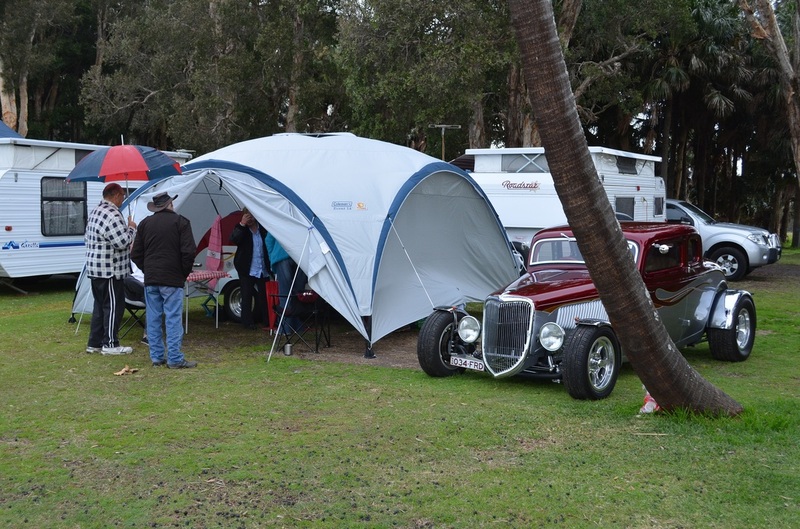 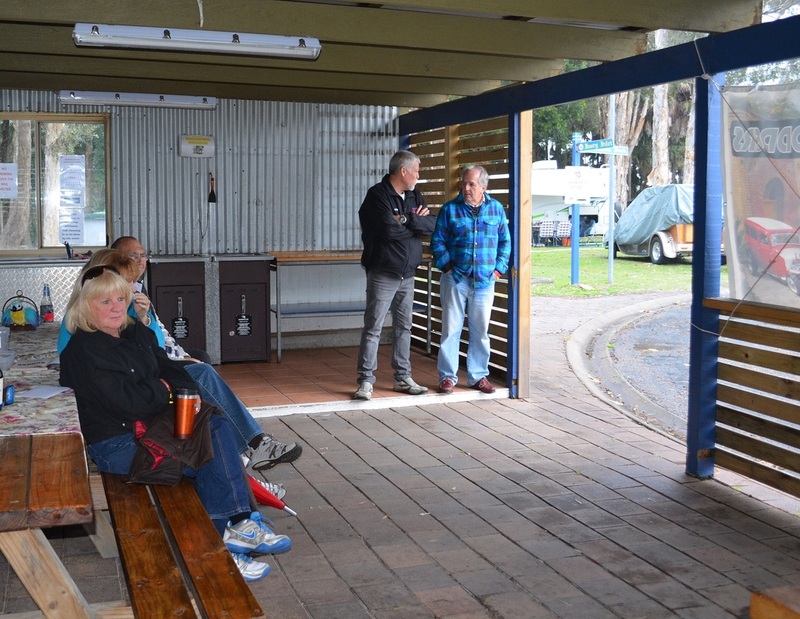 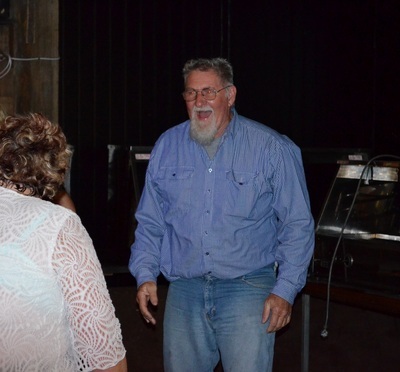 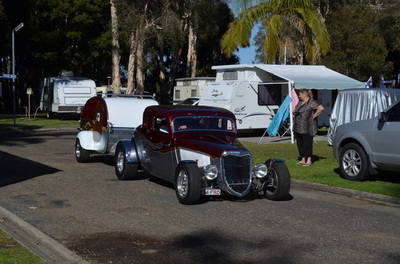 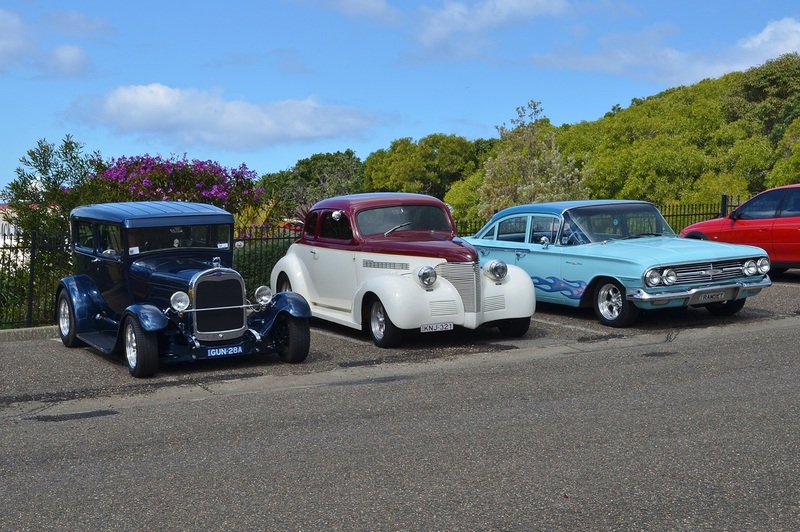 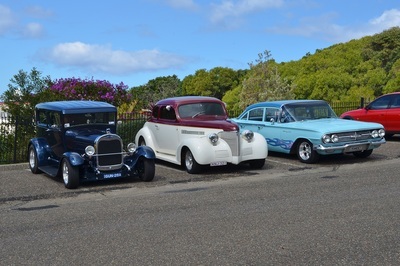 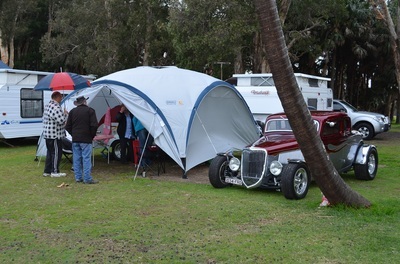 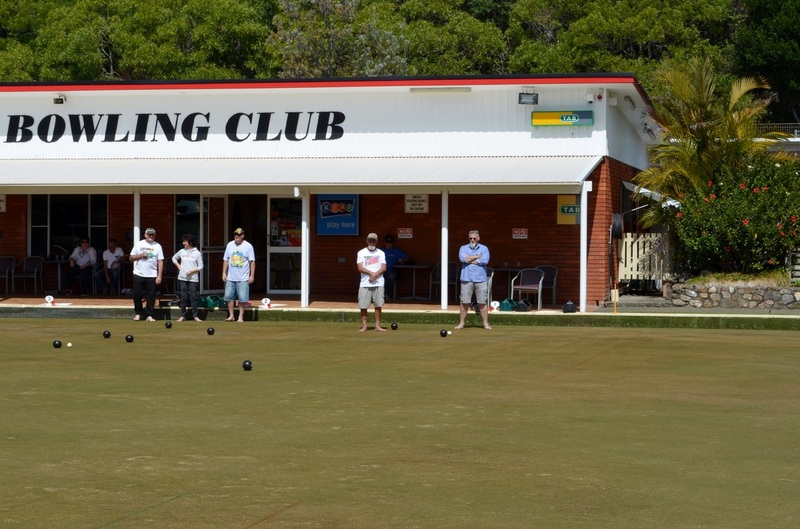 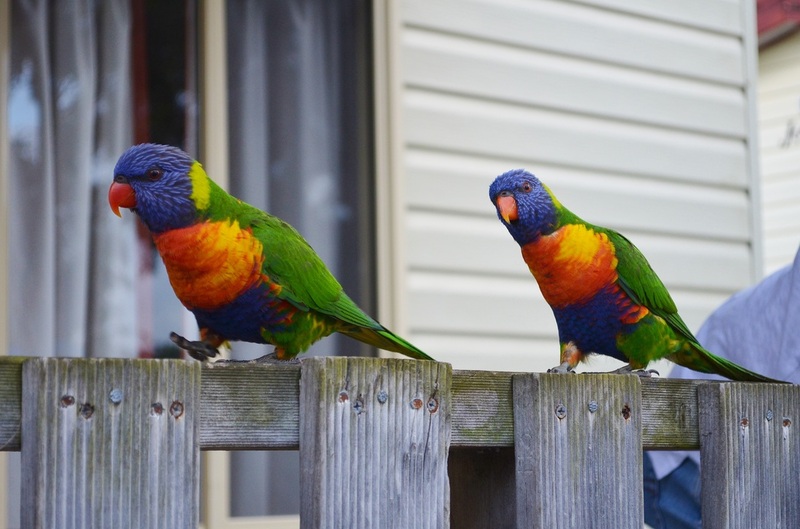 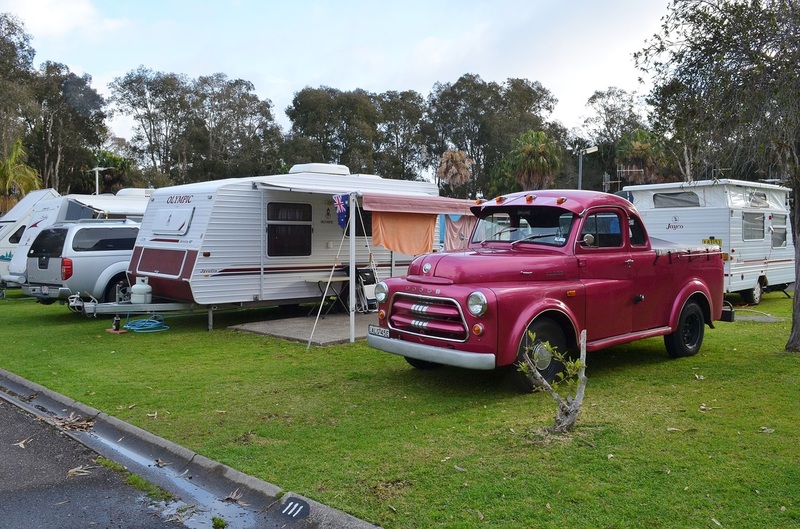 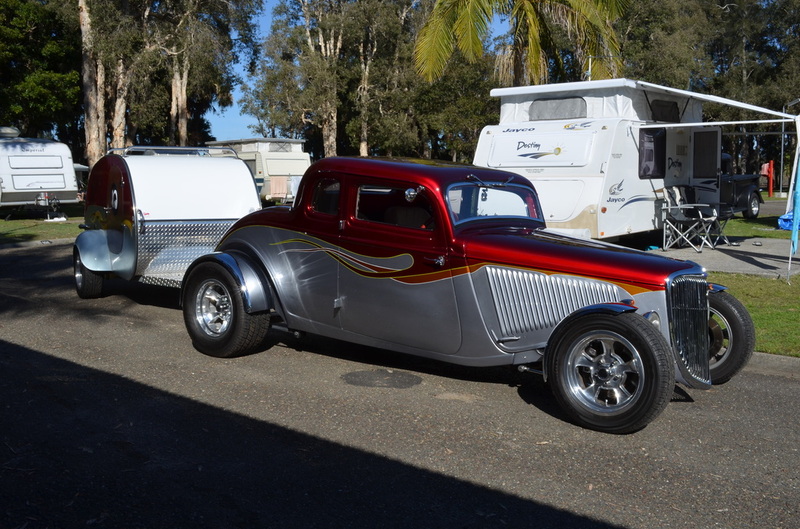 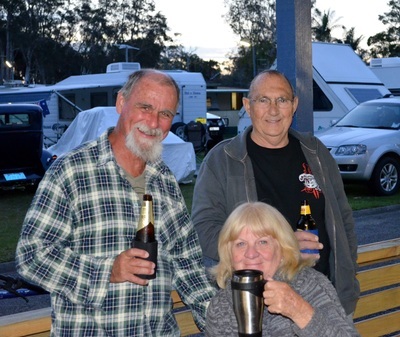 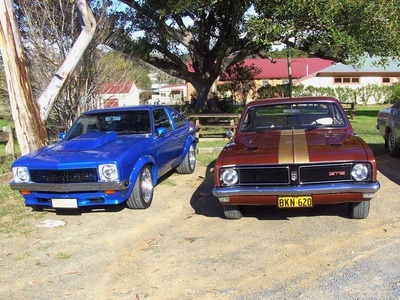 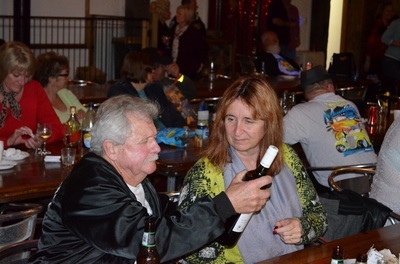 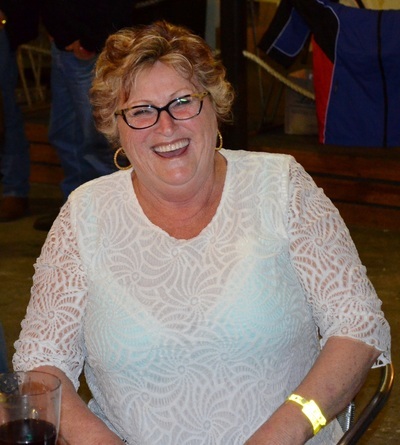 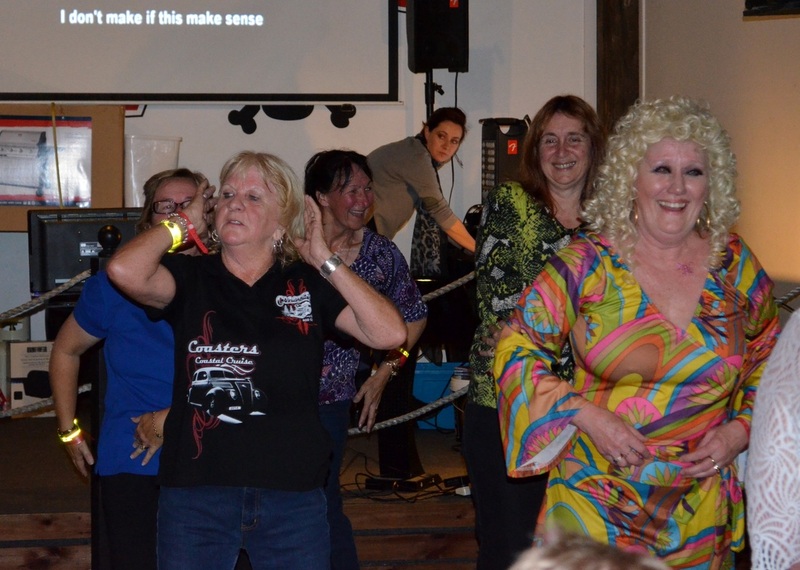 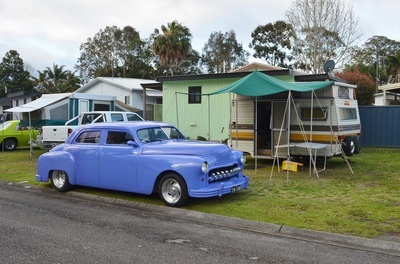 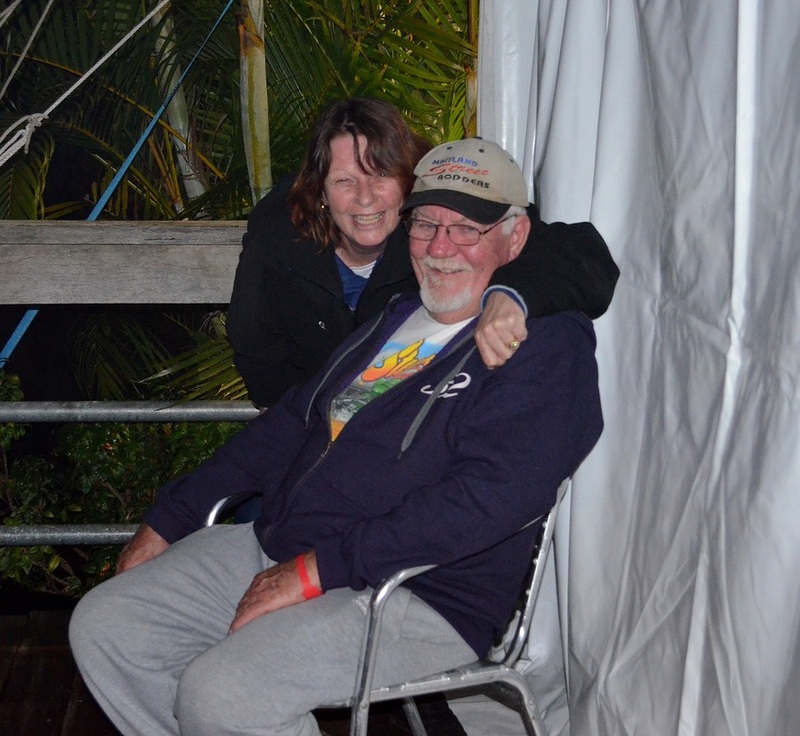 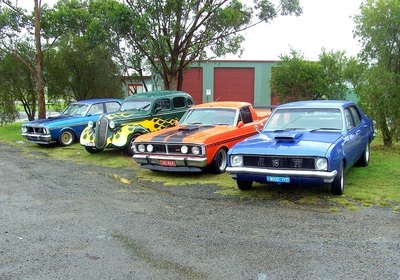 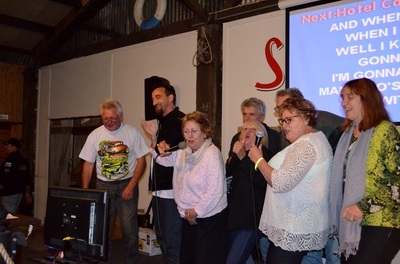 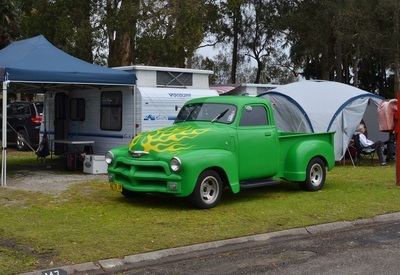 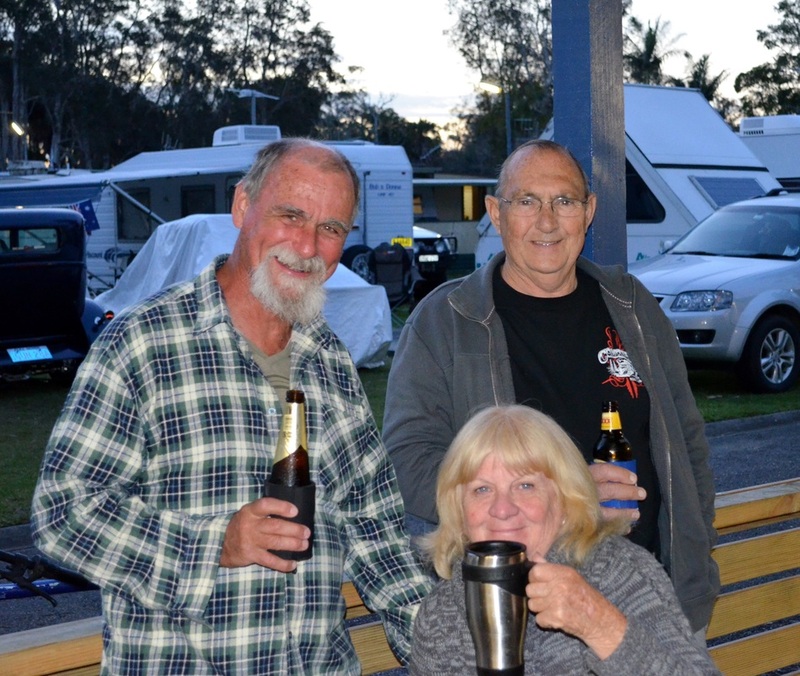 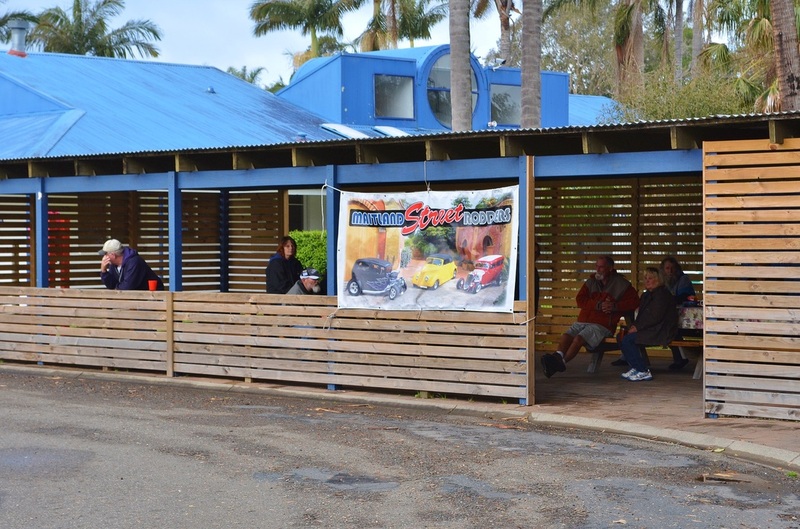 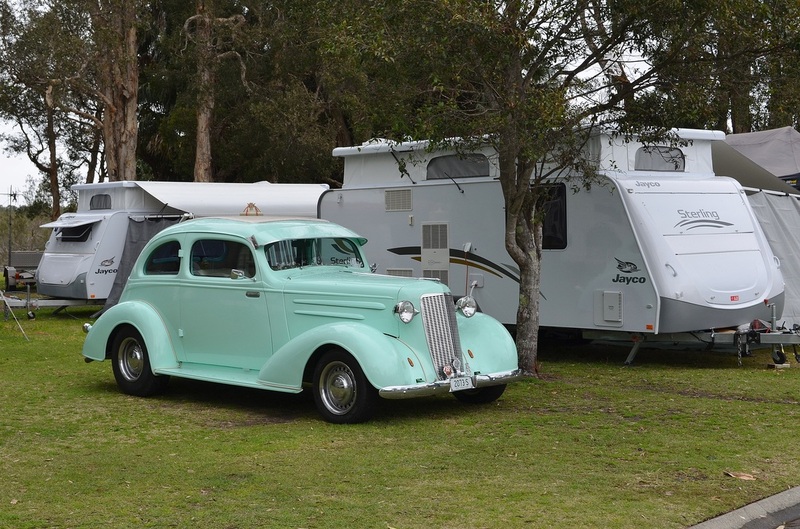 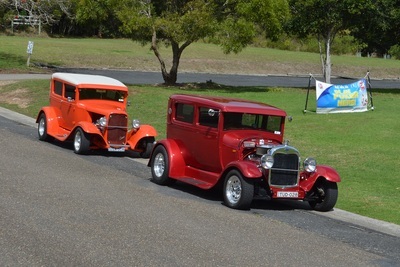 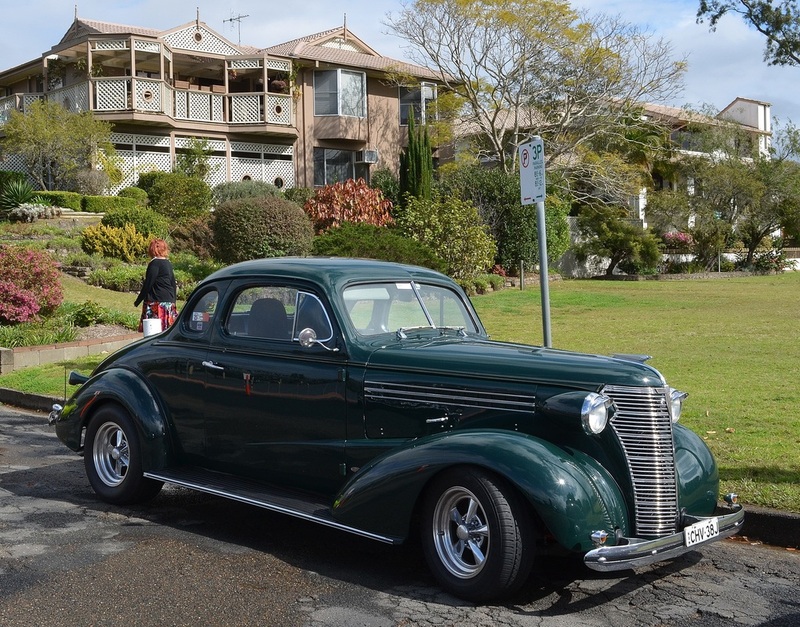 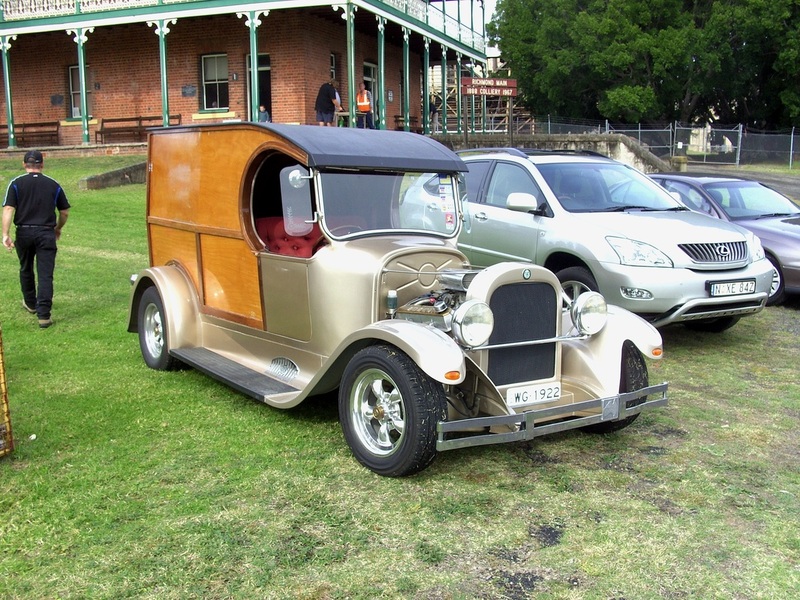 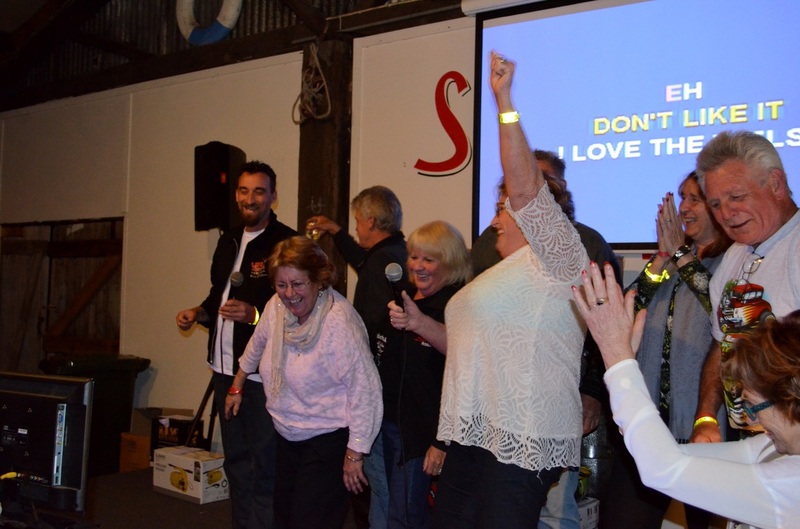 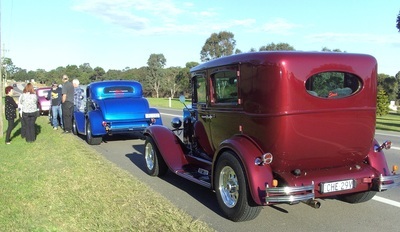 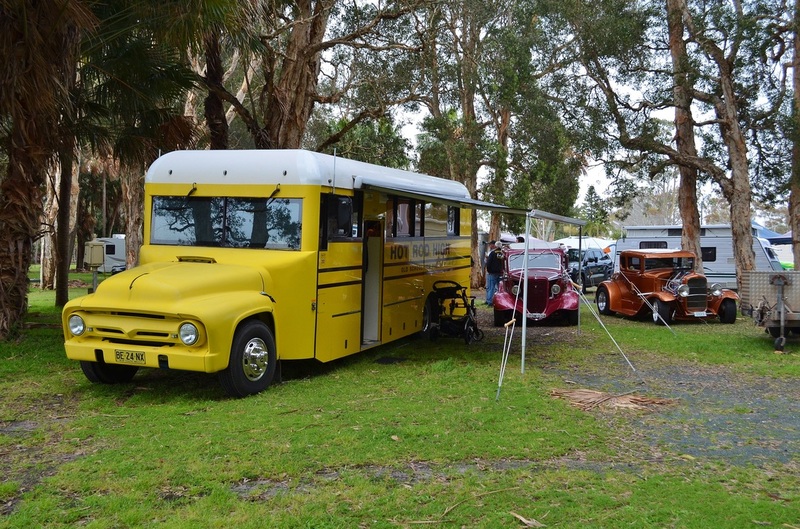 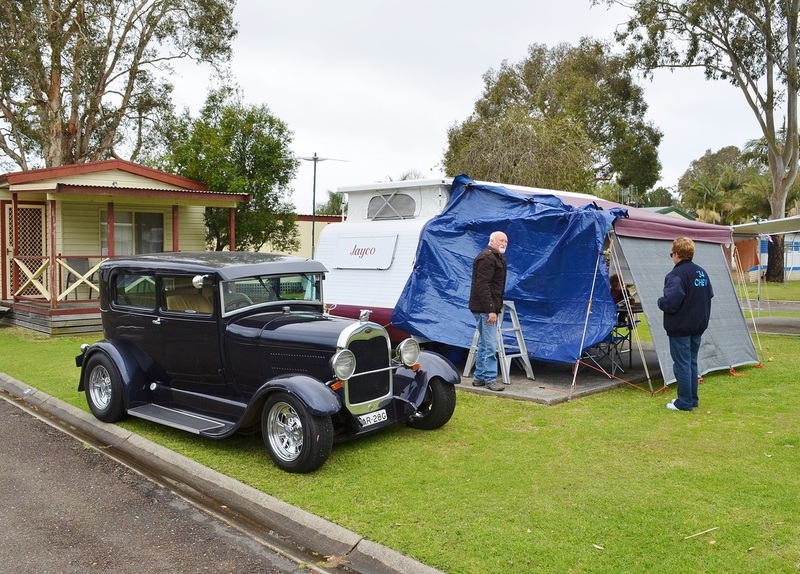 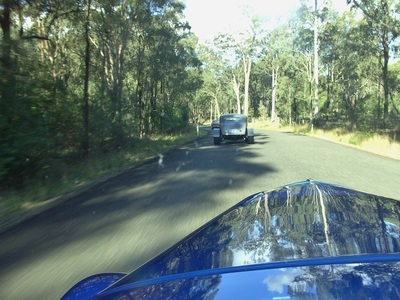 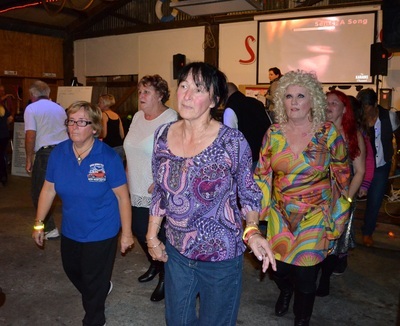 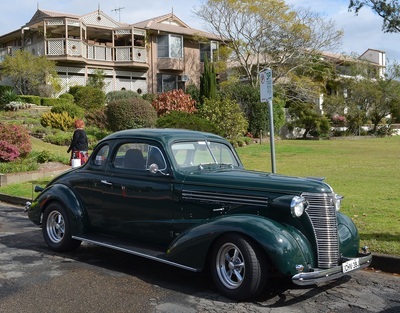 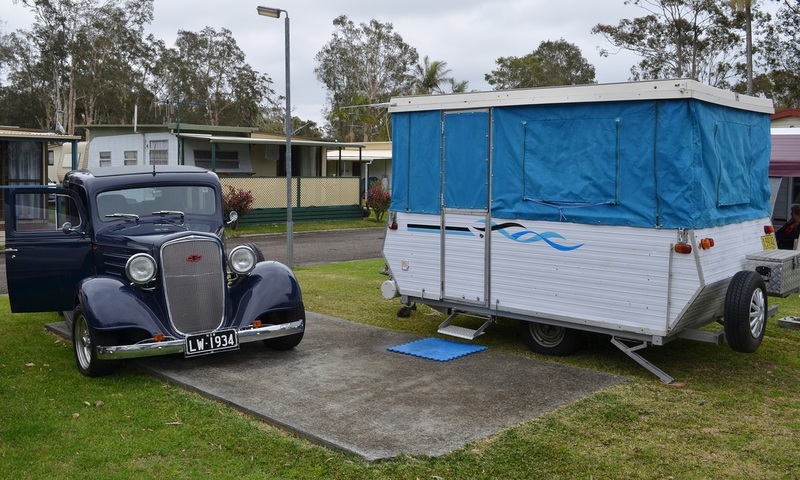 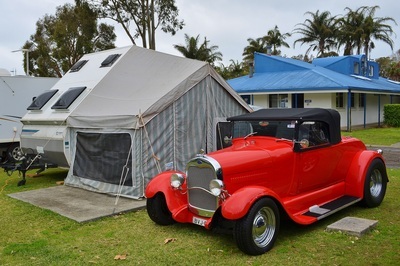 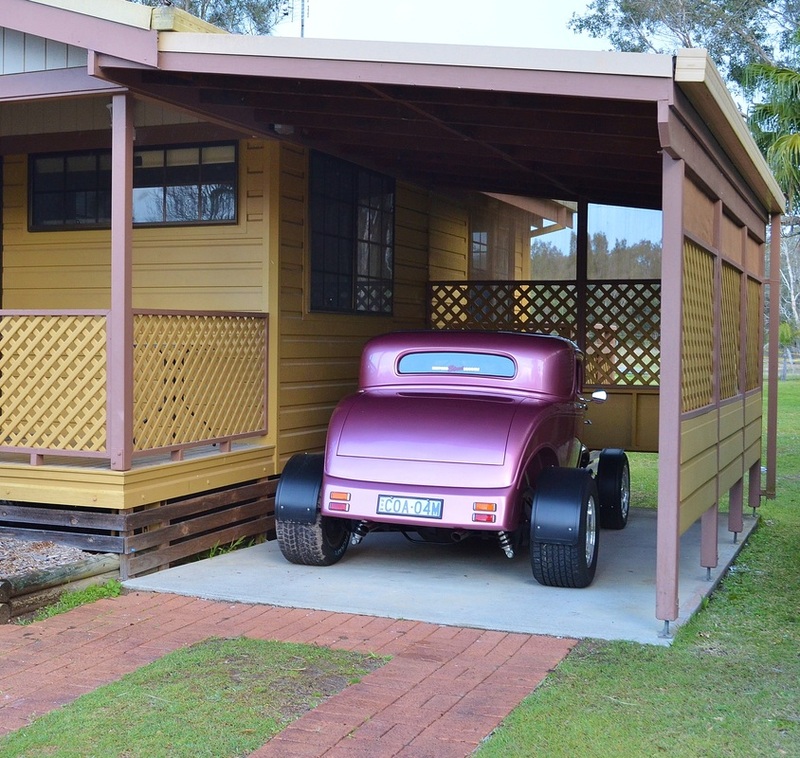 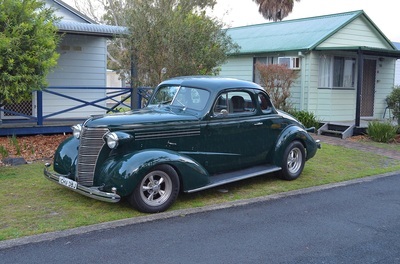 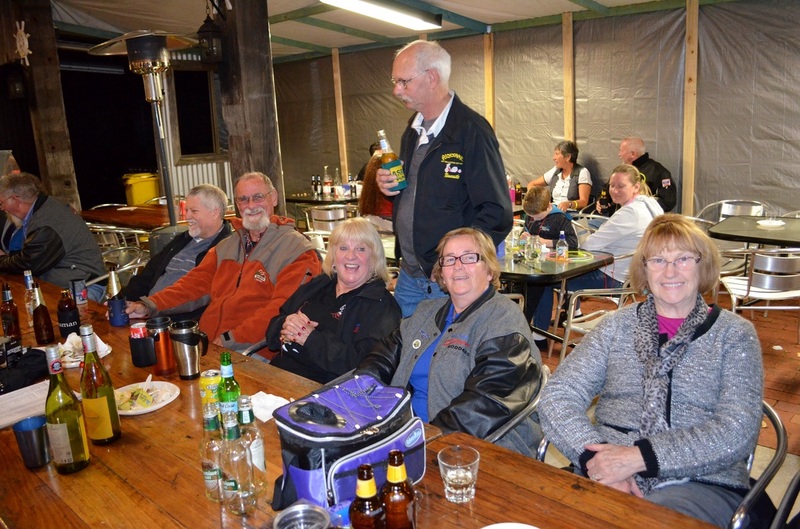 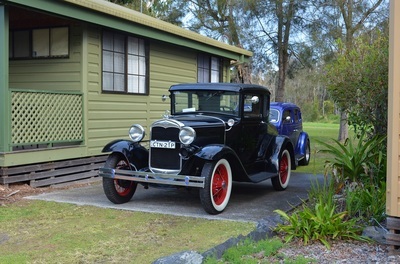 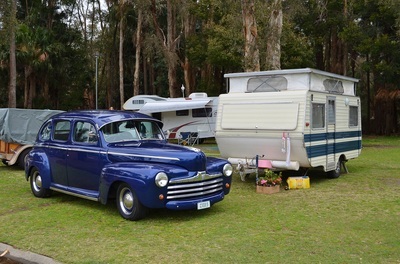 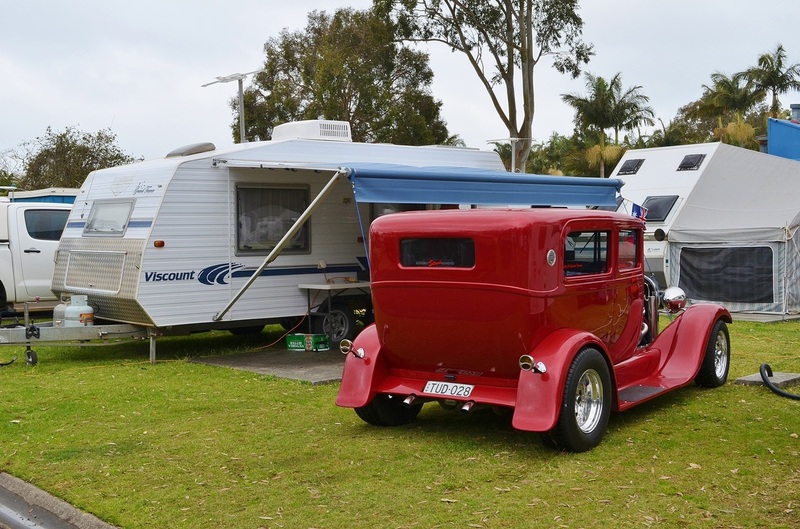 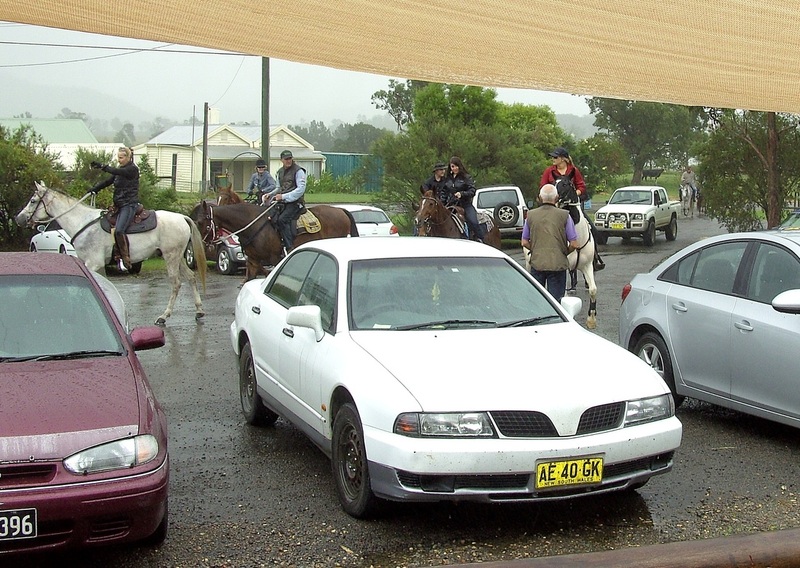 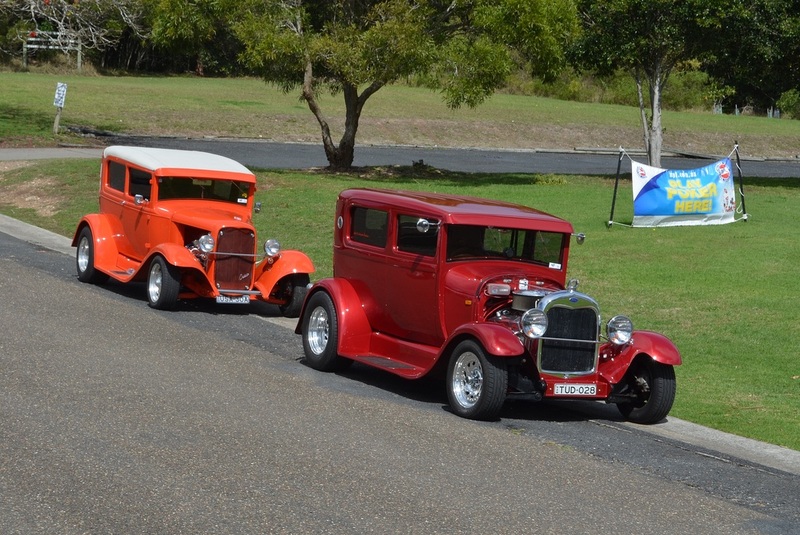 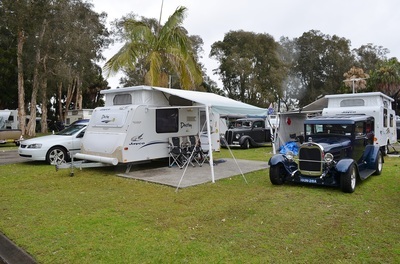 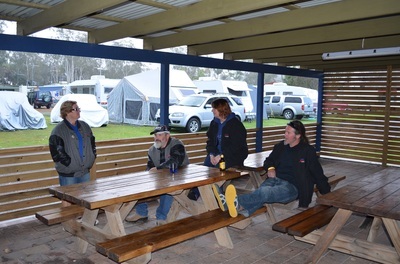 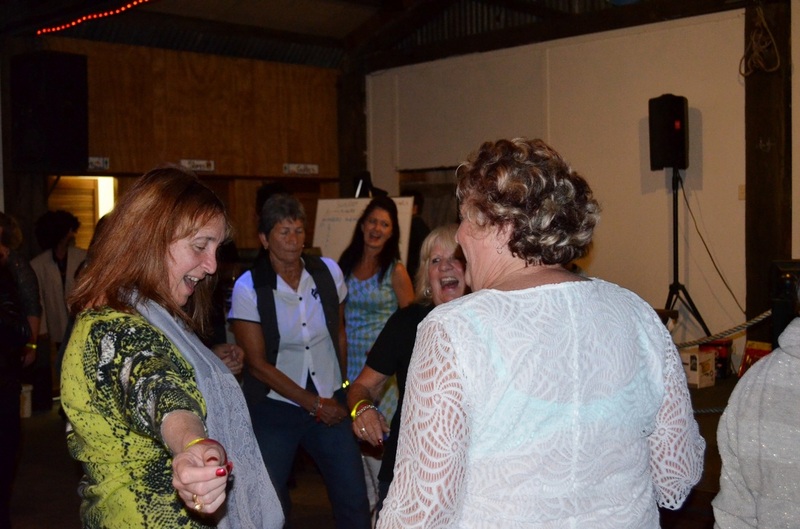 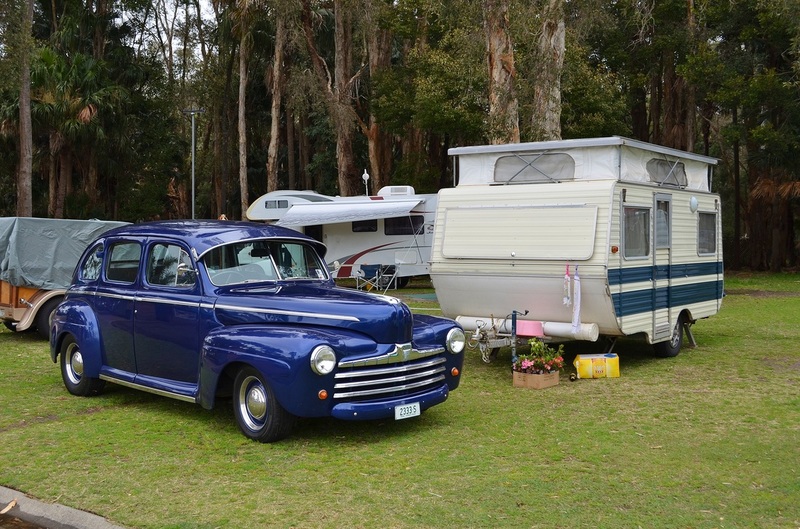 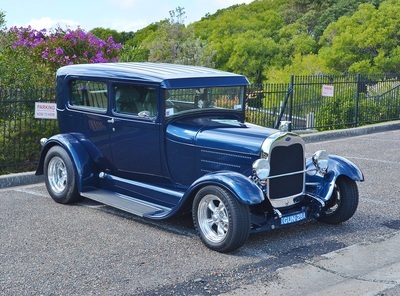 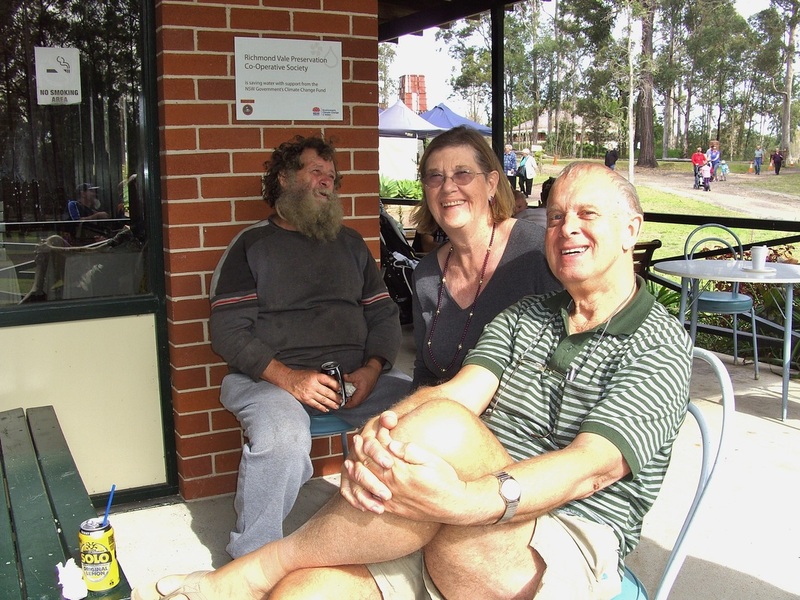 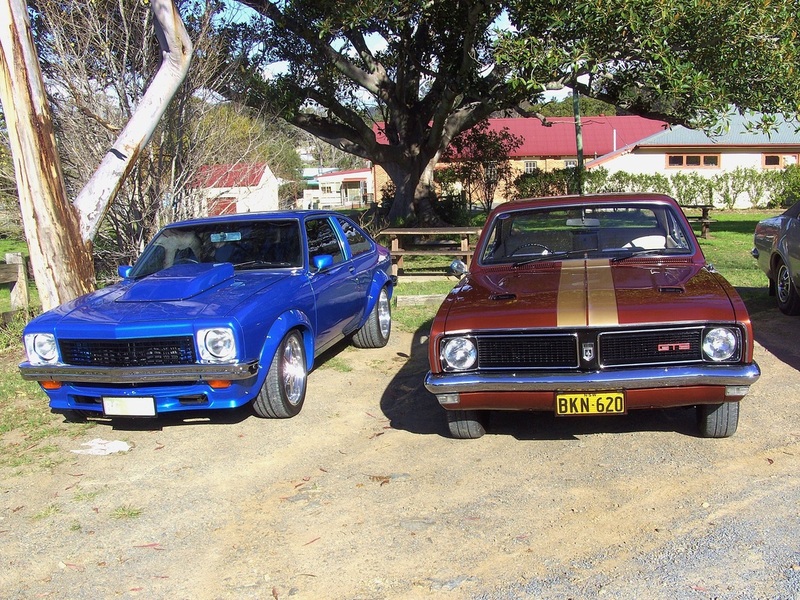 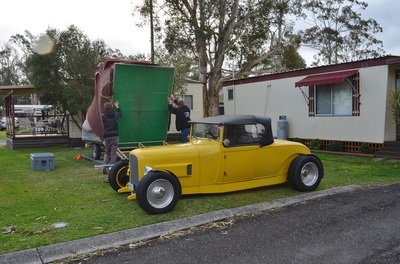 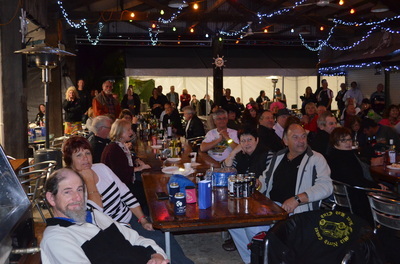 Manning Valley Cruizers Mountains to the Sea weekend in August was another complete success and a credit to the club and their members who make everyone welcome. 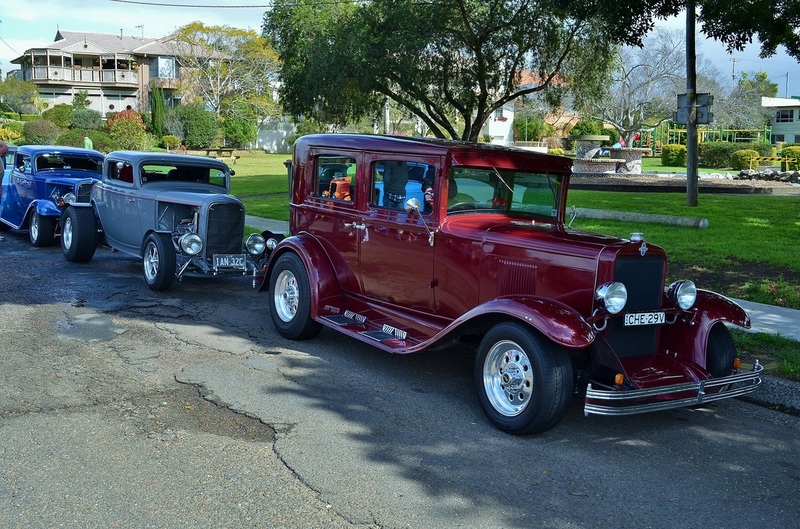 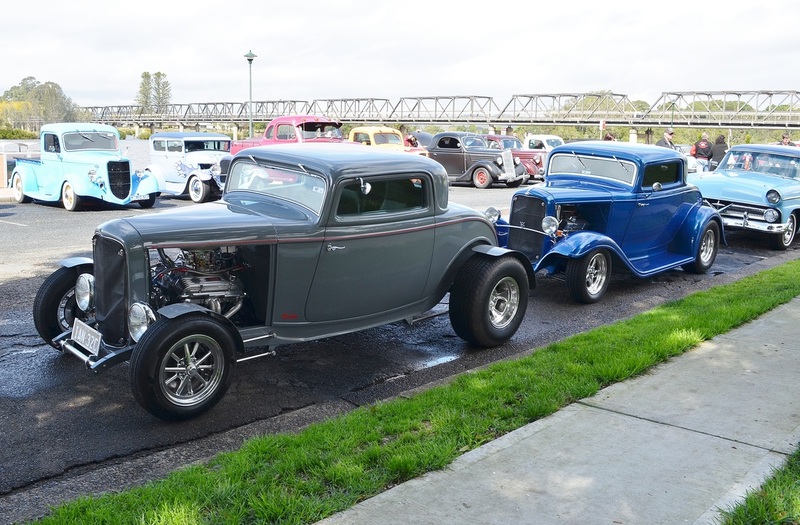 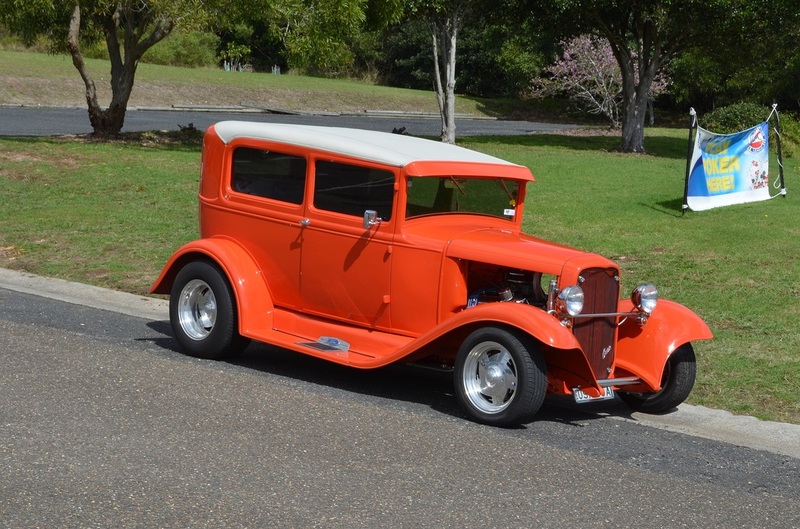 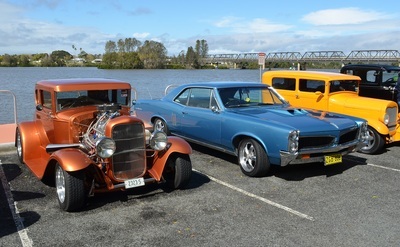 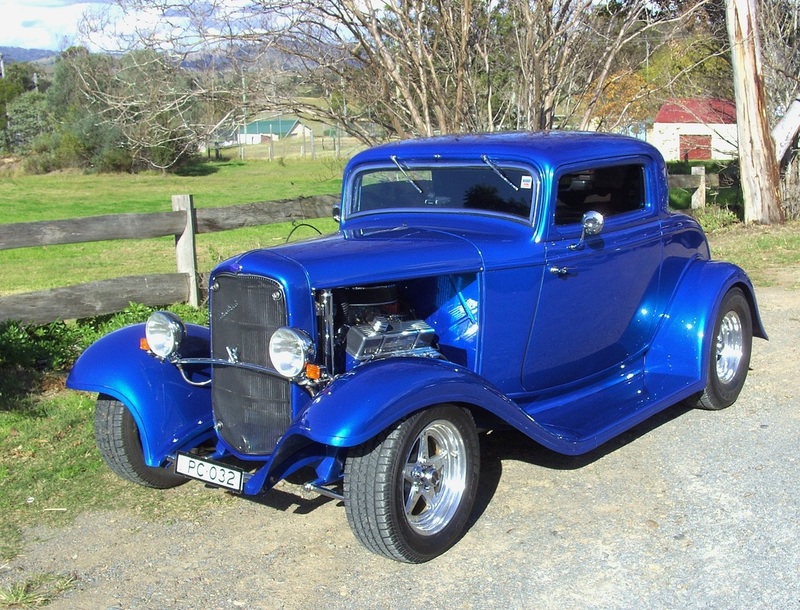 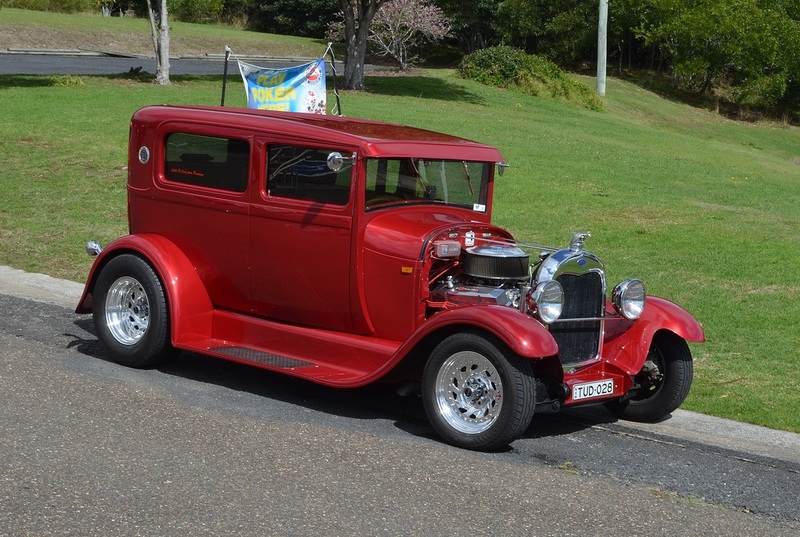 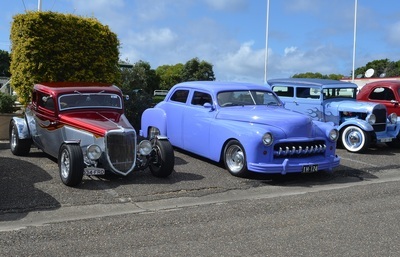 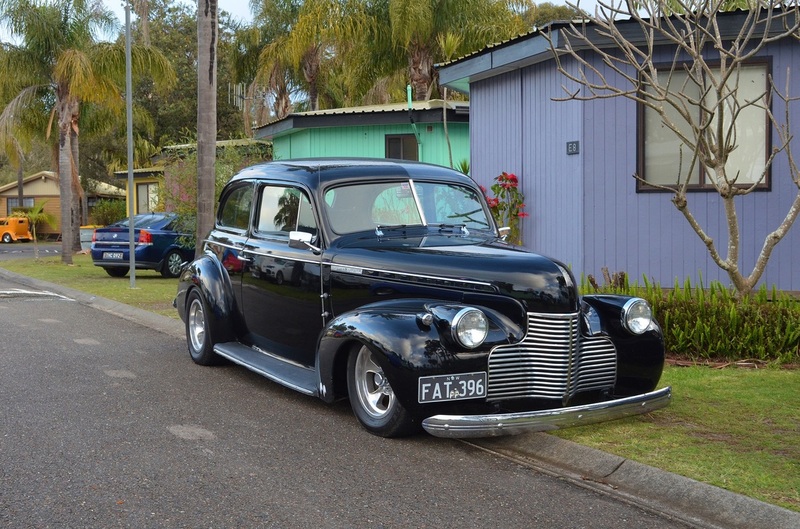 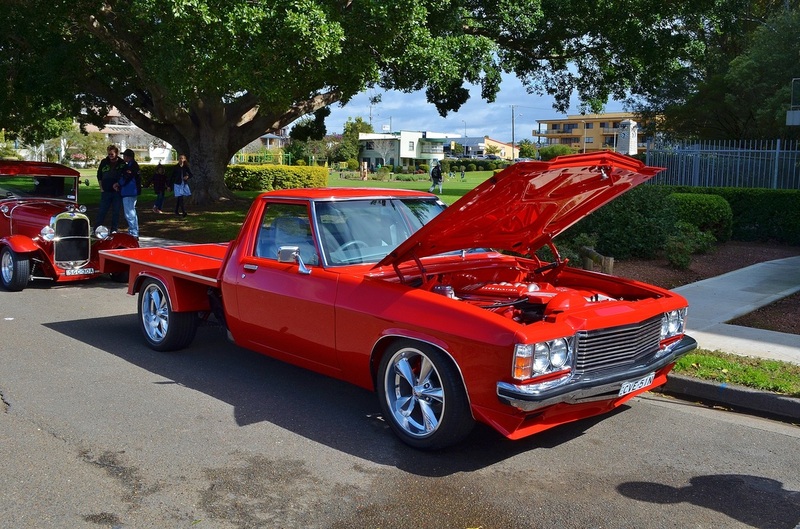 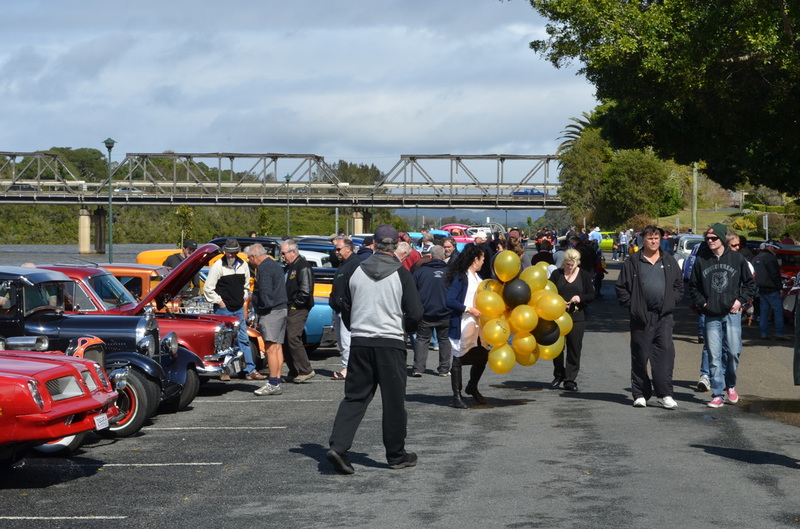 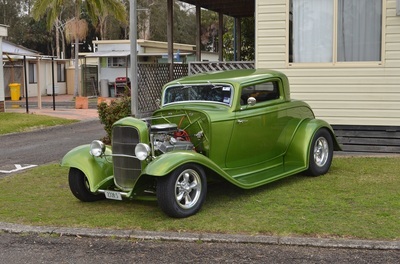 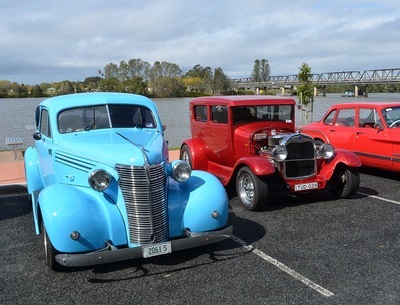 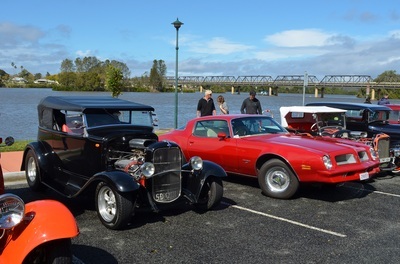 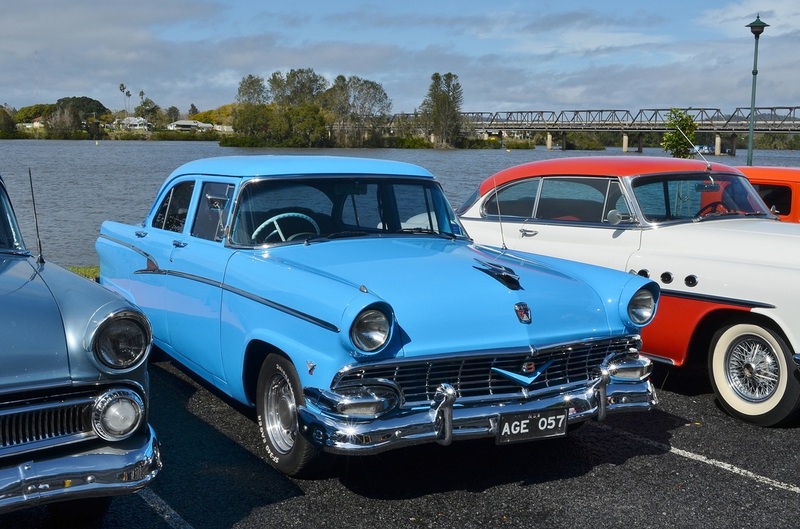 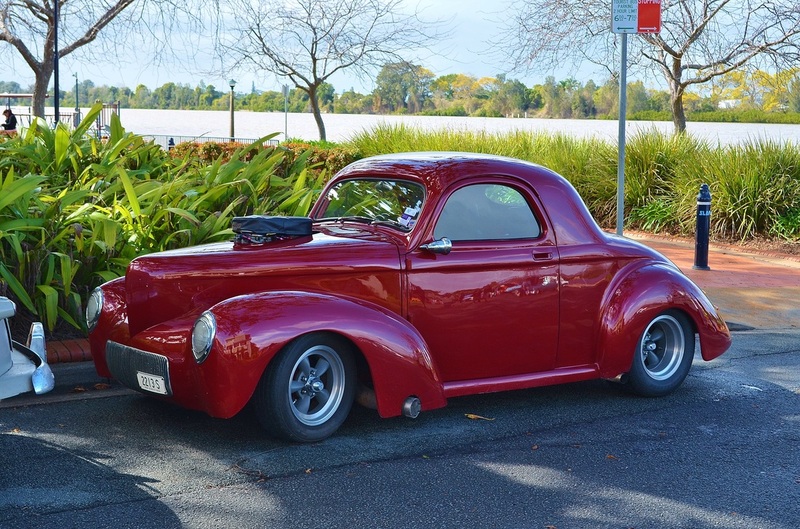 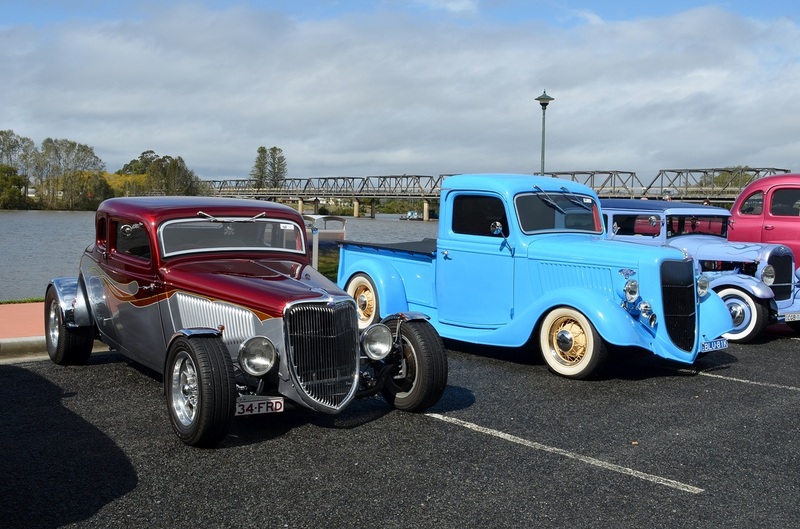 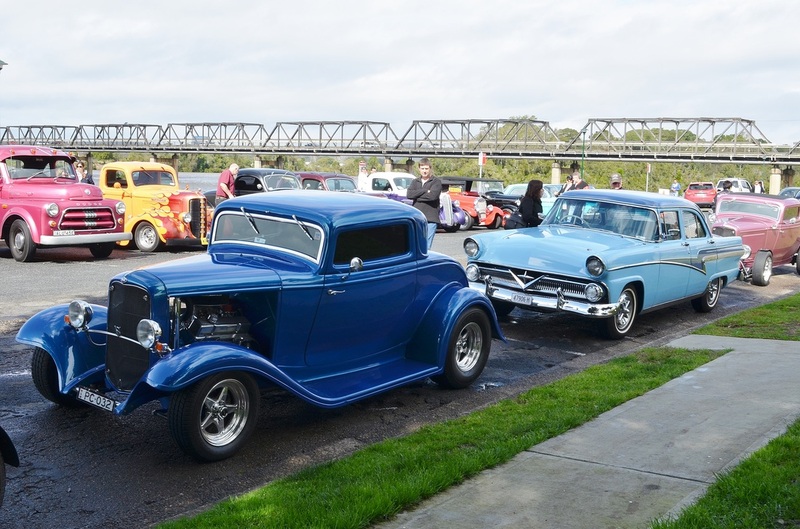 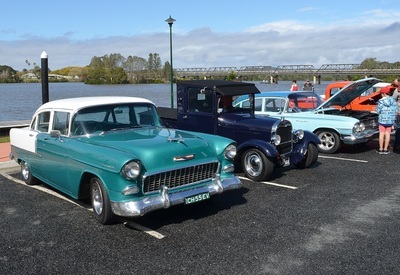 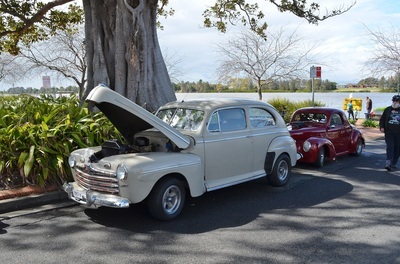 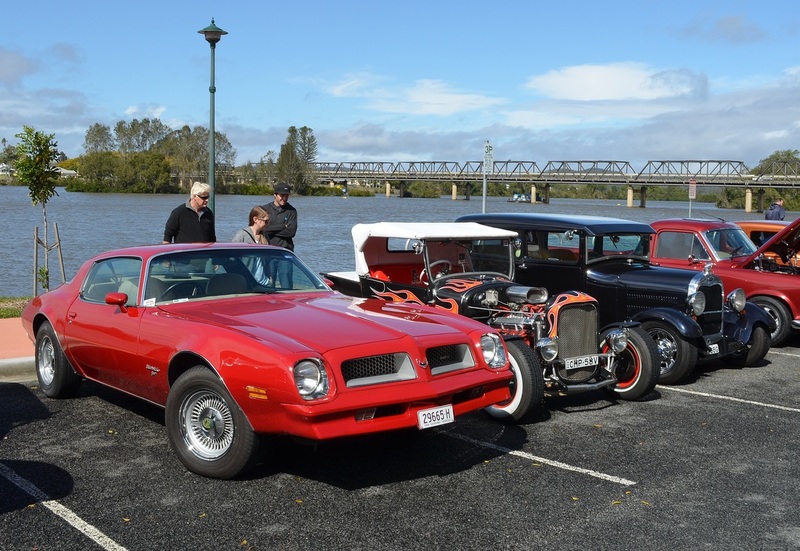 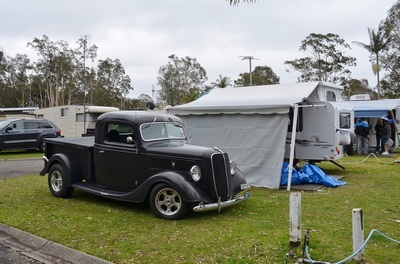 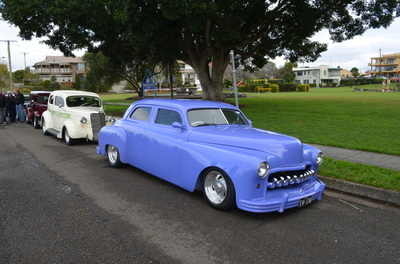 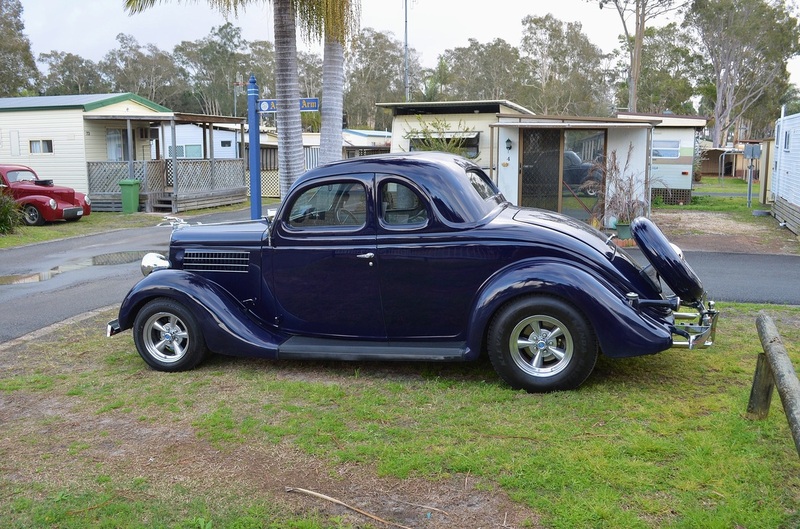 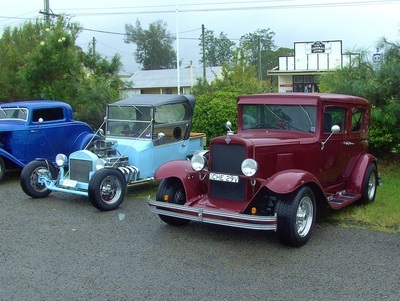 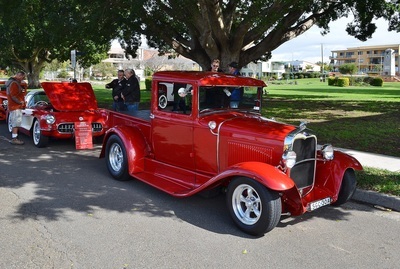 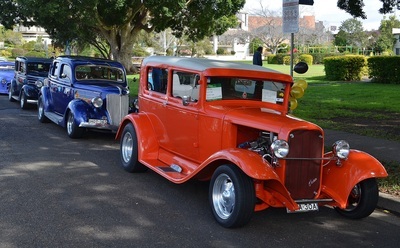 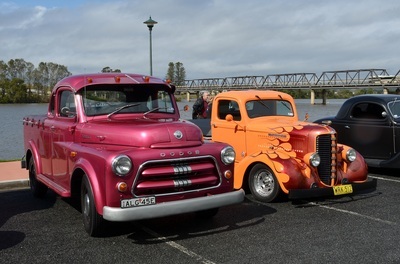 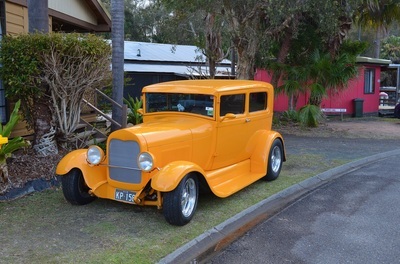 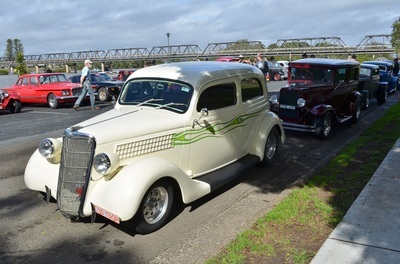 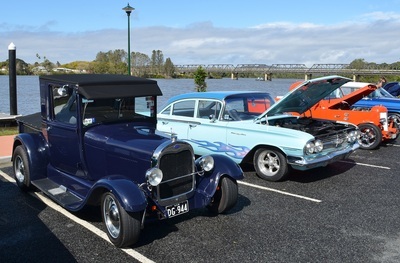 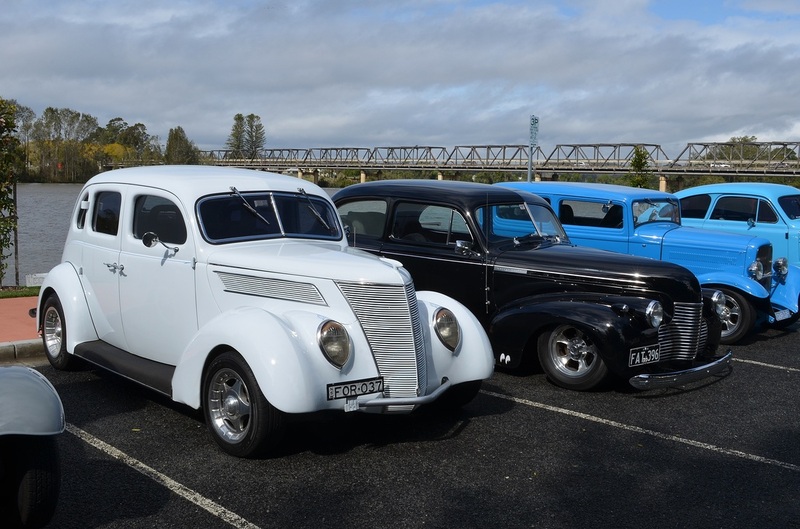 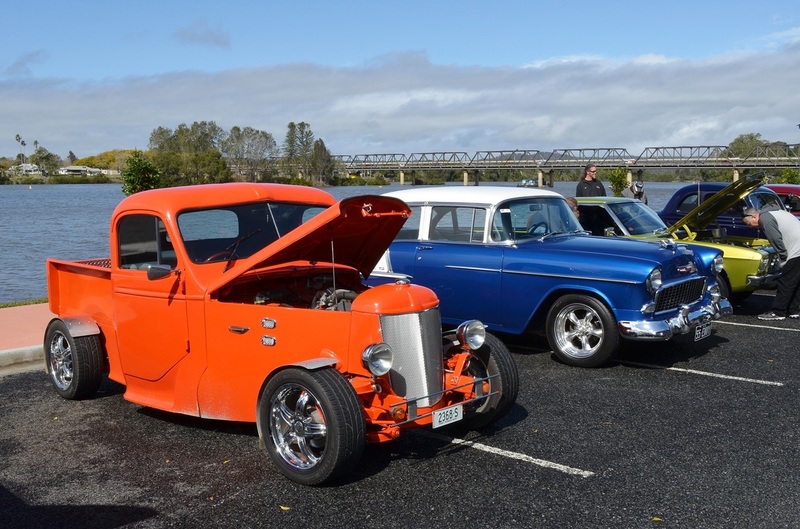 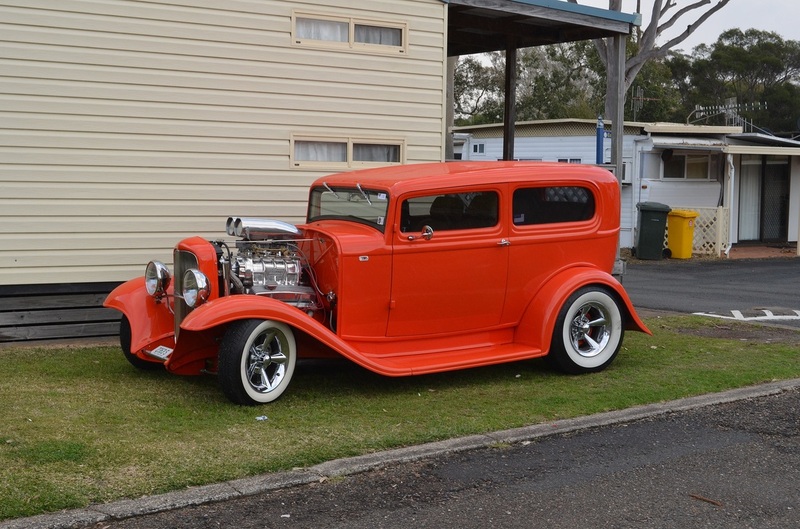 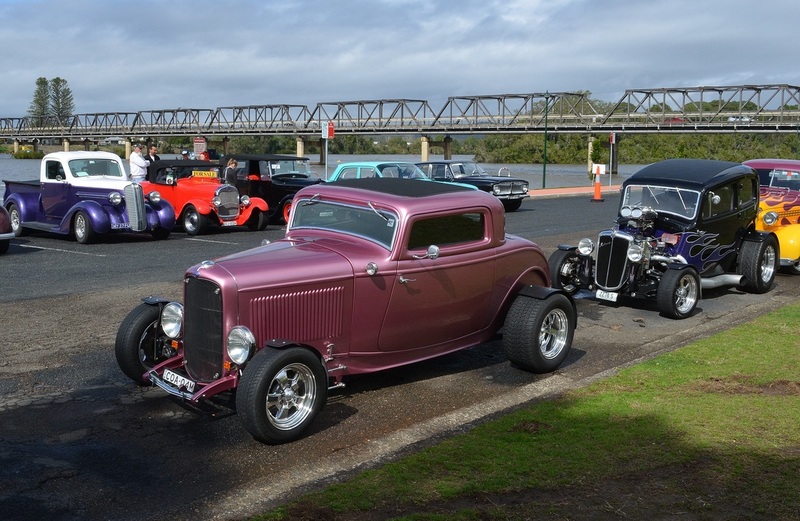 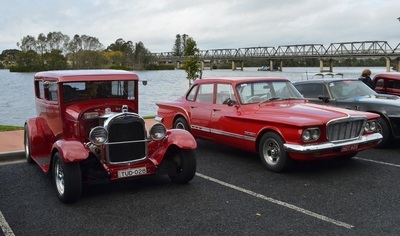 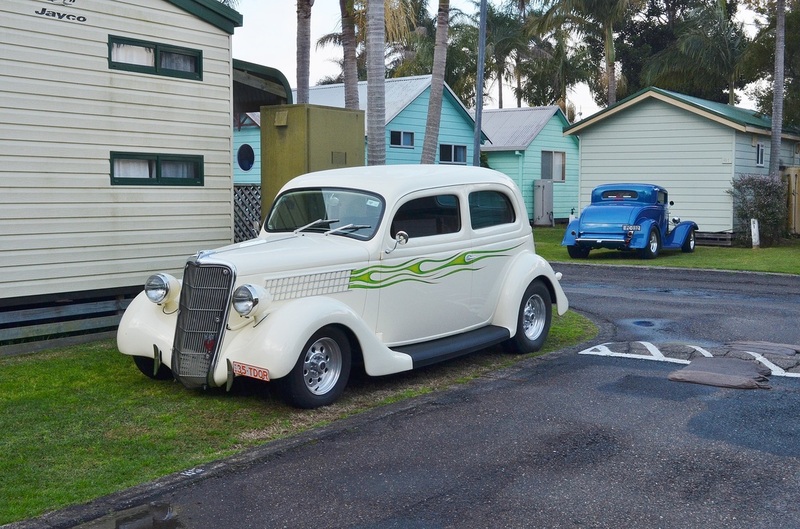 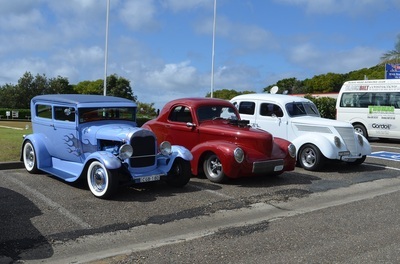 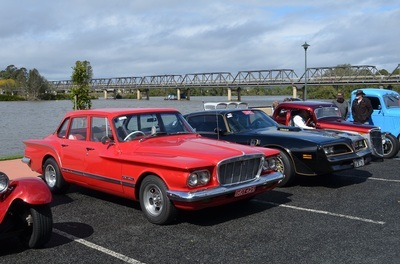 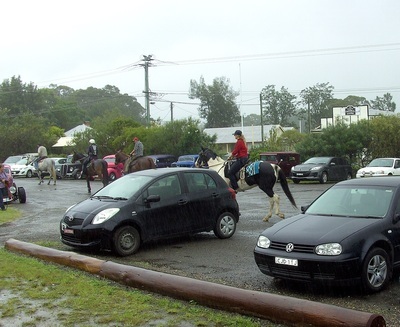 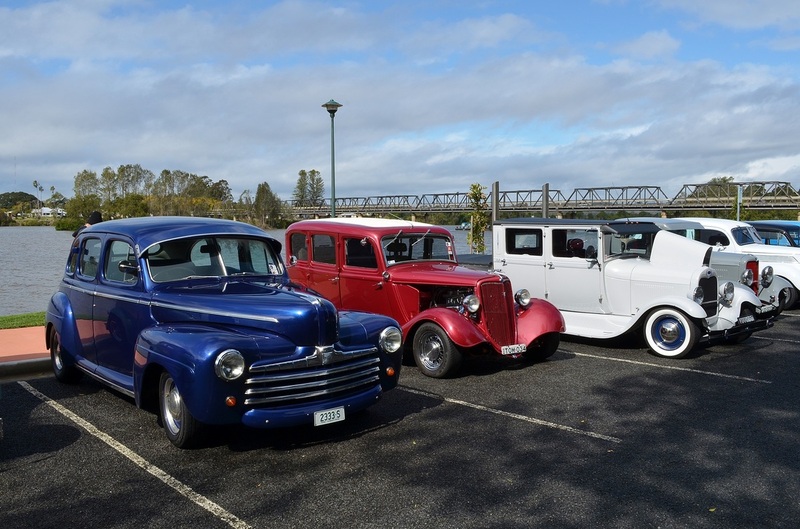 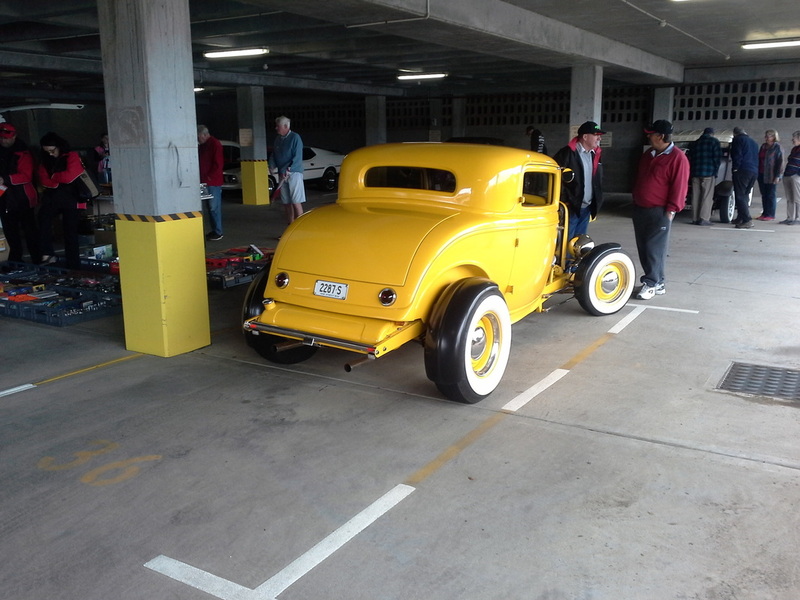 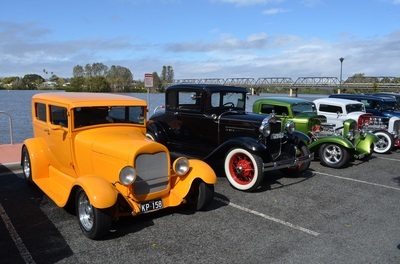 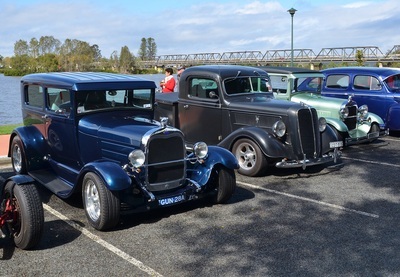 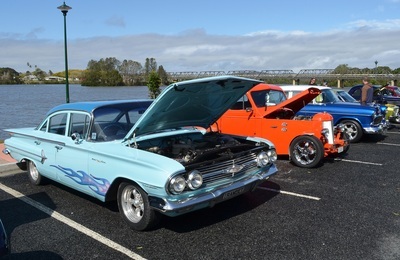 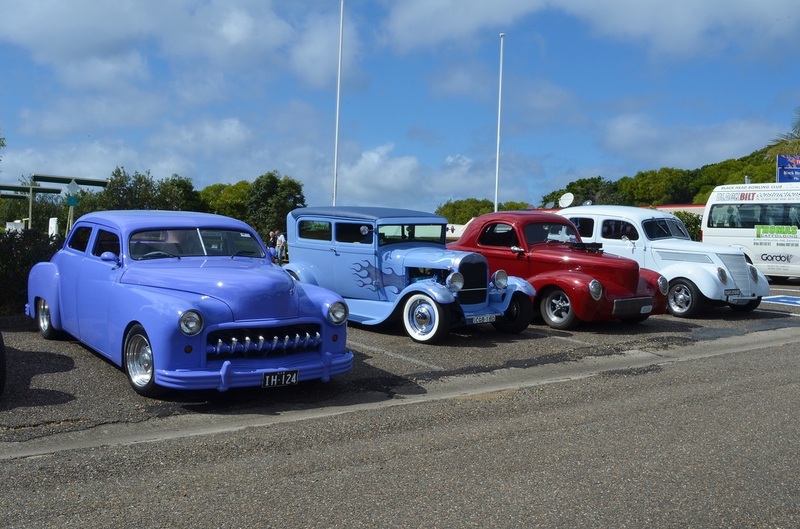 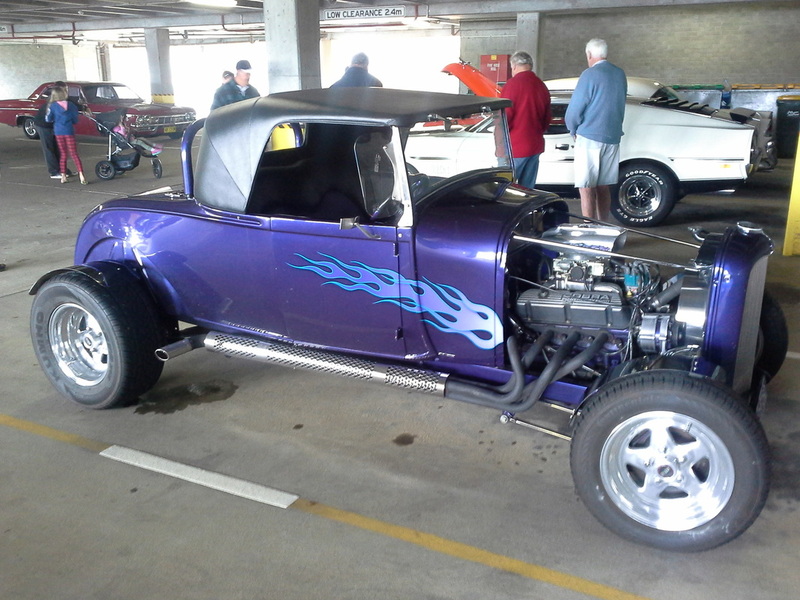 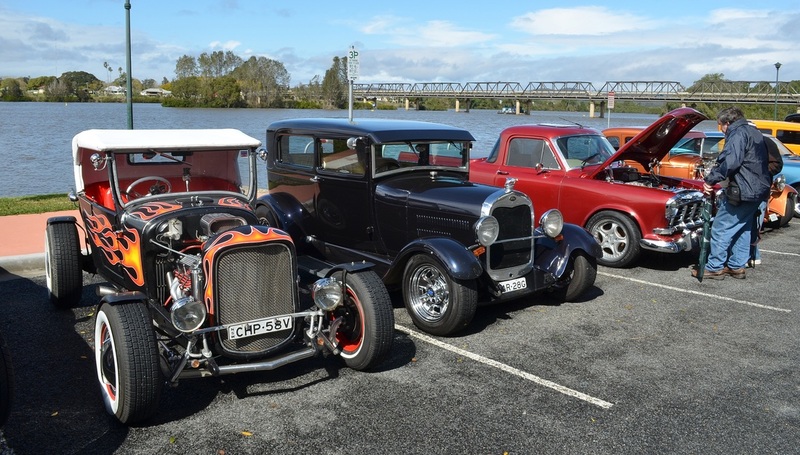 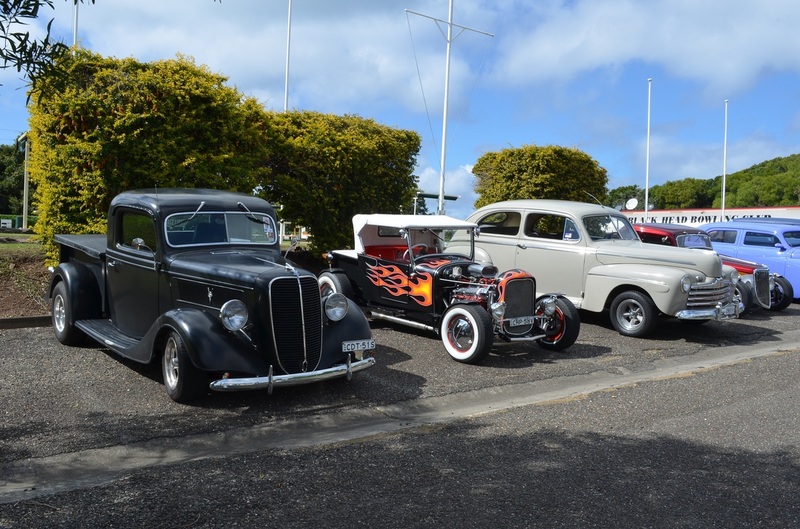 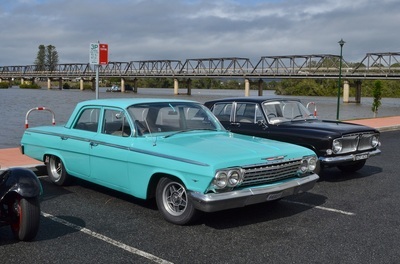 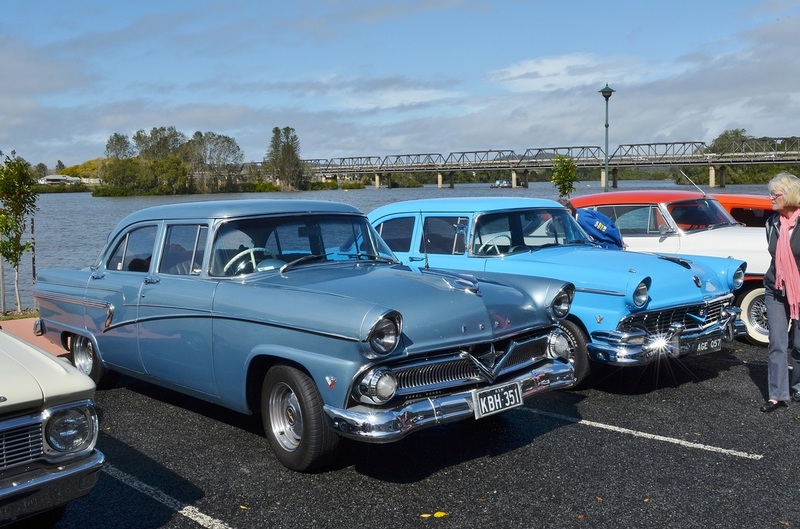 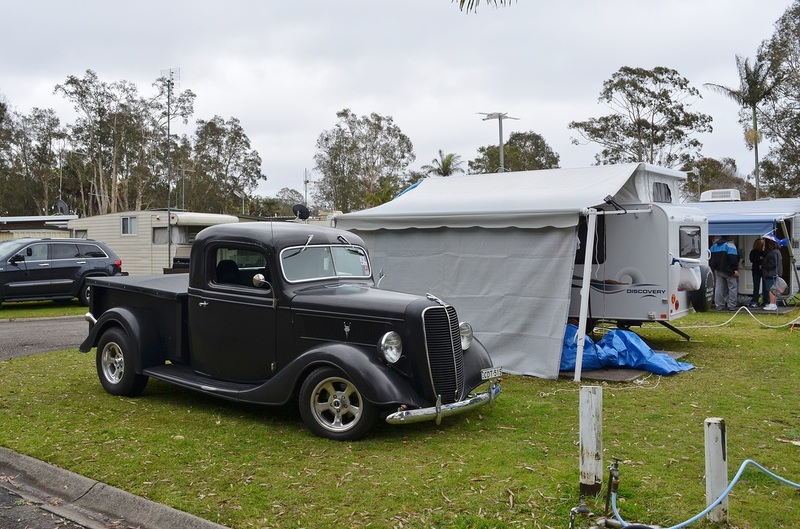 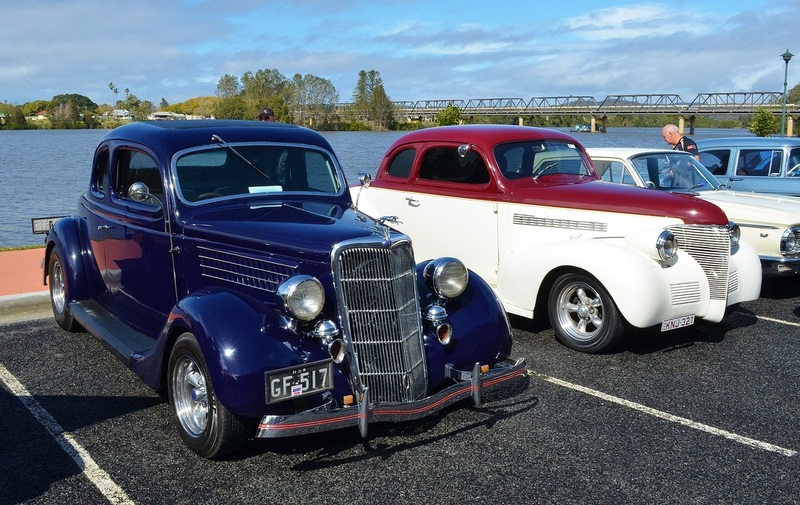 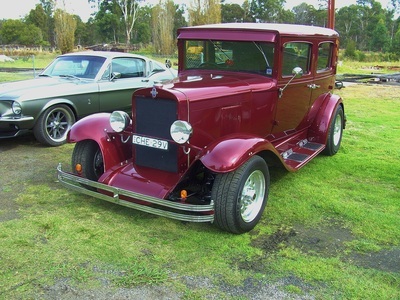 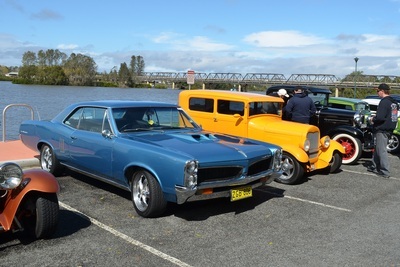 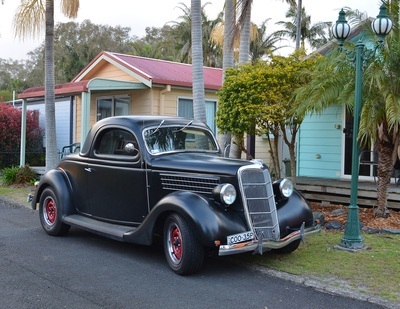 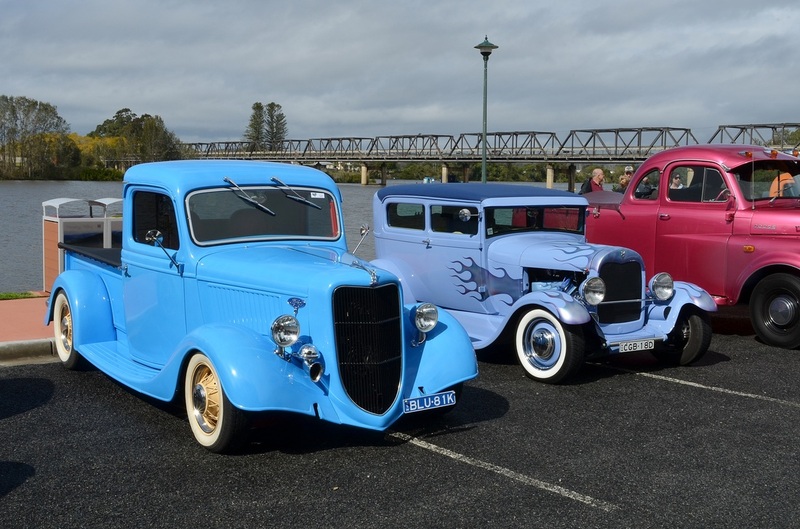 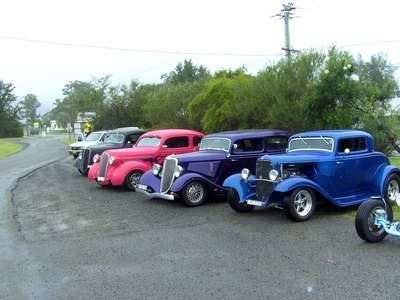 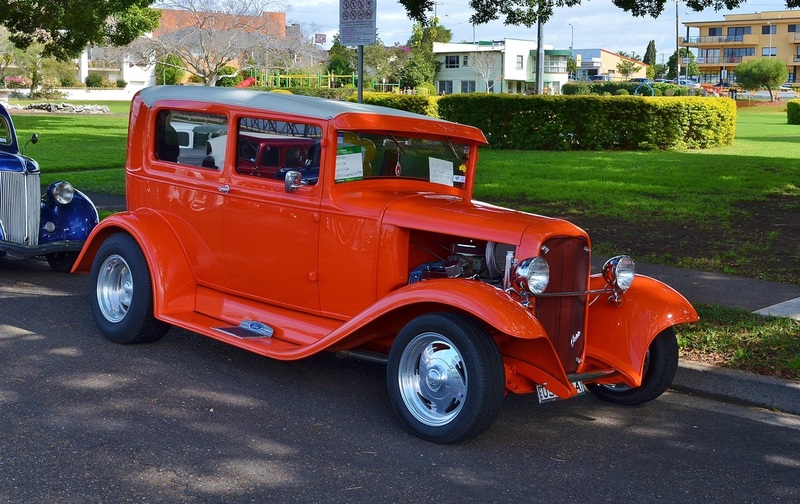 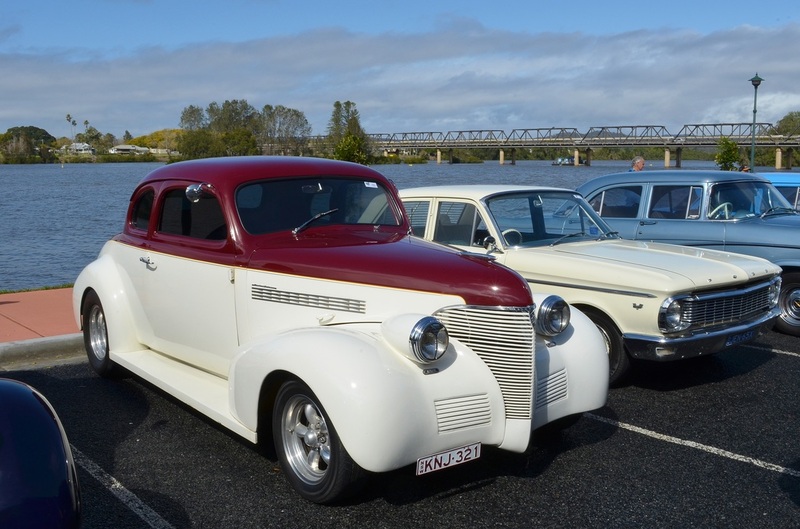 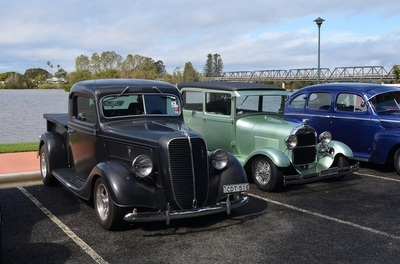 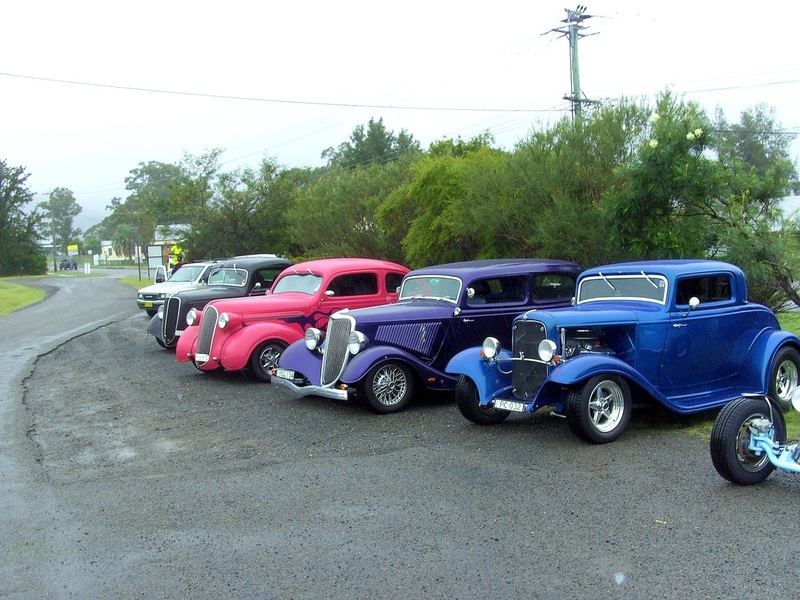 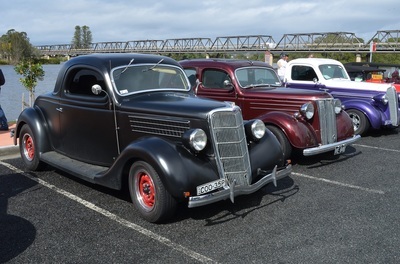 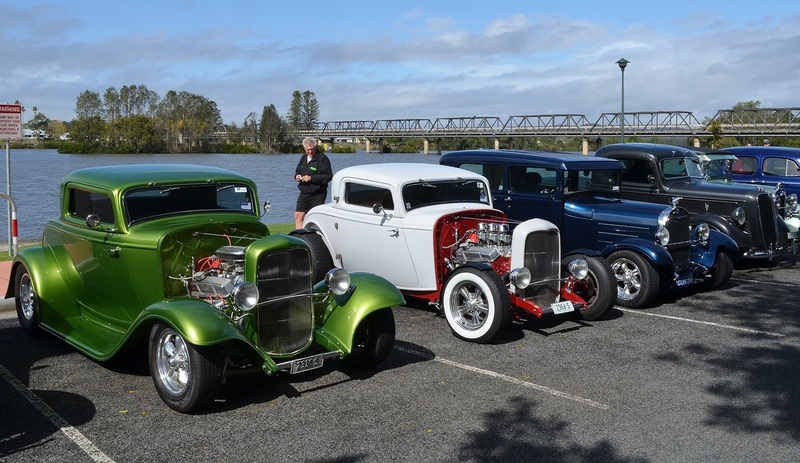 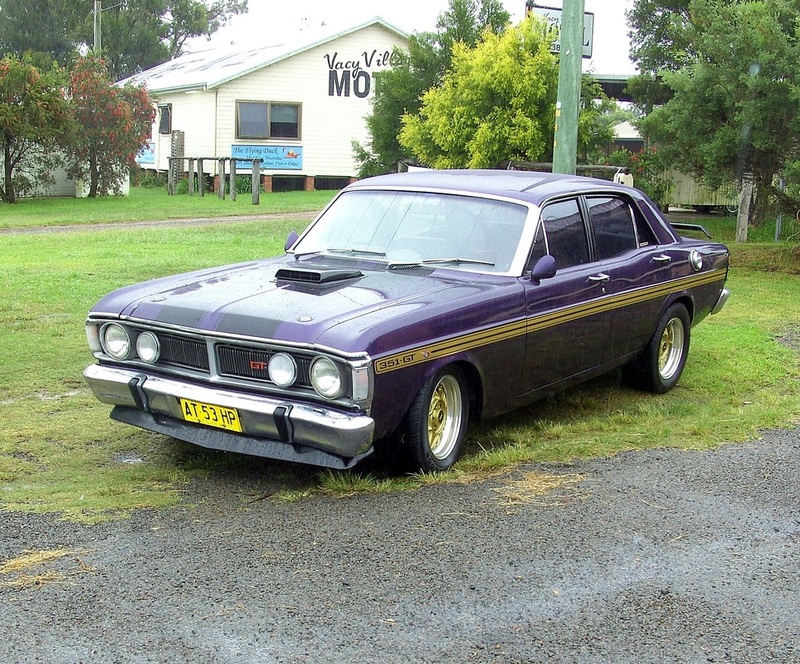 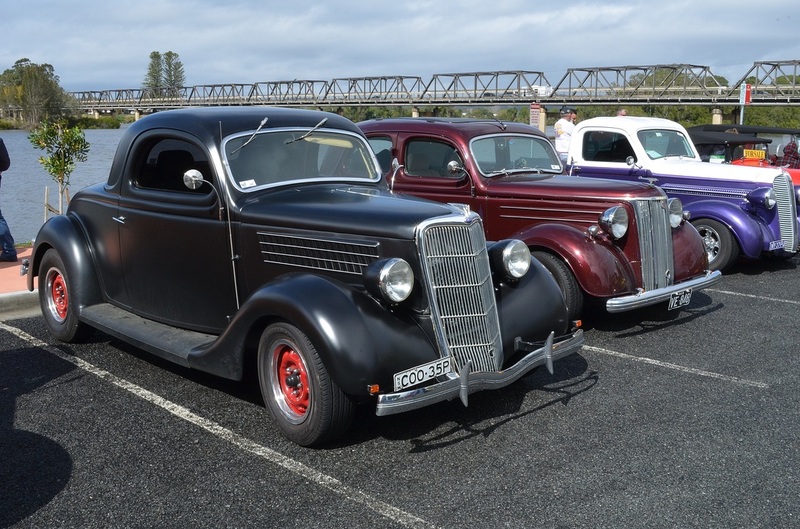 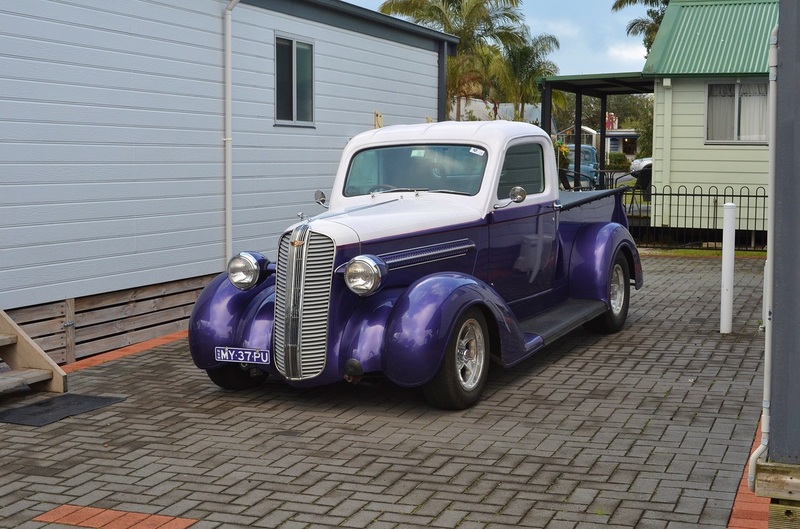 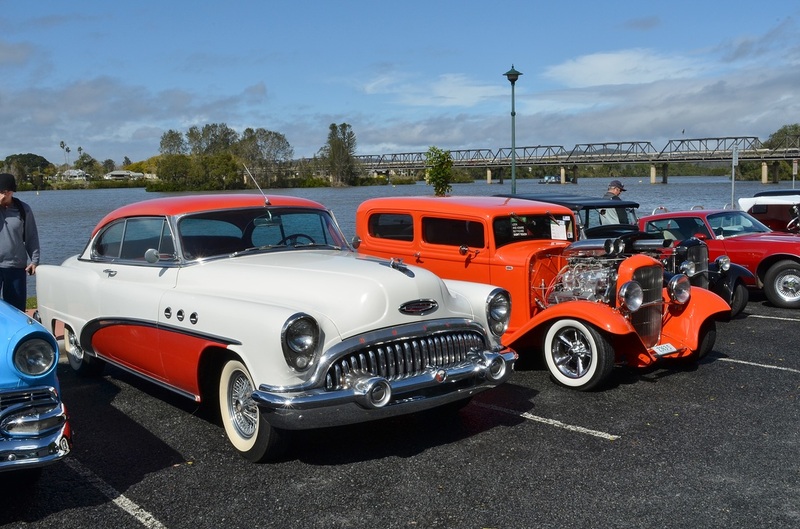 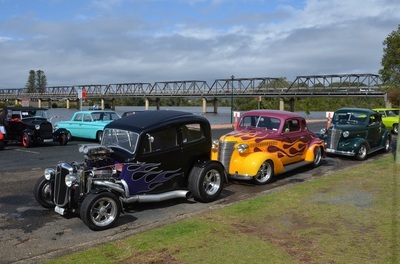 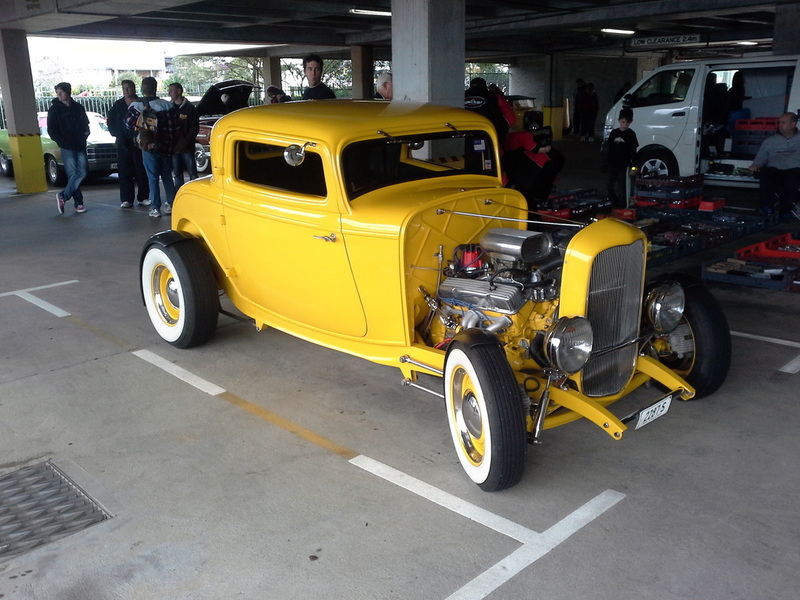 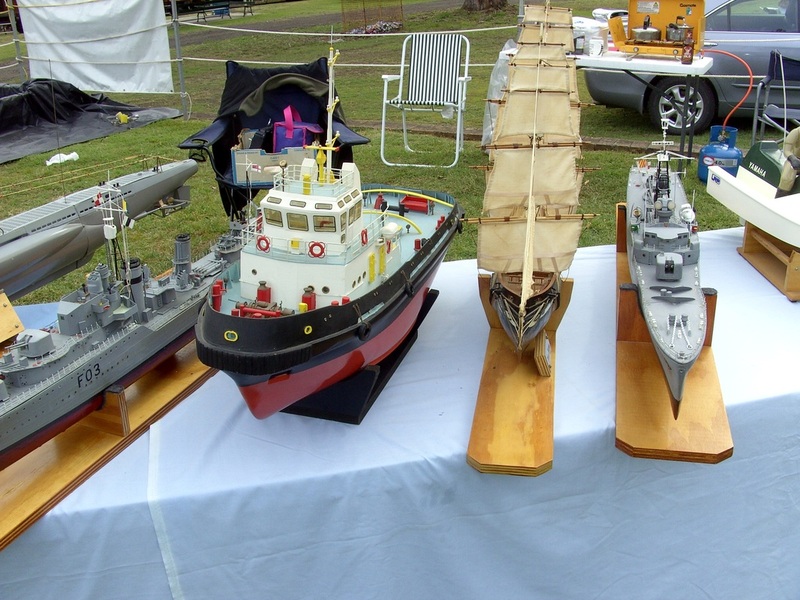 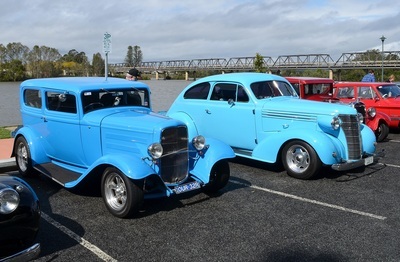 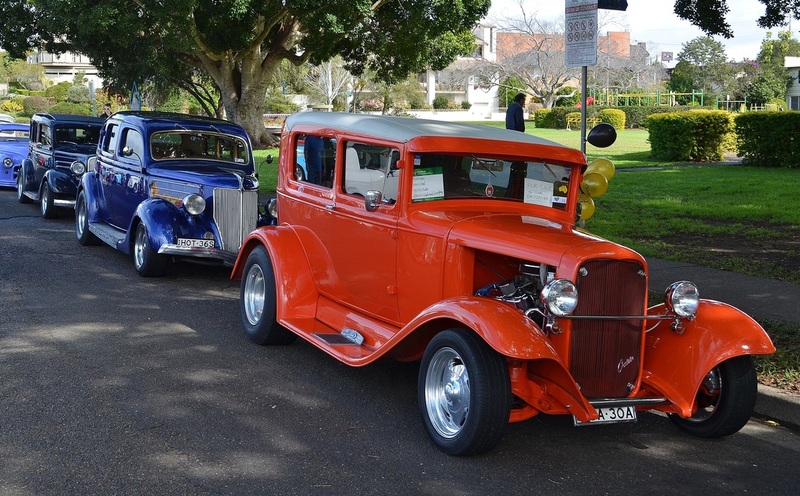 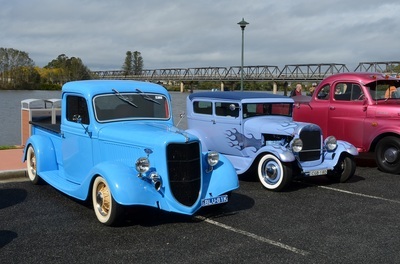 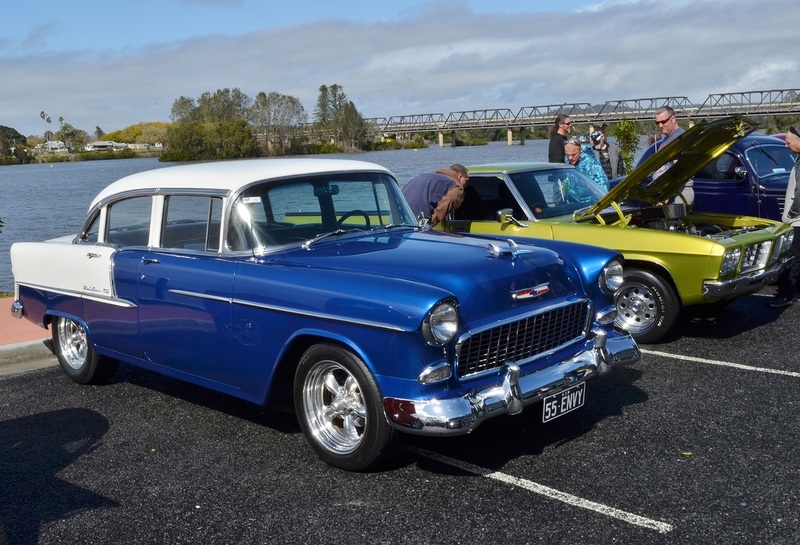 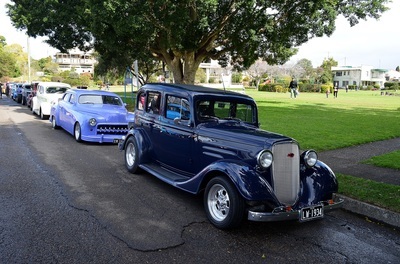 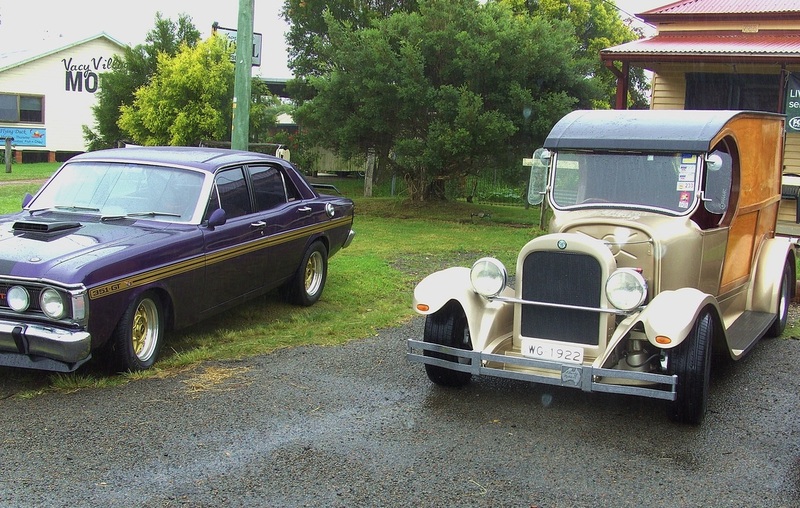 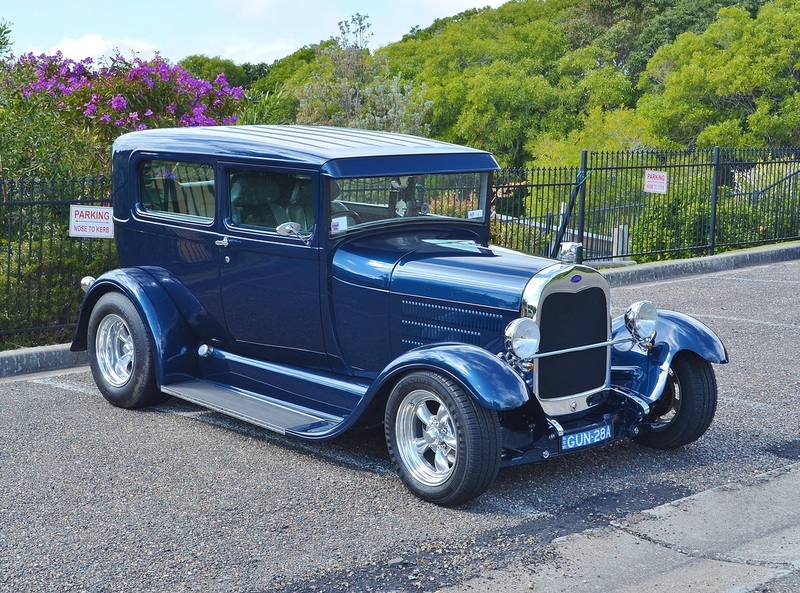 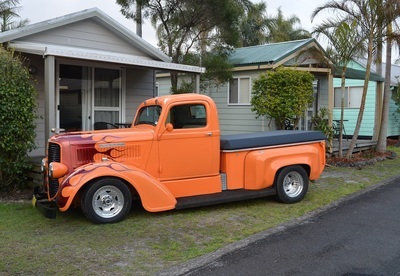 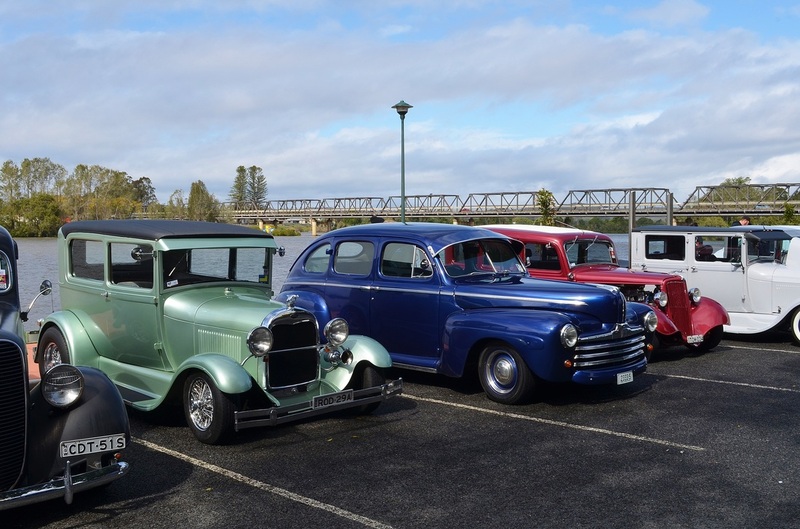 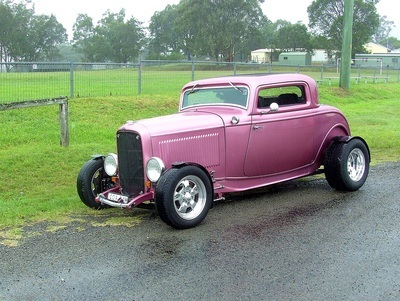 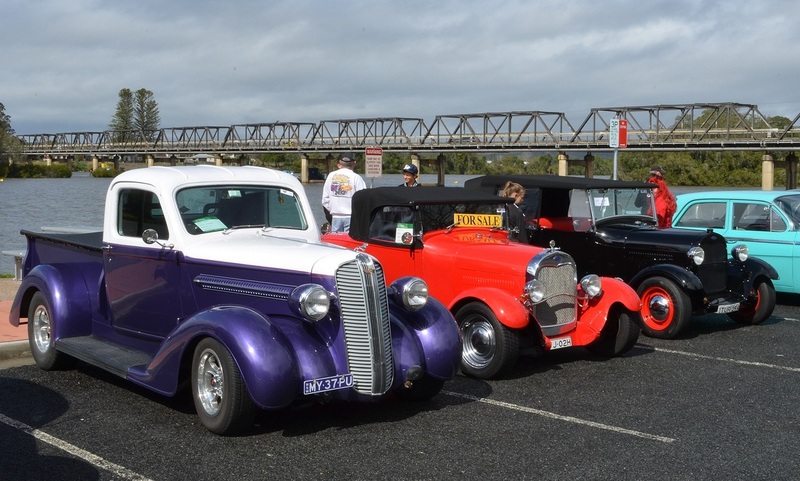 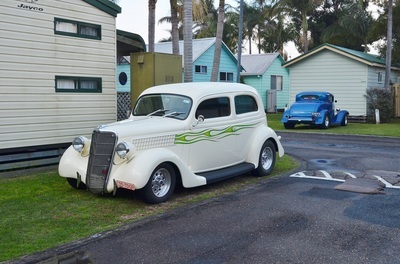 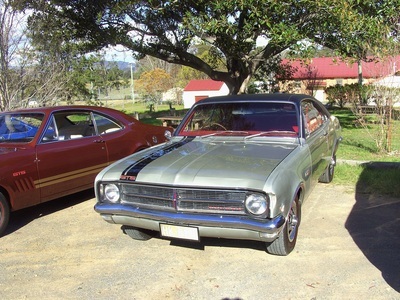 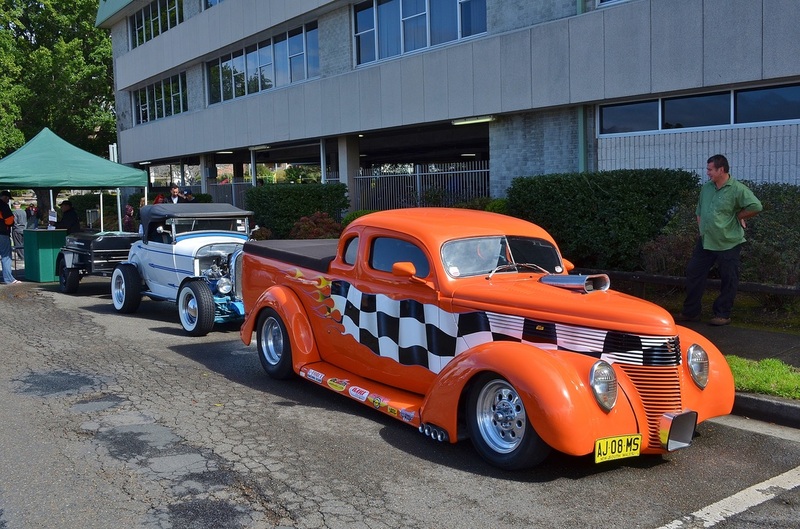 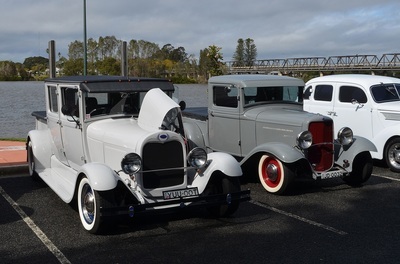 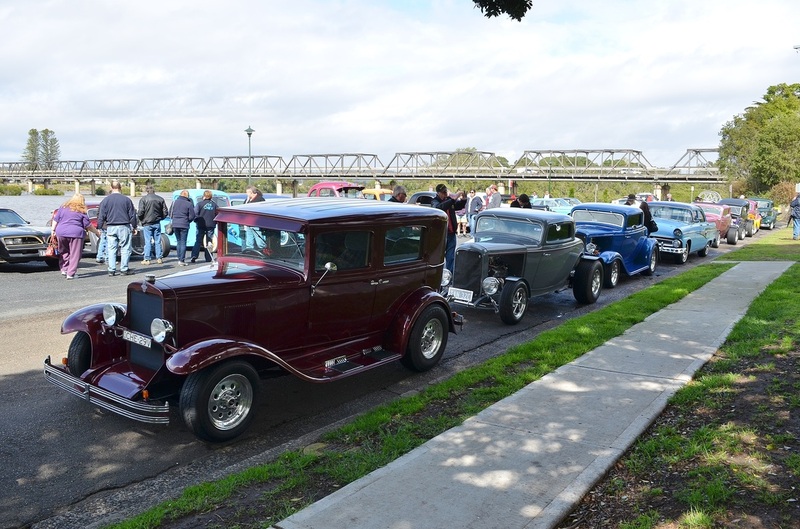 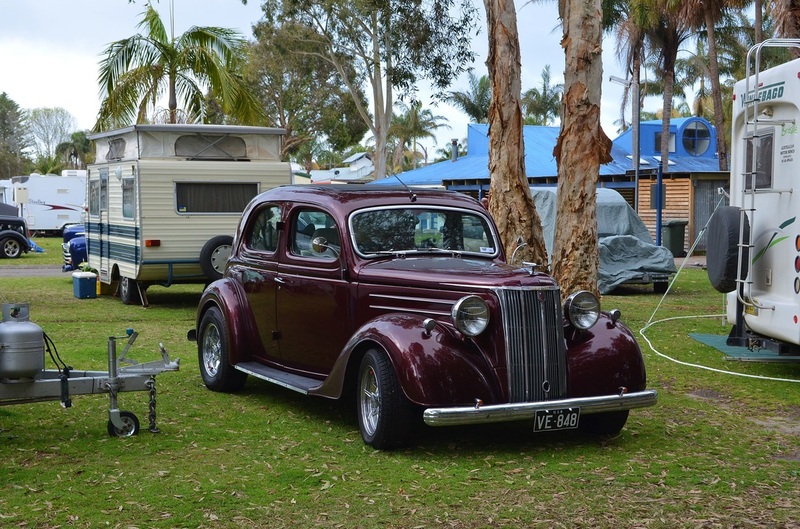 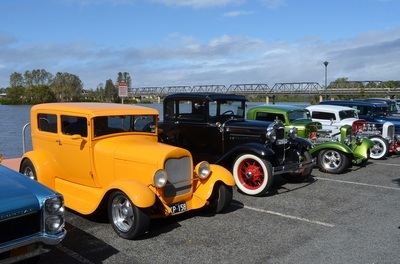 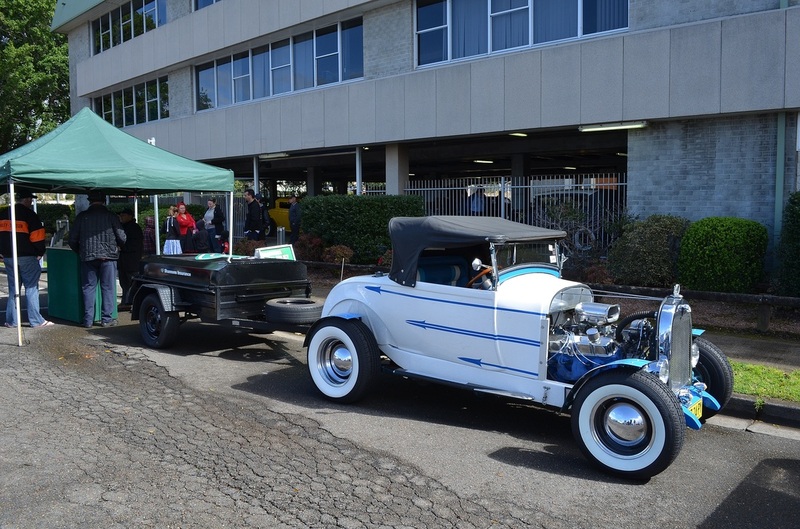 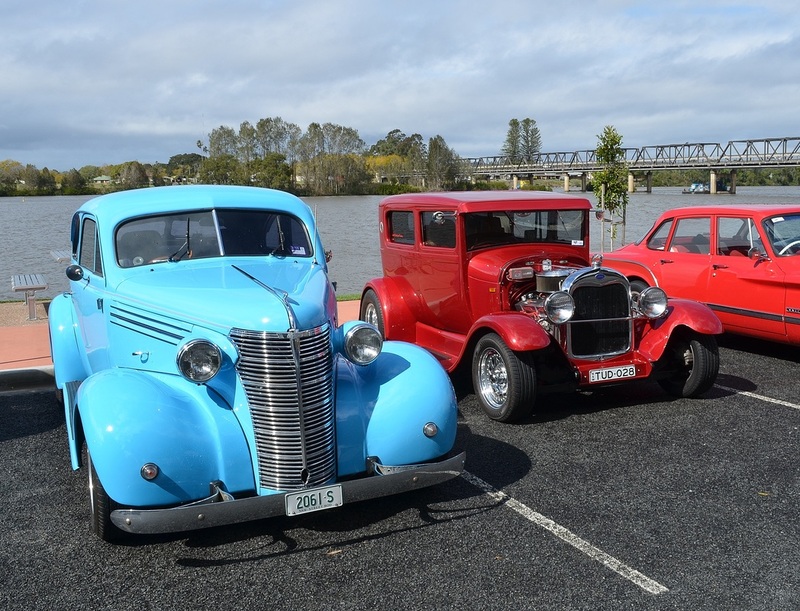 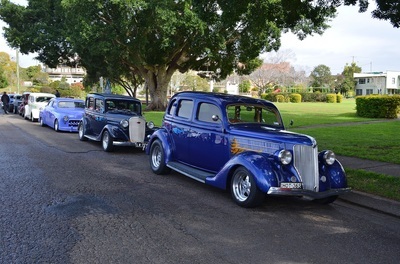 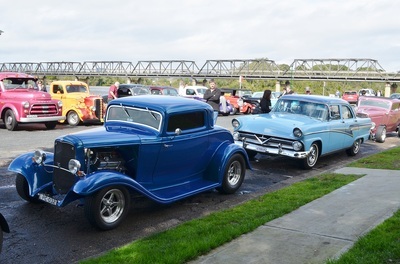 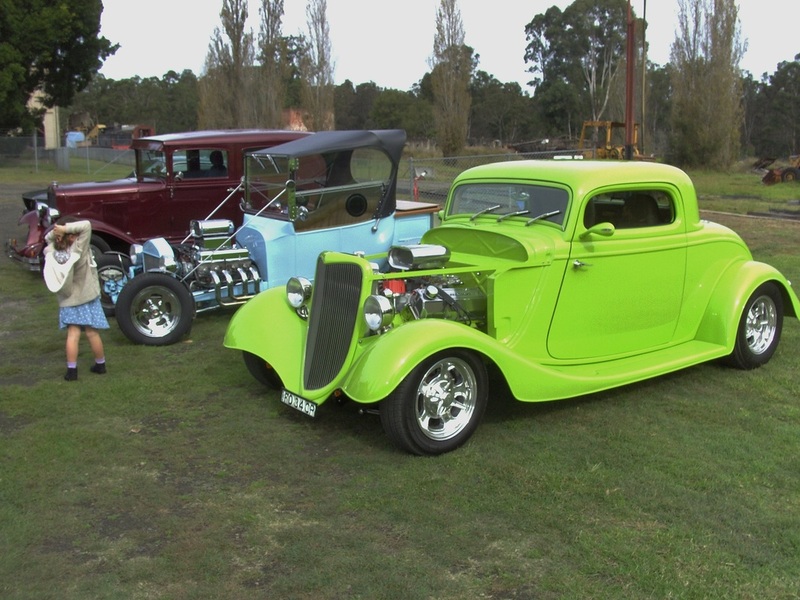 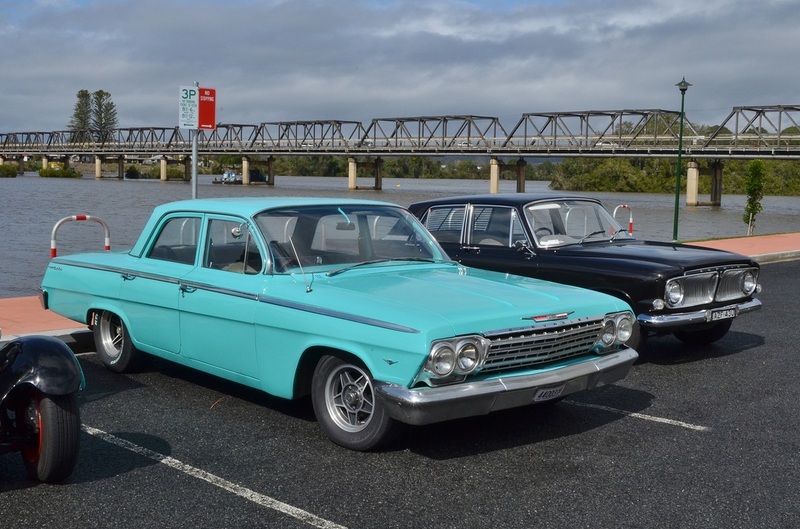 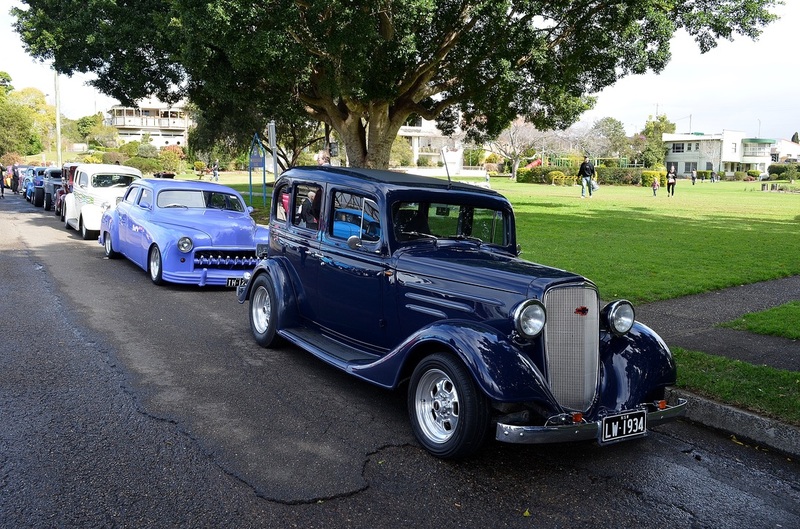 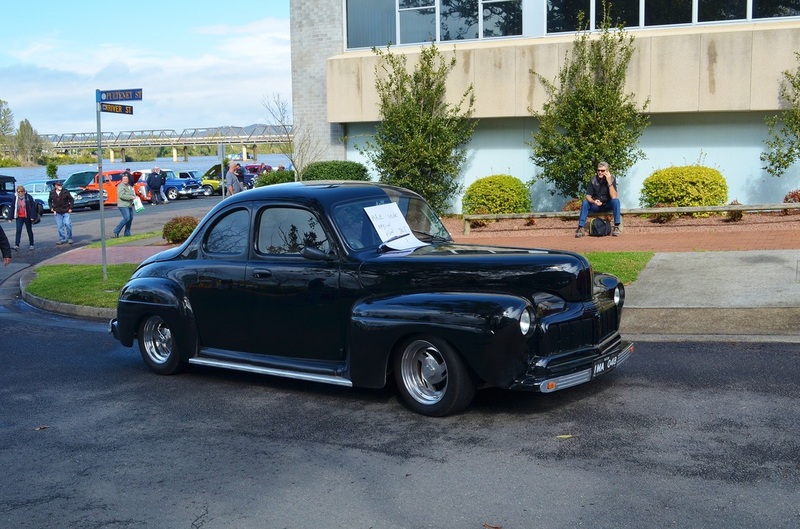 This years weather was not the best but when the show and shine was on the sun came out and it made the trip to Taree very pleasant. 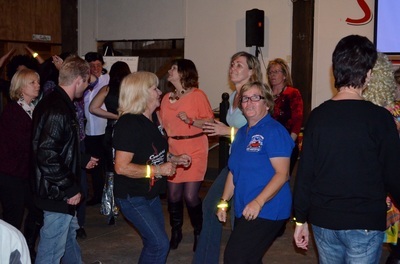 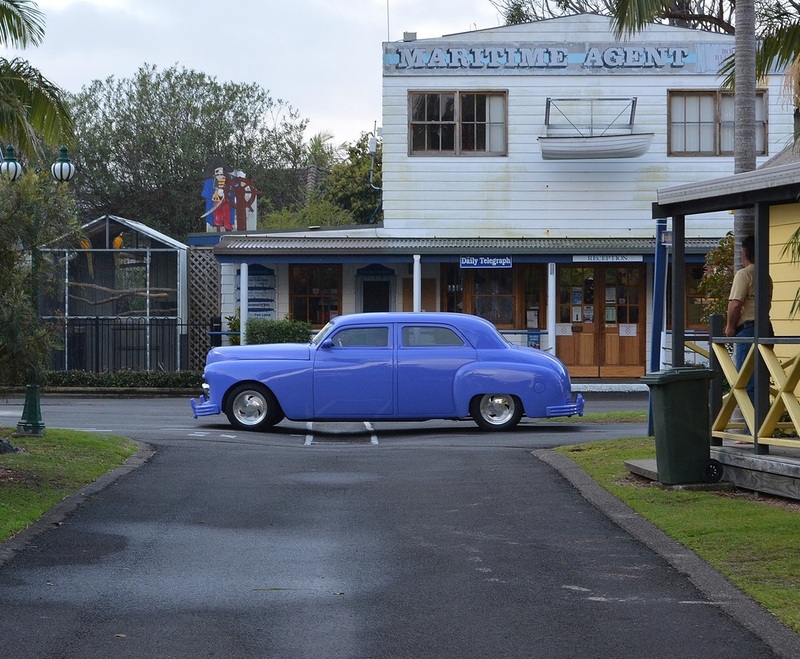 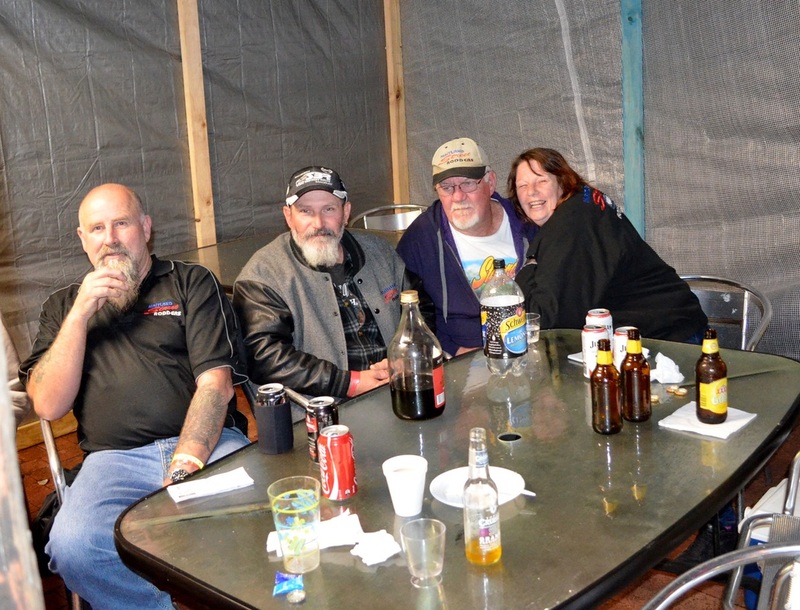 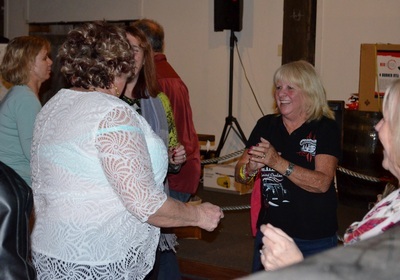 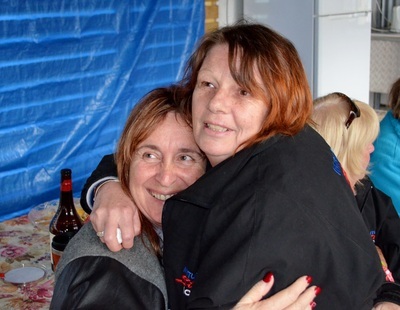 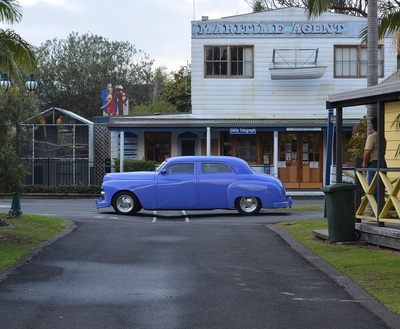 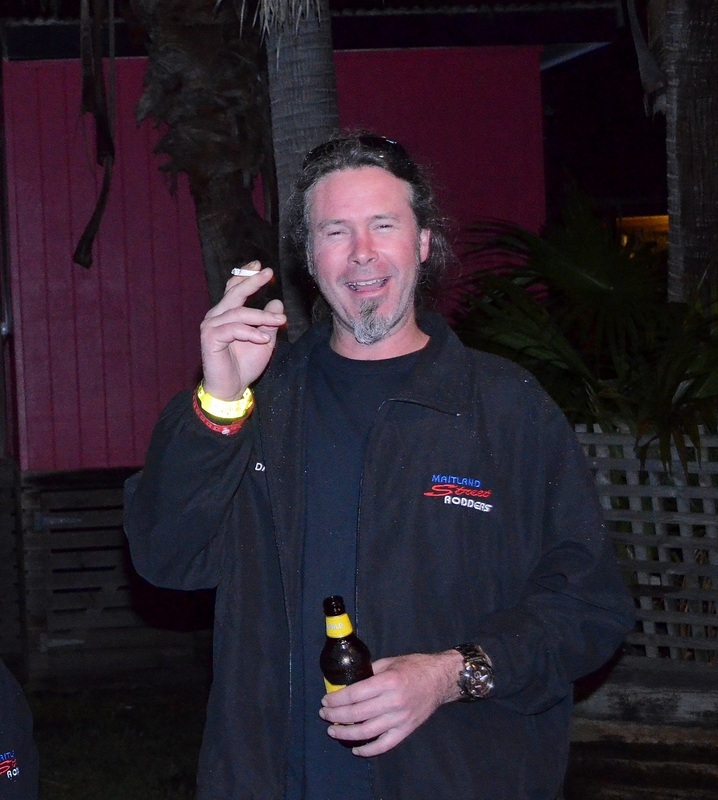 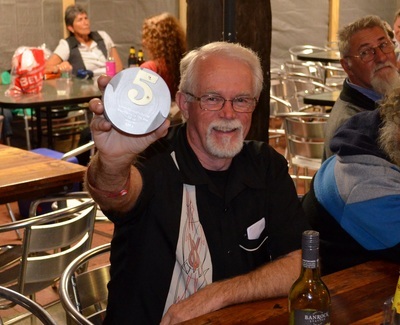 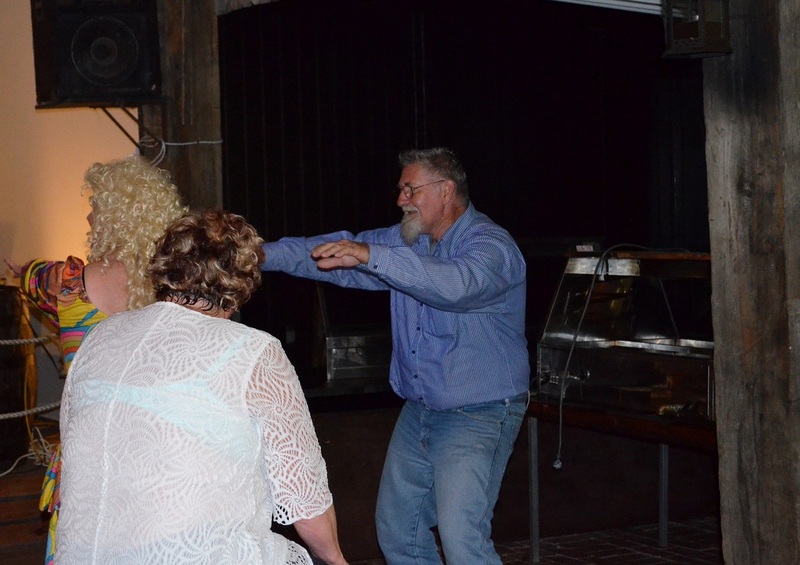 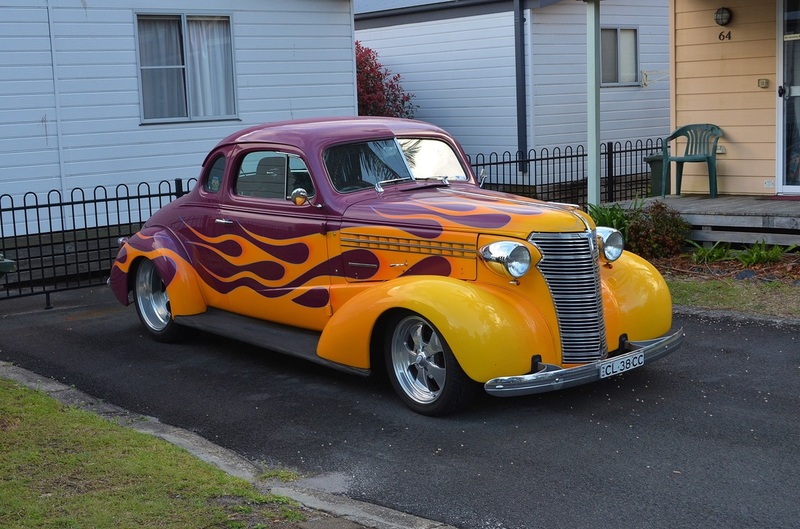 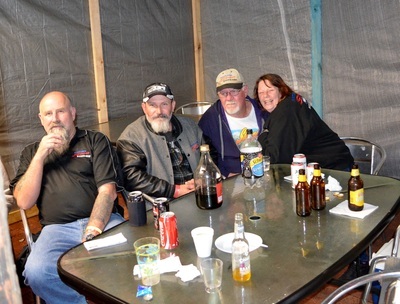 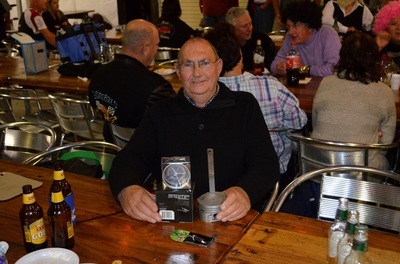 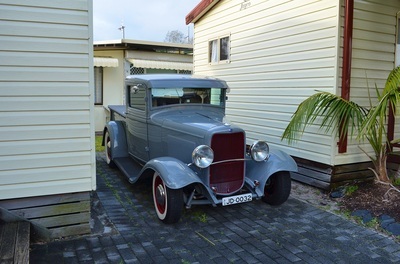 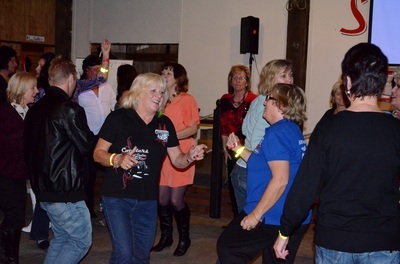 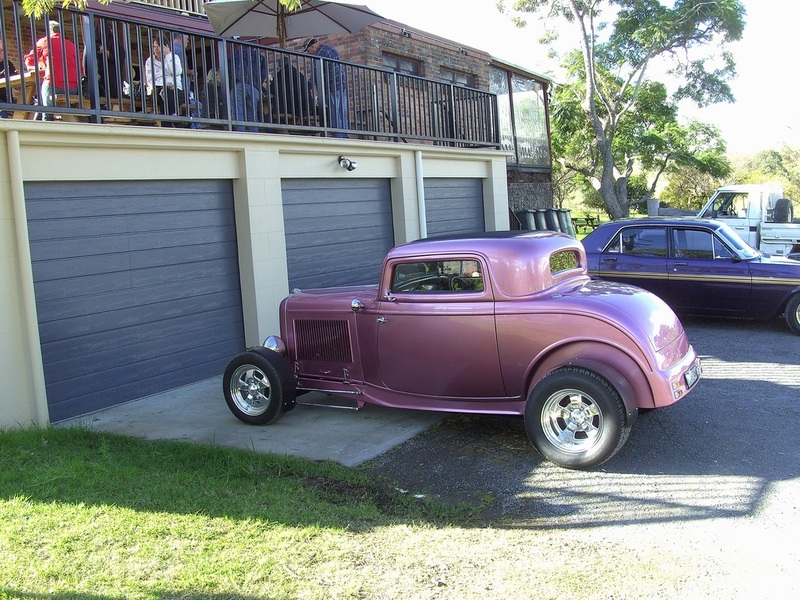 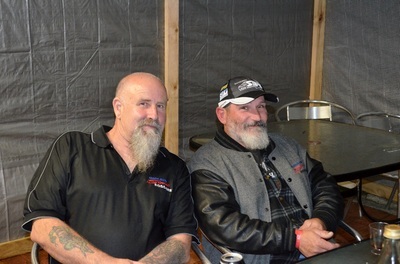 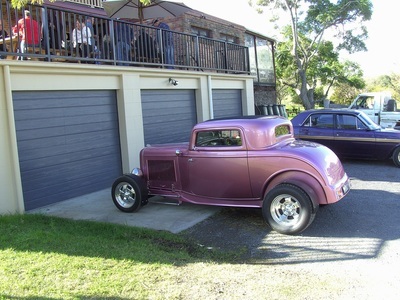 The weekend started with the usual meet and greet on the Friday night and then the show and shine on Saturday with a good dinner and presentation night that evening. 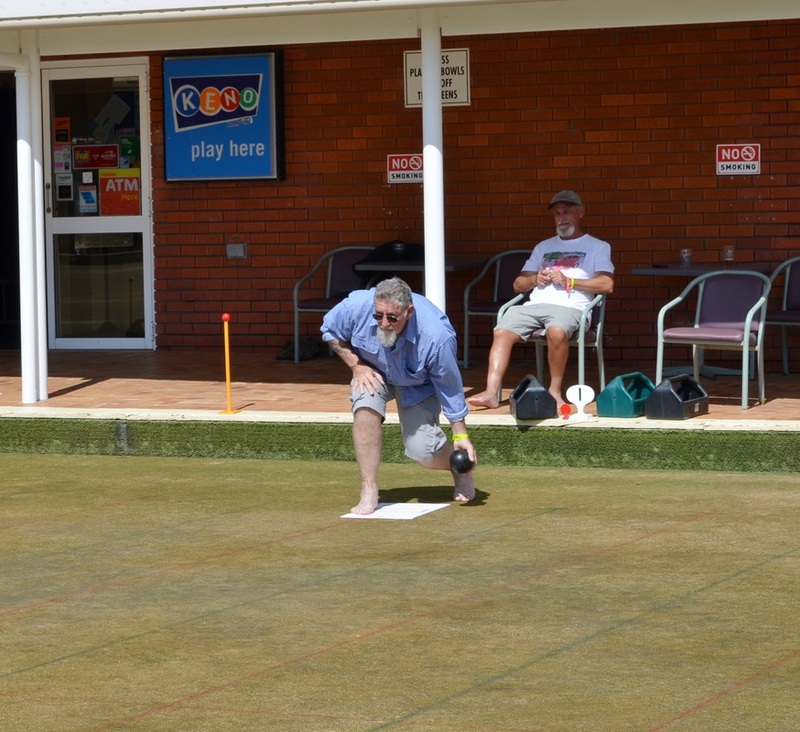 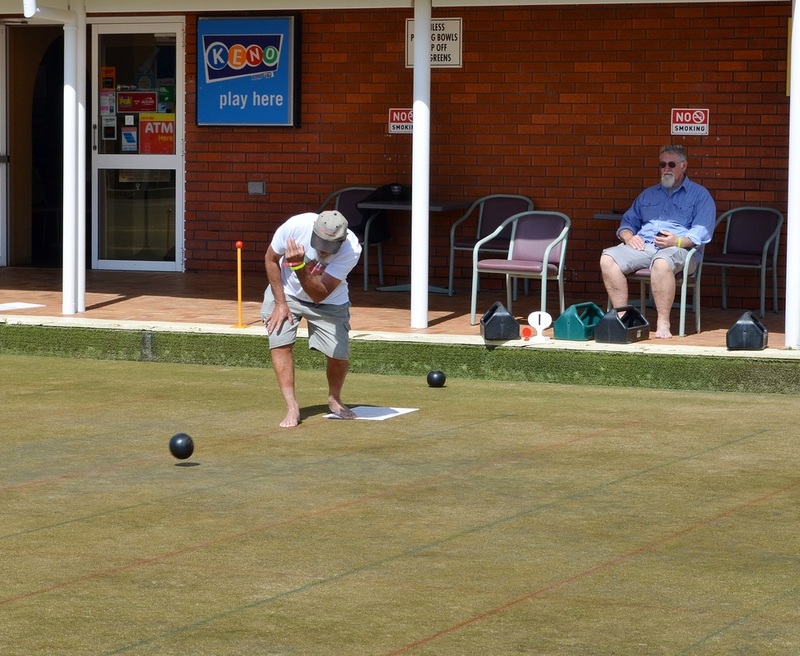 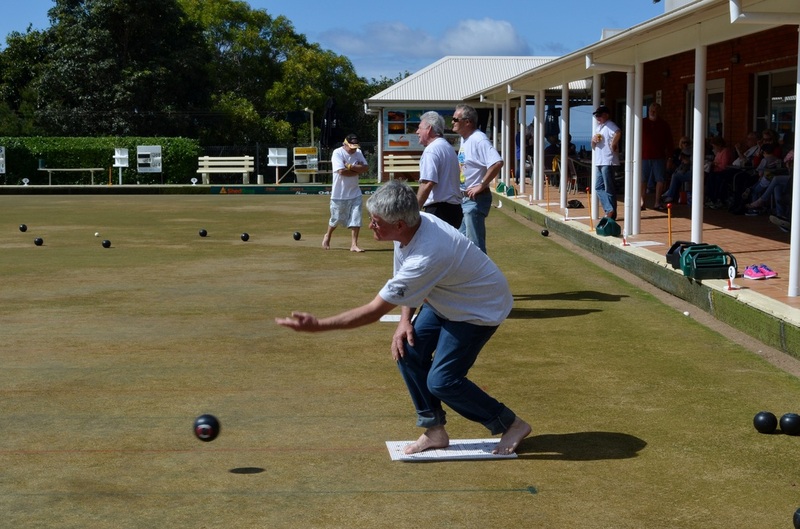 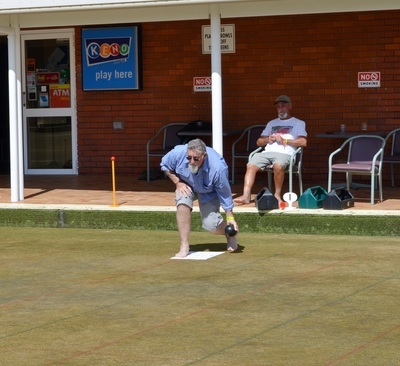 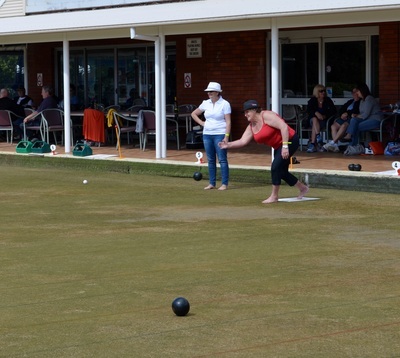 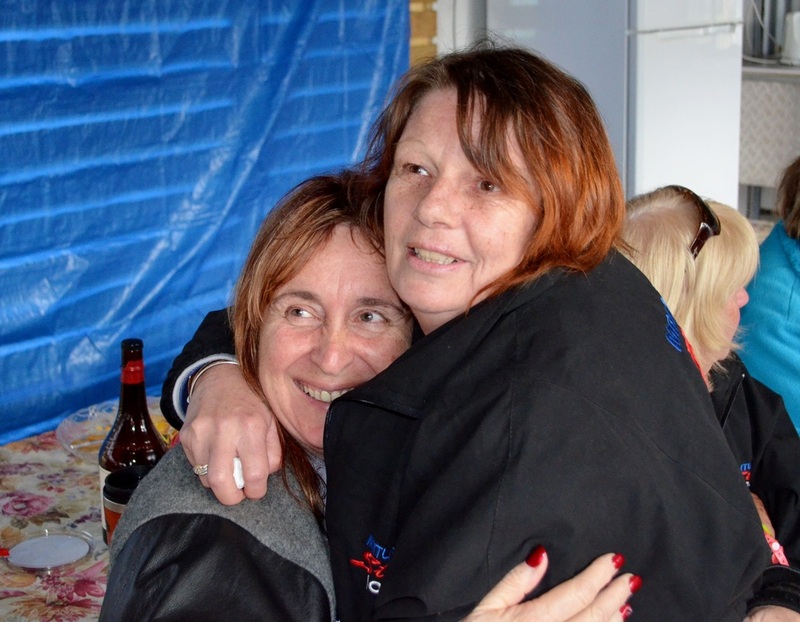 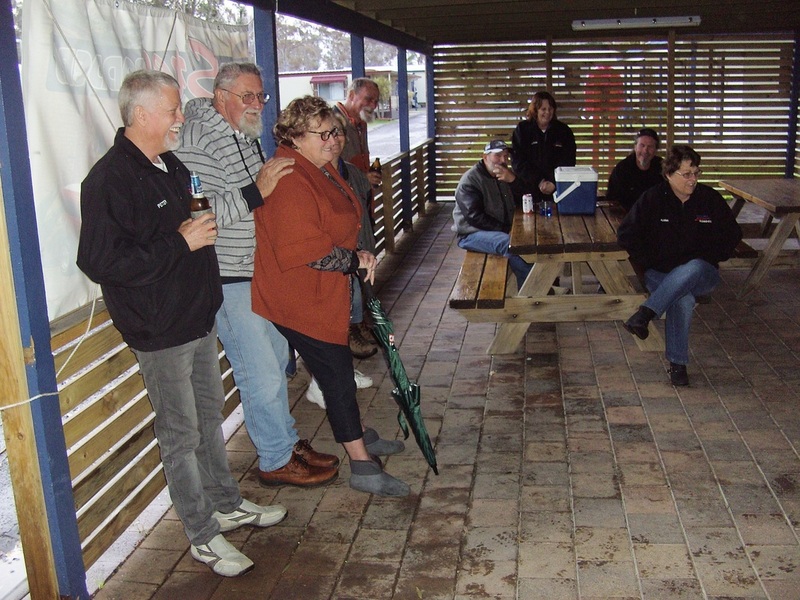 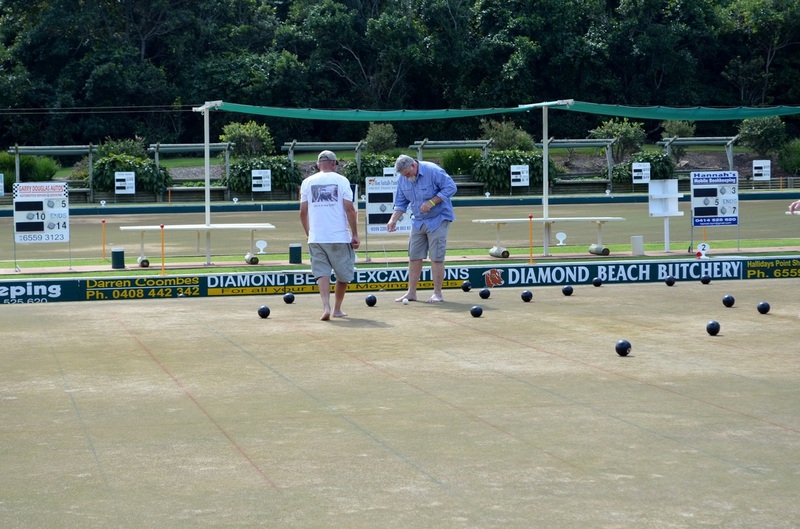 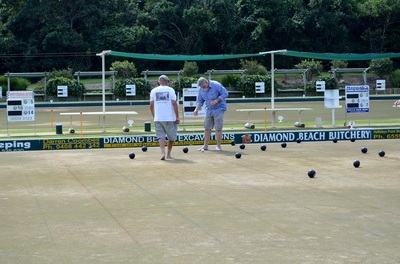 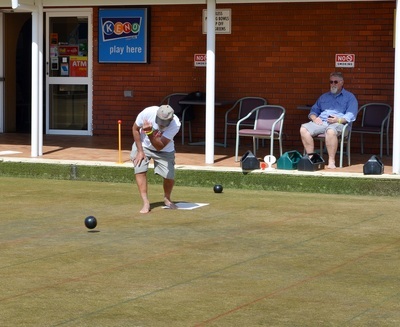 As per other years barefoot bowls was held on the Sunday and a great lunch at a good price was available to those that could attend. This year the event attracted about 100 entries and the top 5 rods would have been hard to choose with so many quality cars. 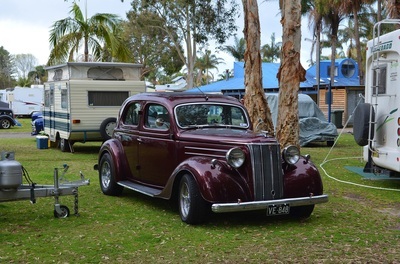 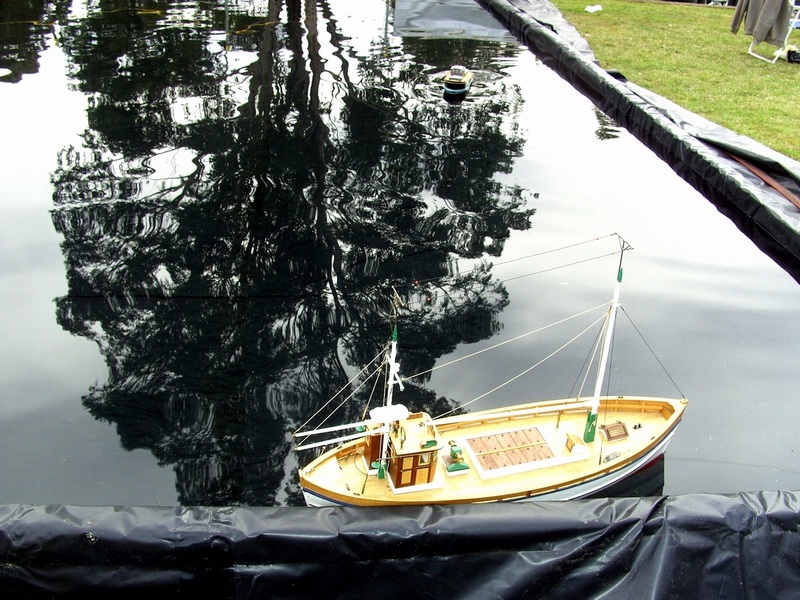 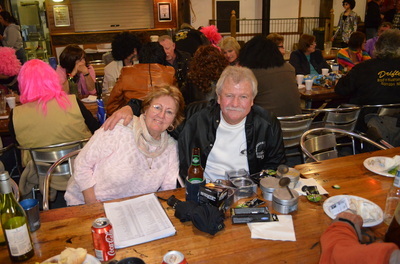 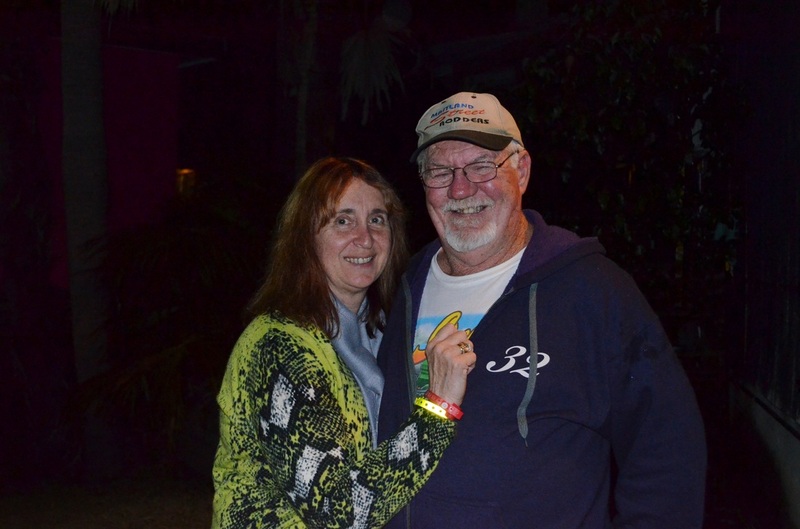 Bob and Carol's new rod was well received winning Entrants Choice, Sponsors Choice and was also placed in the Top 5. 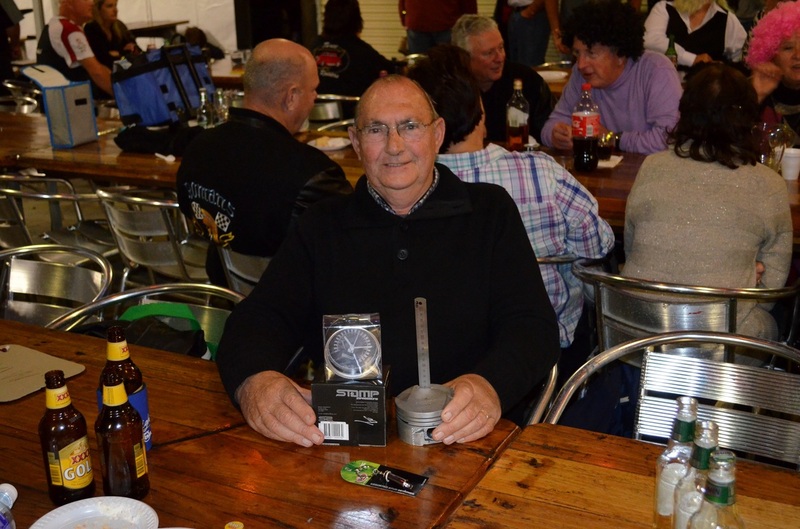 John won longest distance coming from Cowra and Maitland Street Rodders won the best represented club for the fourth year in a row. 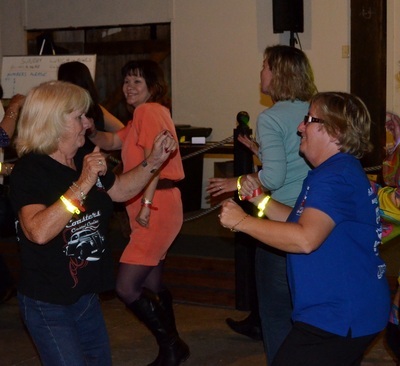 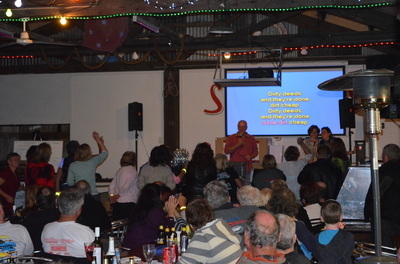 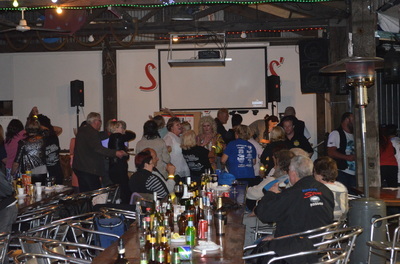 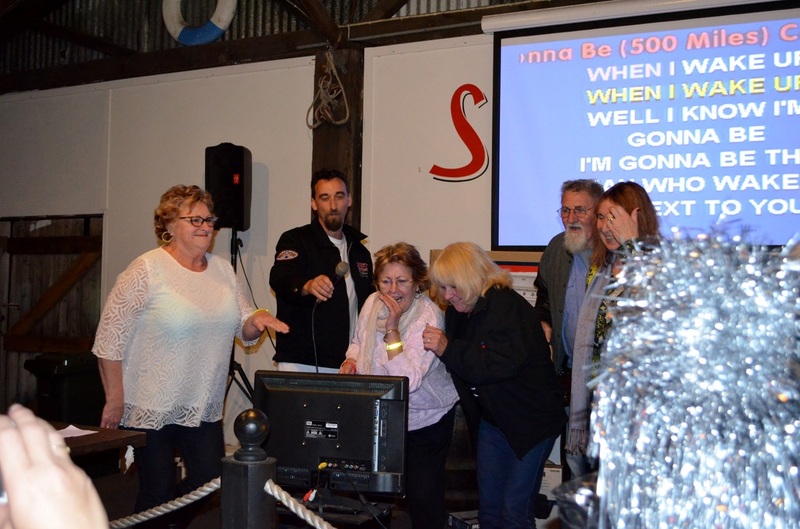 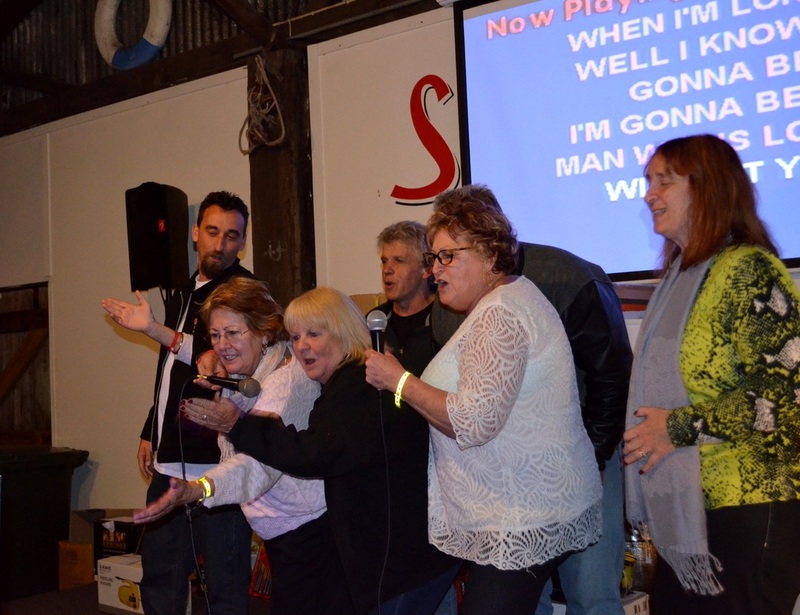 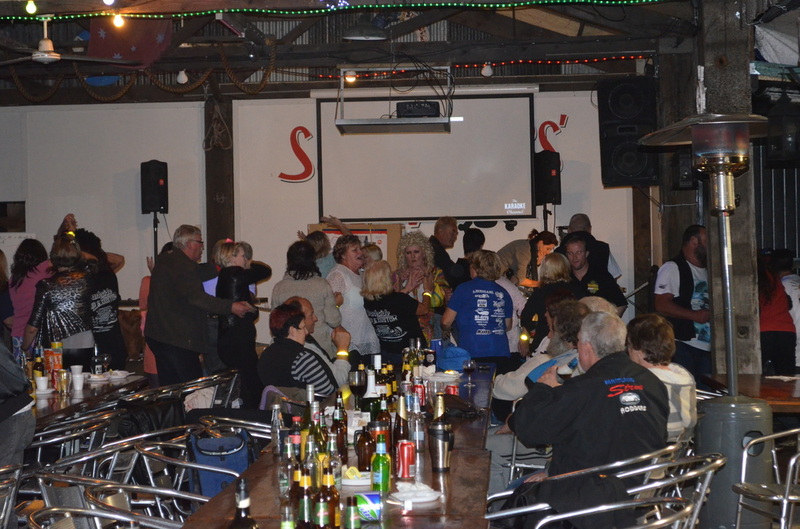 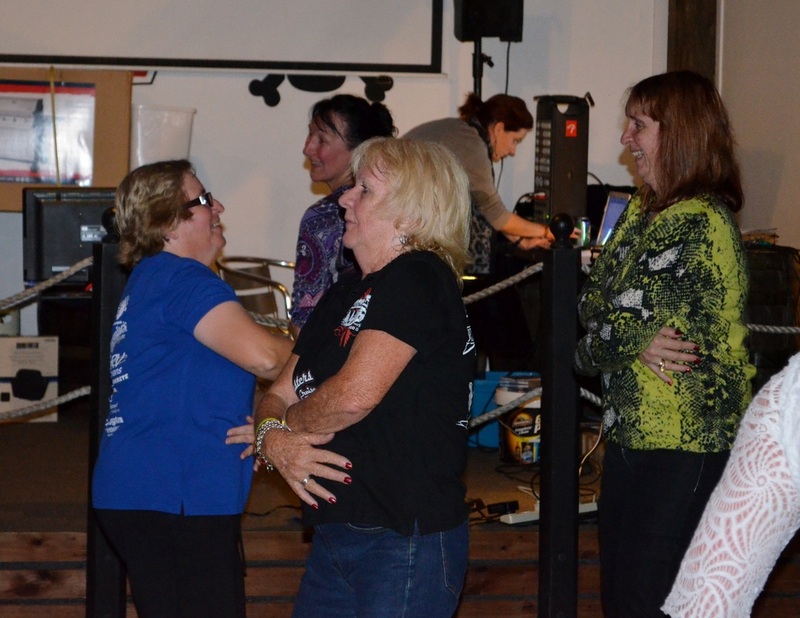 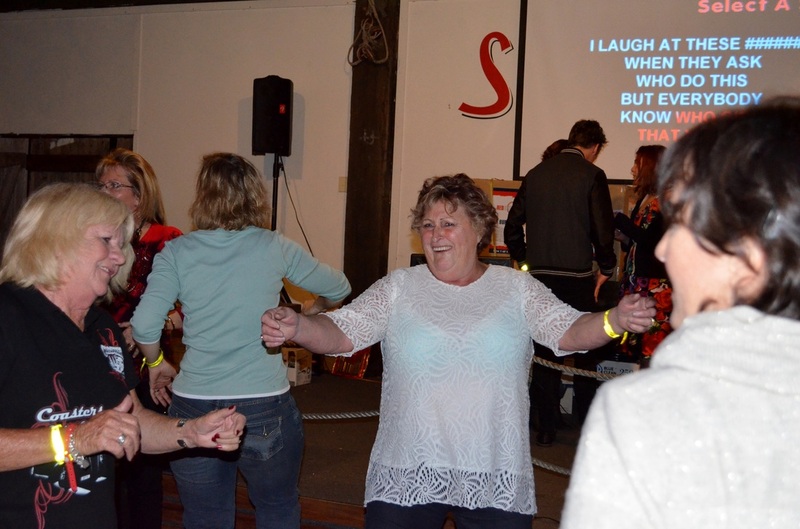 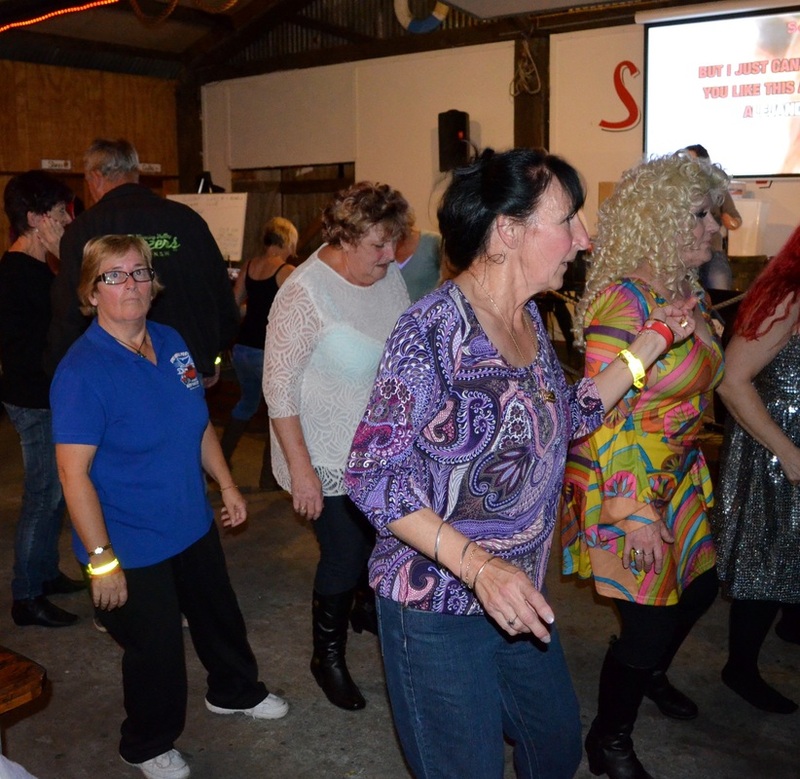 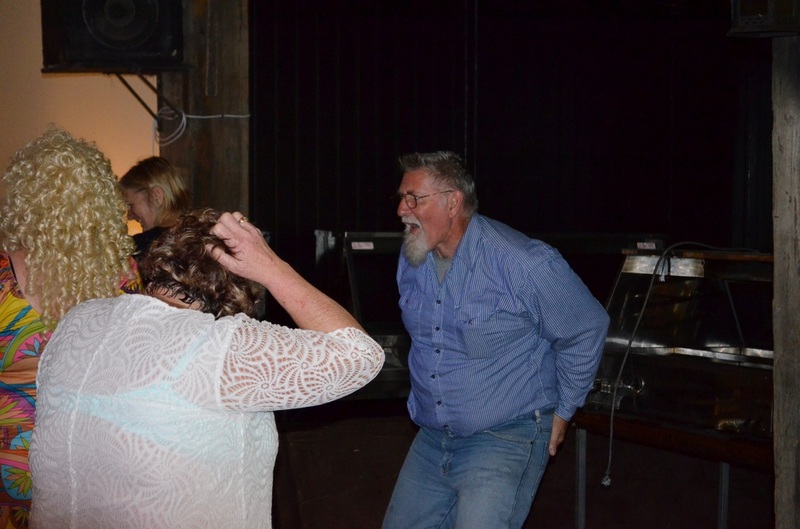 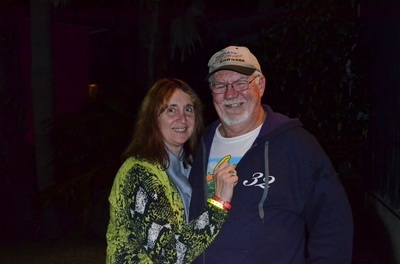 On the Saturday night the band did not turn up but the Karaoke got the night started and the dance music had them on their feet as the pictures will show. 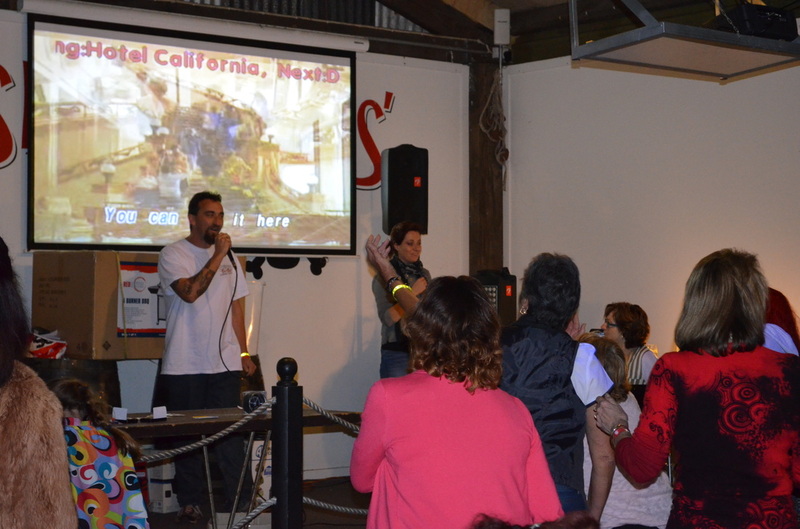 Noel got into the Macarena and it was best to leave the red eye in the shot at the end of his performance. 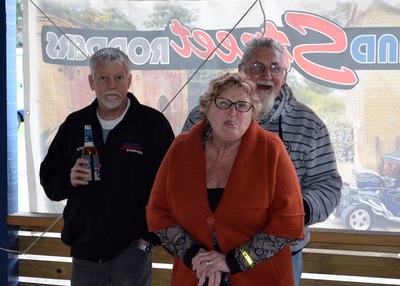 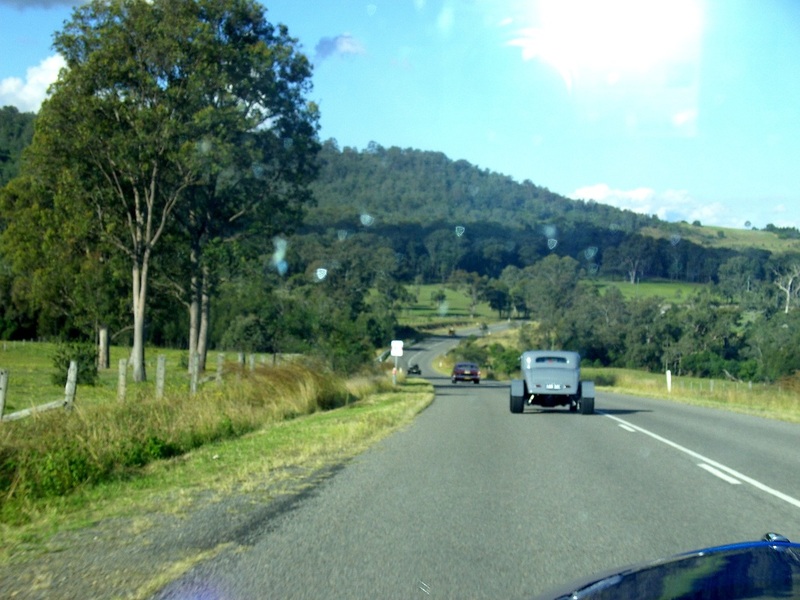 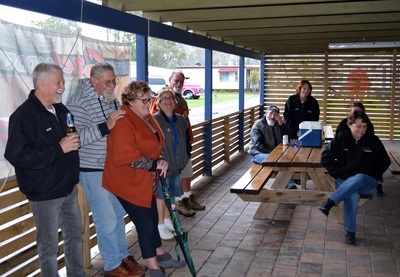 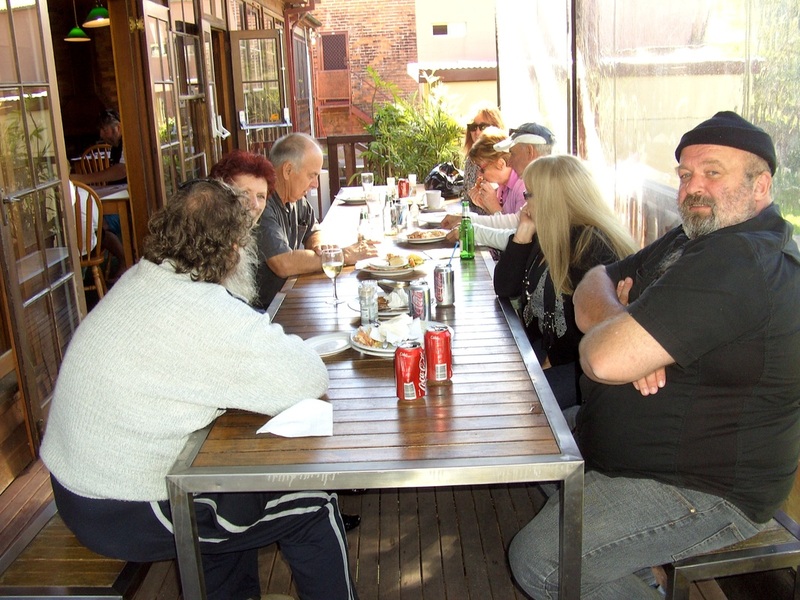 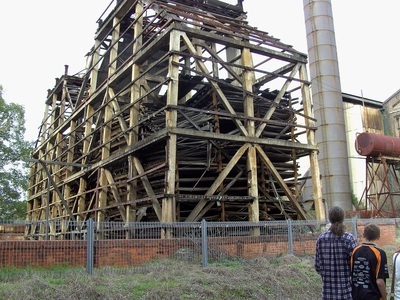 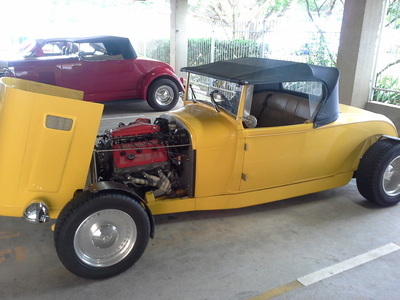 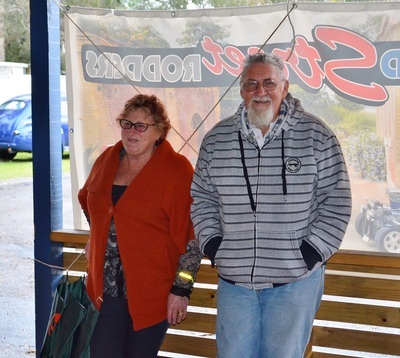 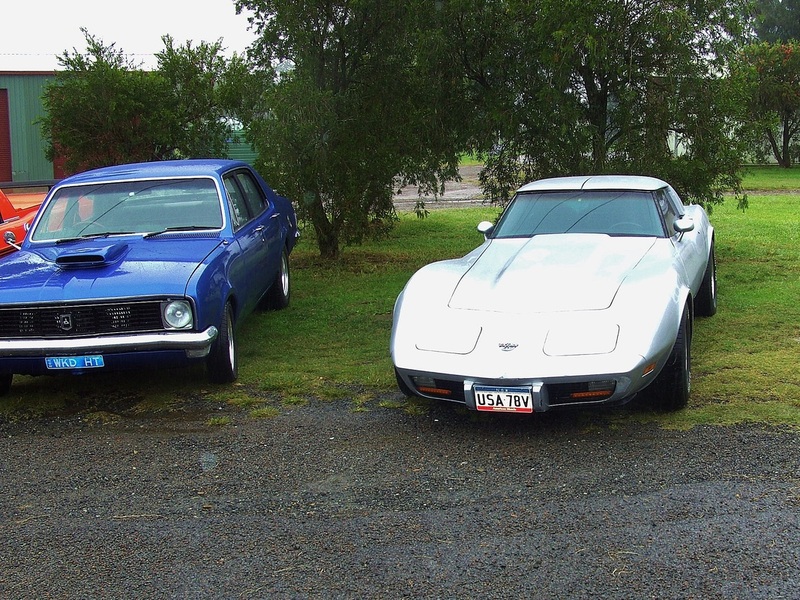 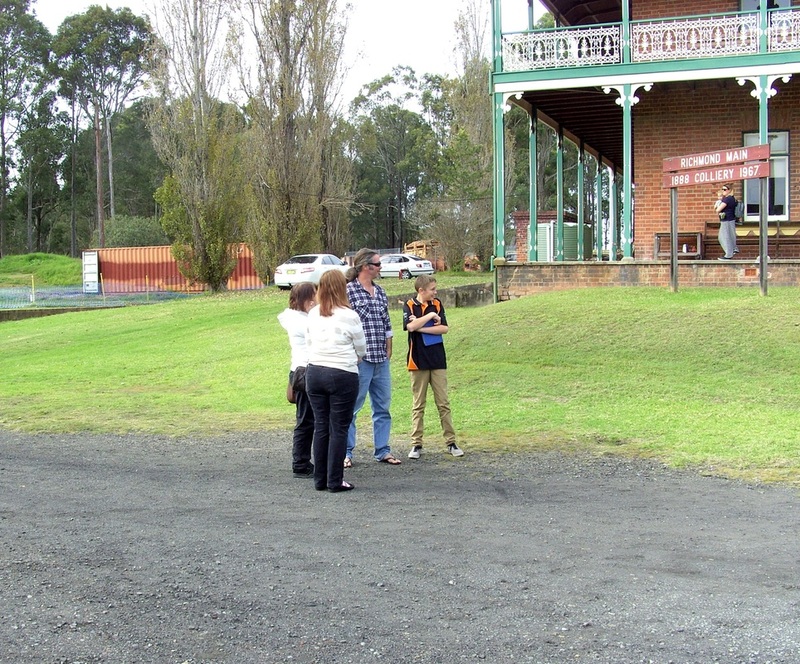 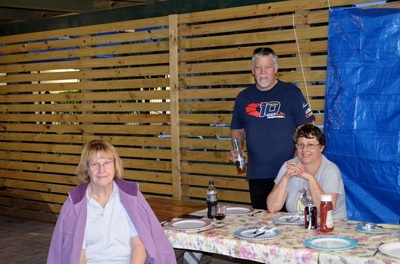 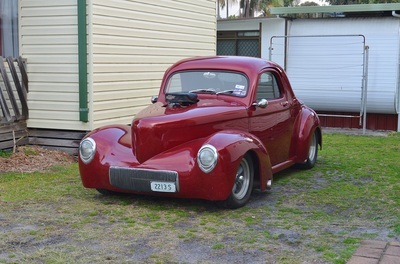 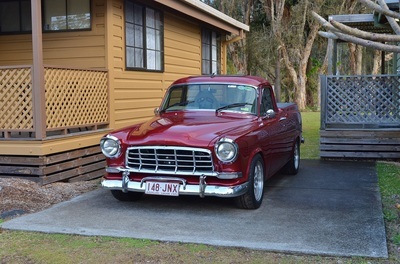 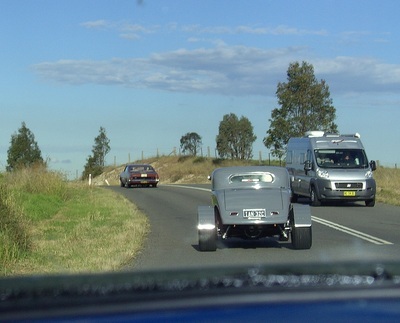 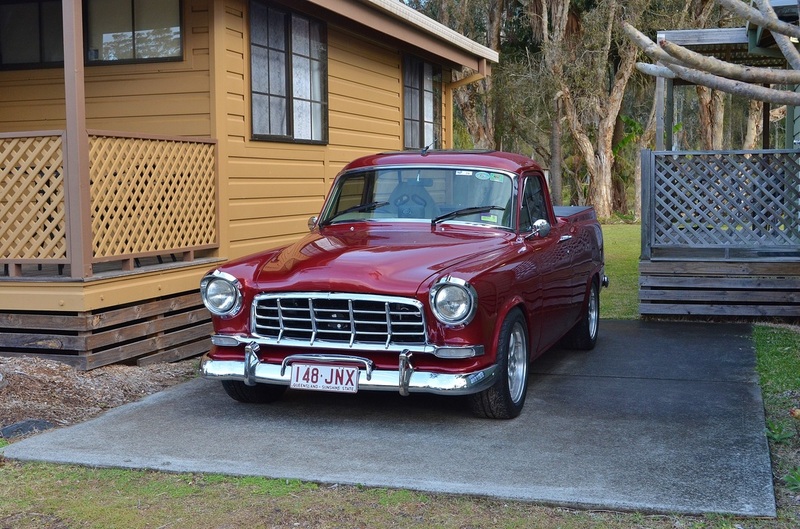 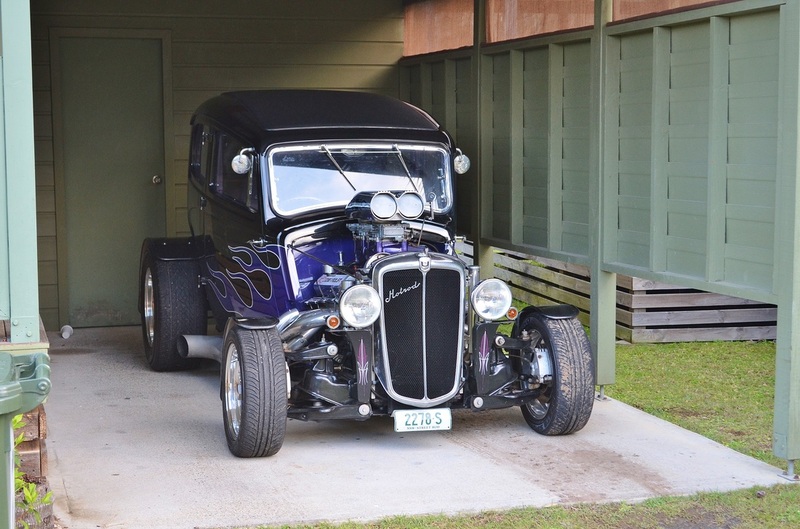 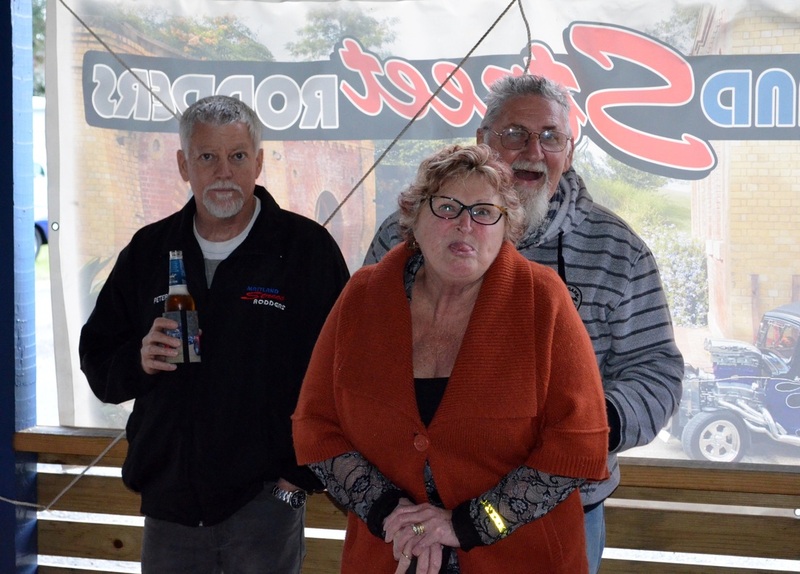 Liberty Rodders had a run for lunch at Vacy and some of our members went along for the day. 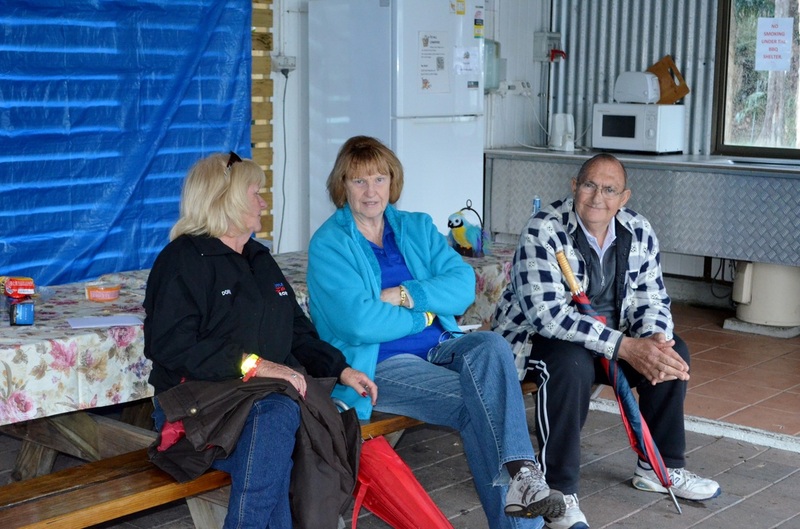 While the weather was not the best they all had a great time and the lunch was excellent. 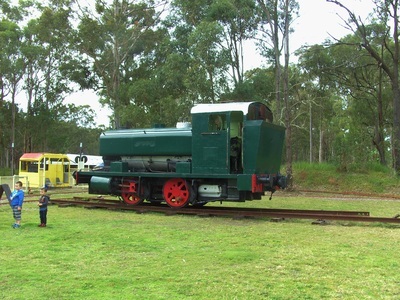 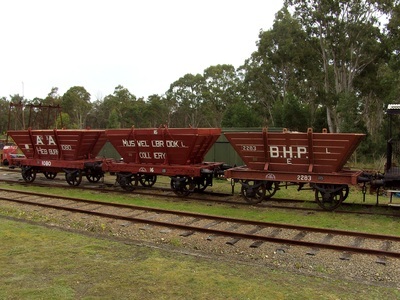 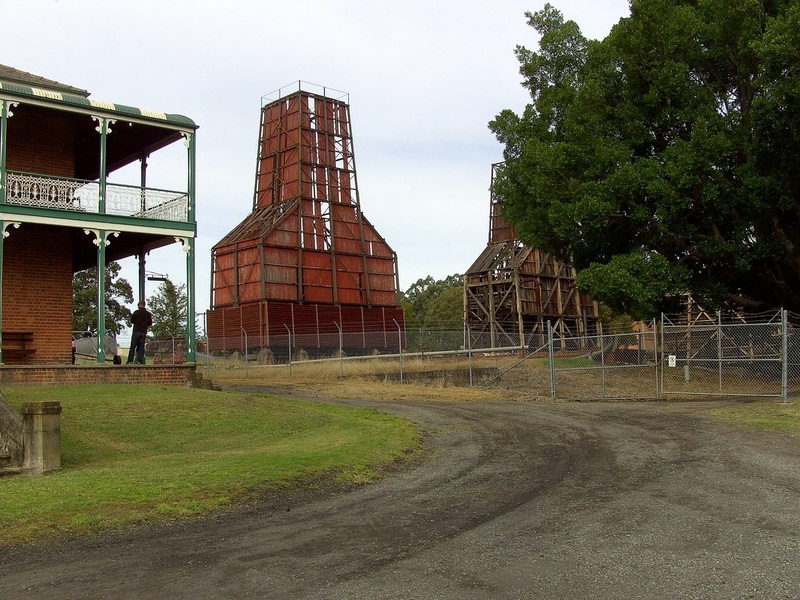 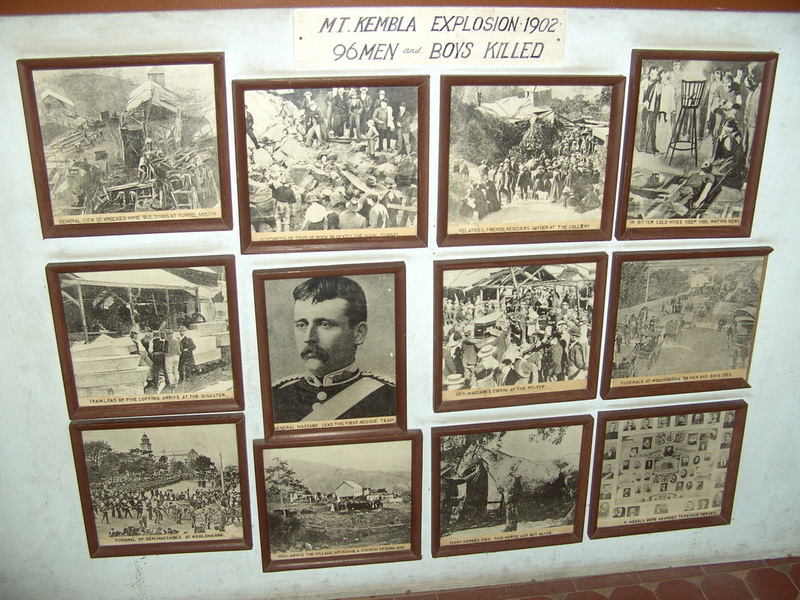 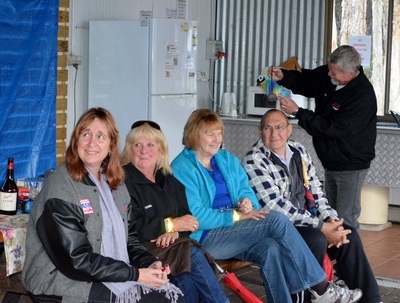 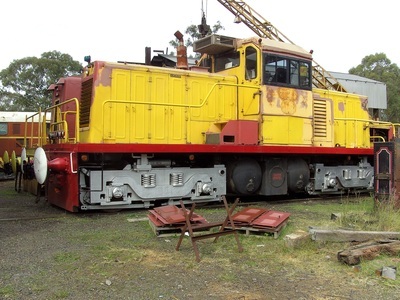 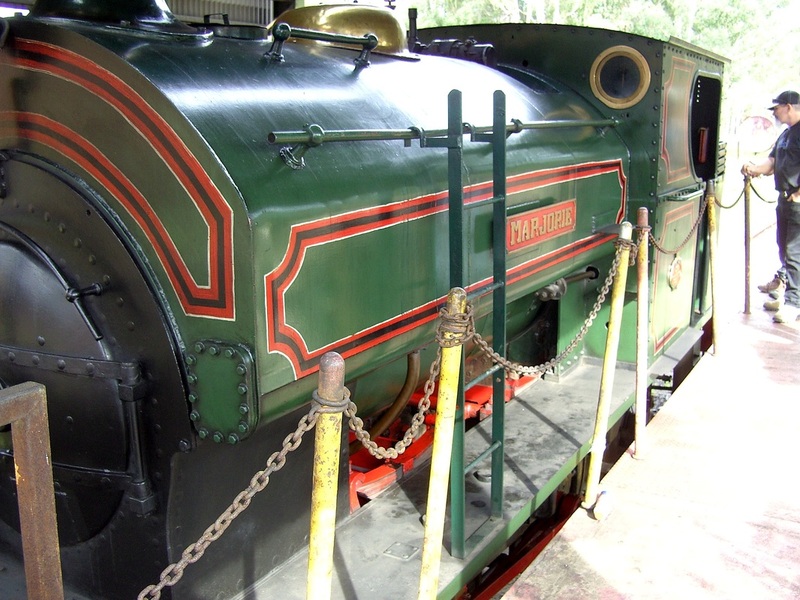 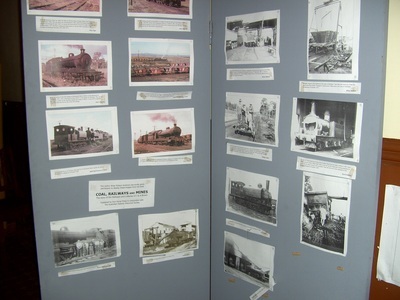 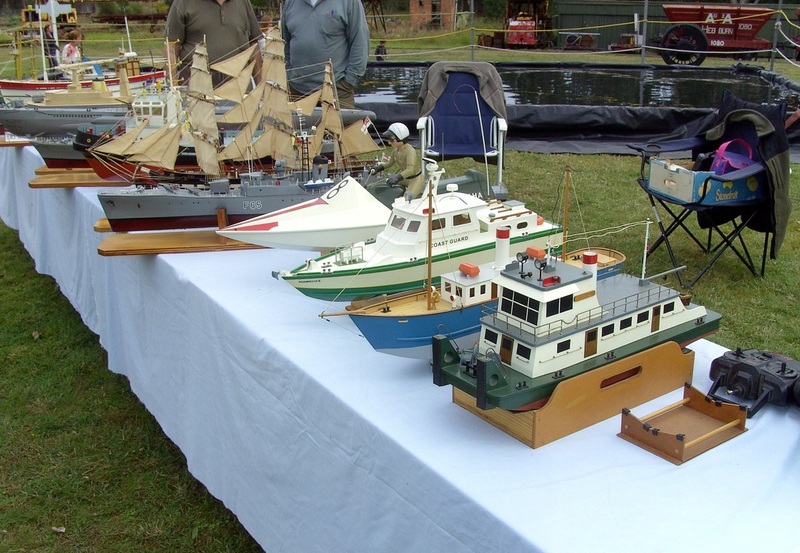 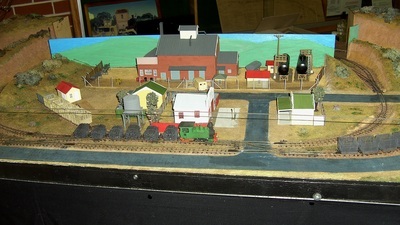 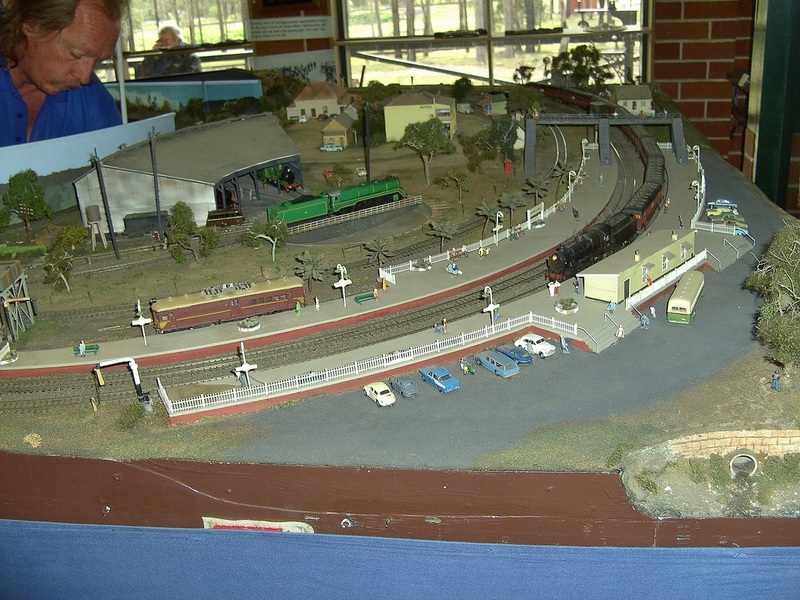 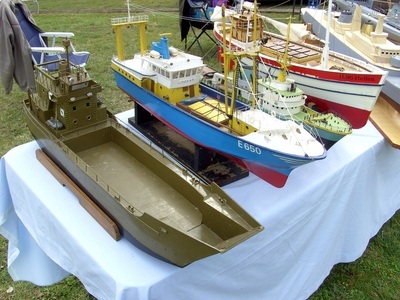 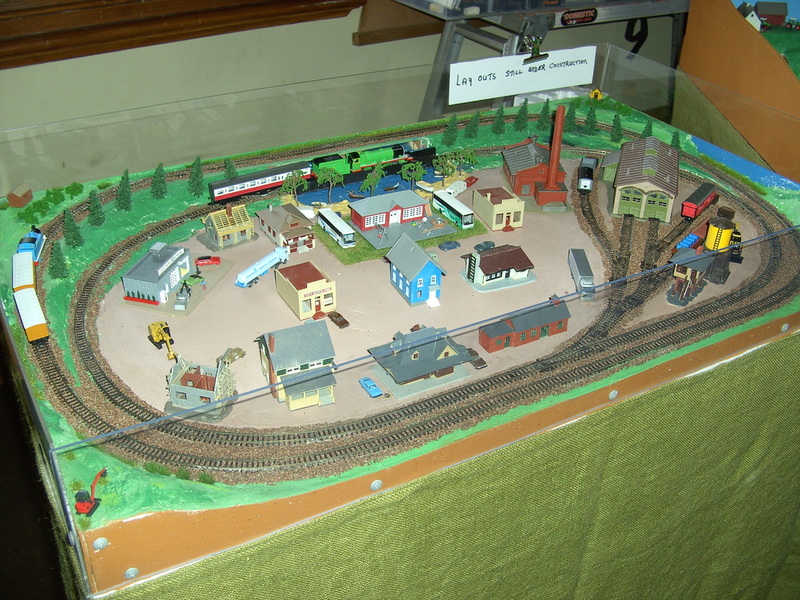 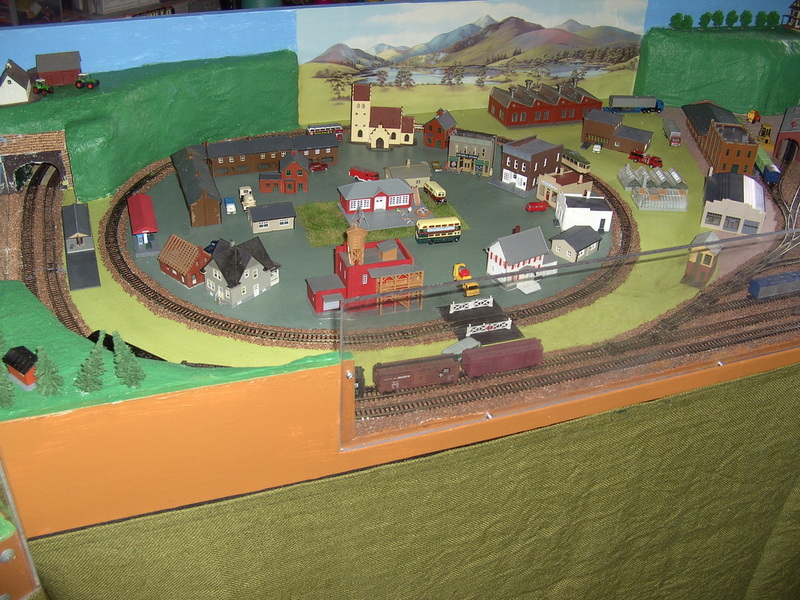 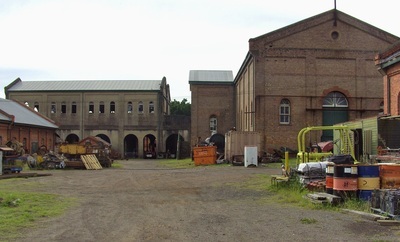 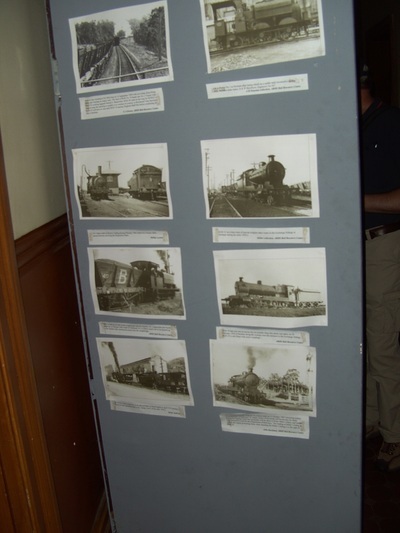 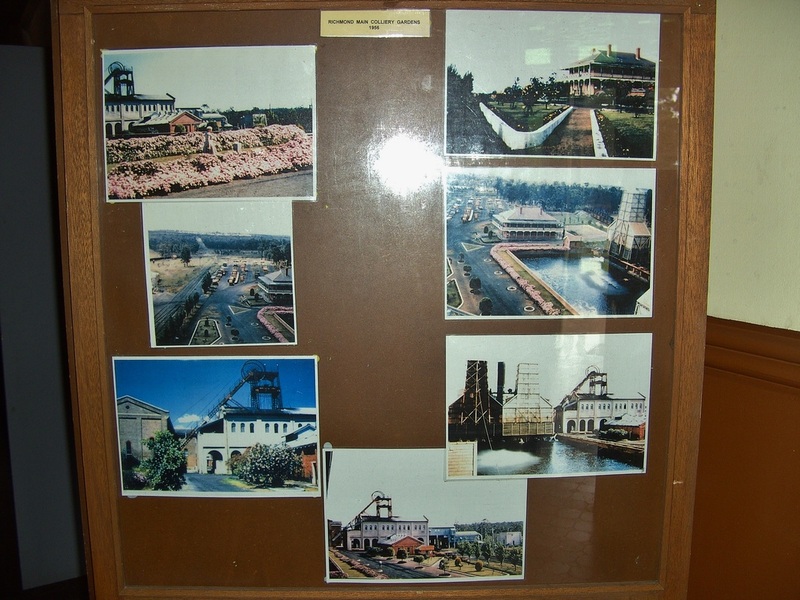 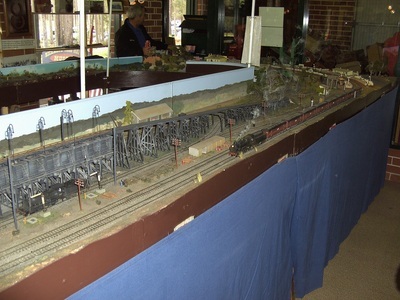 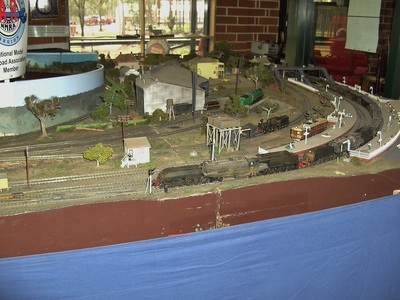 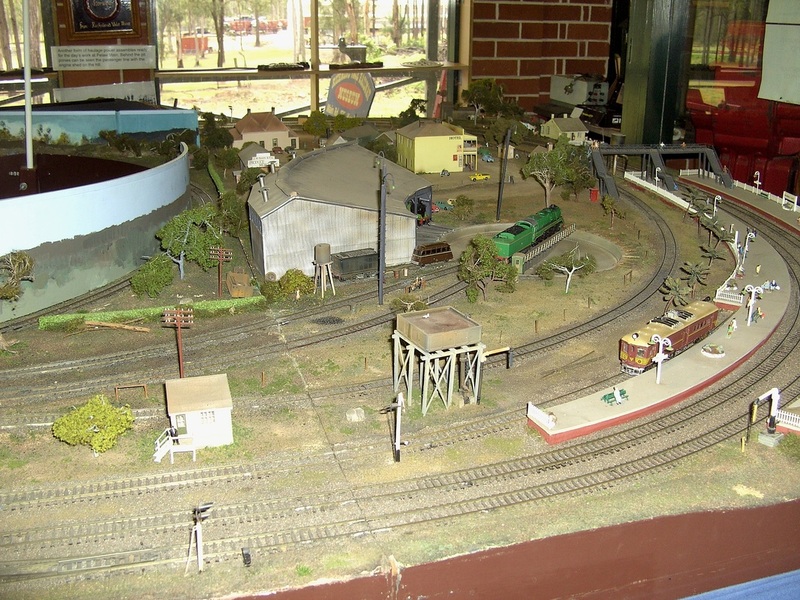 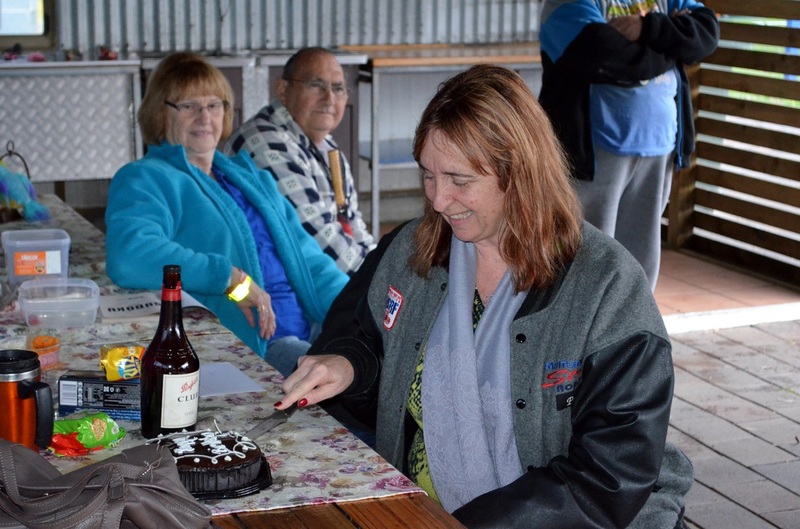 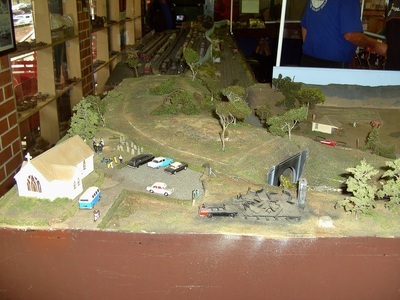 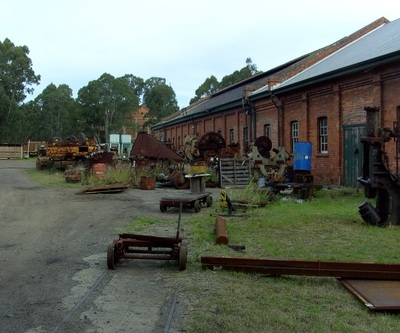 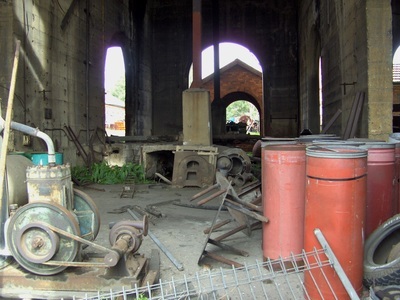 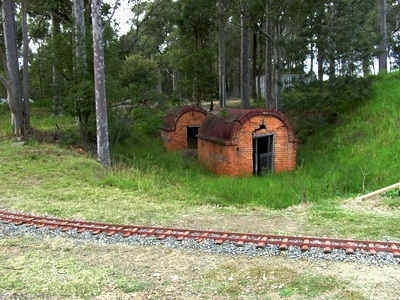 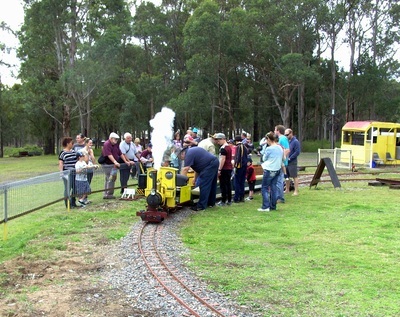 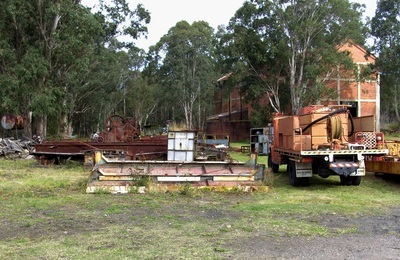 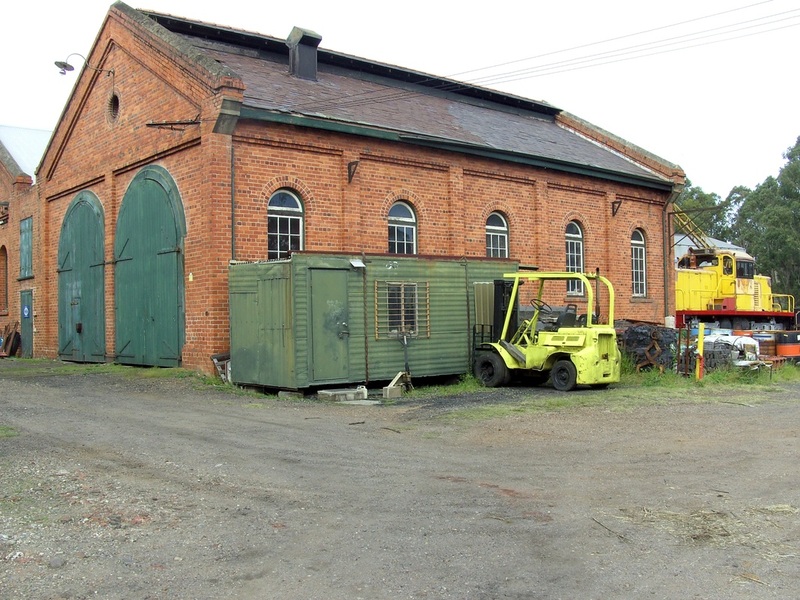 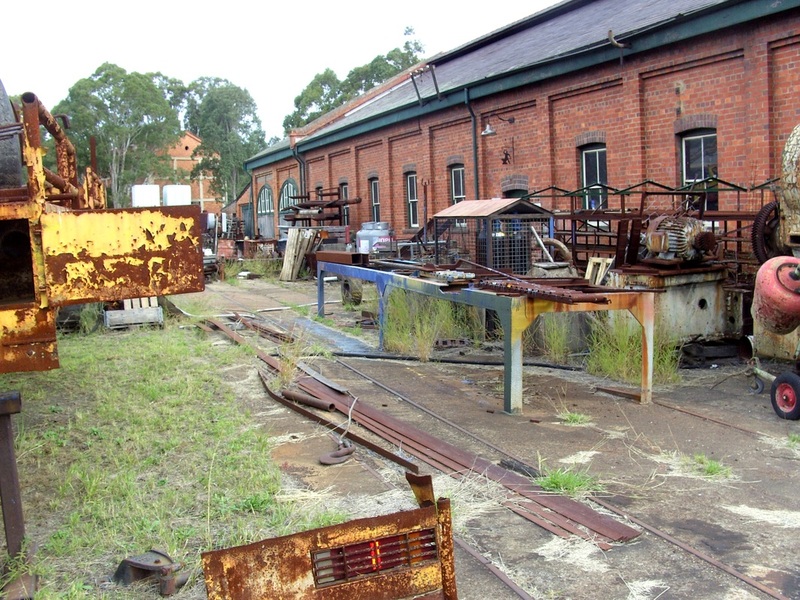 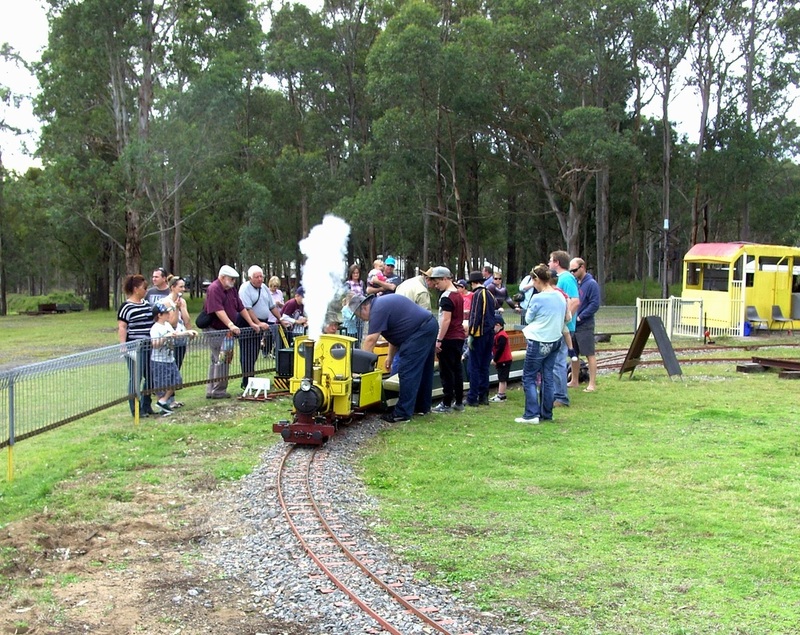 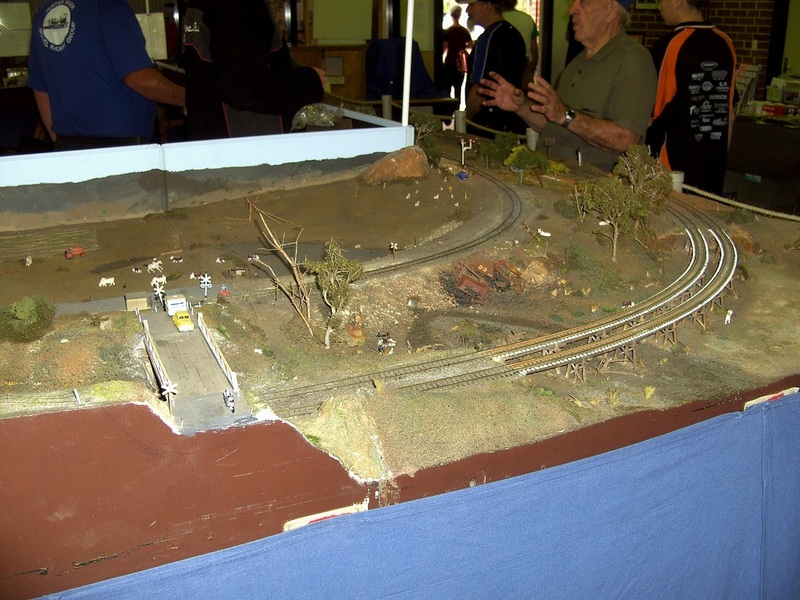 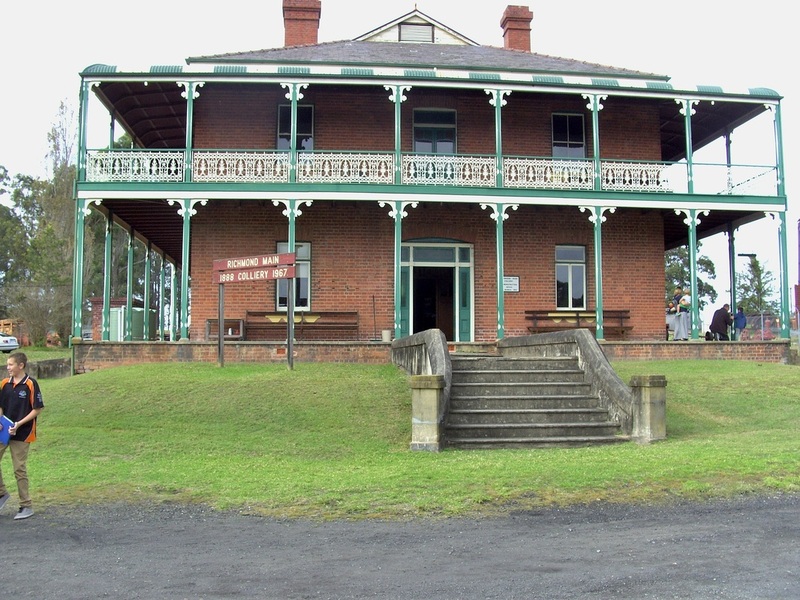 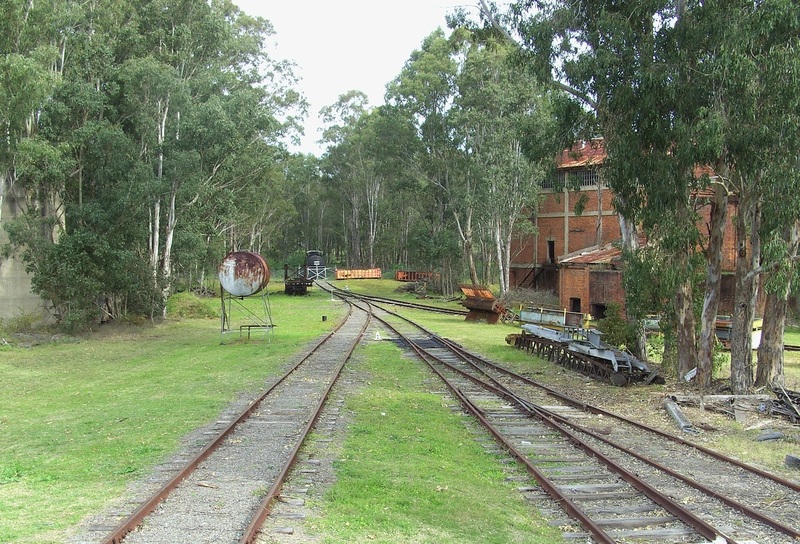 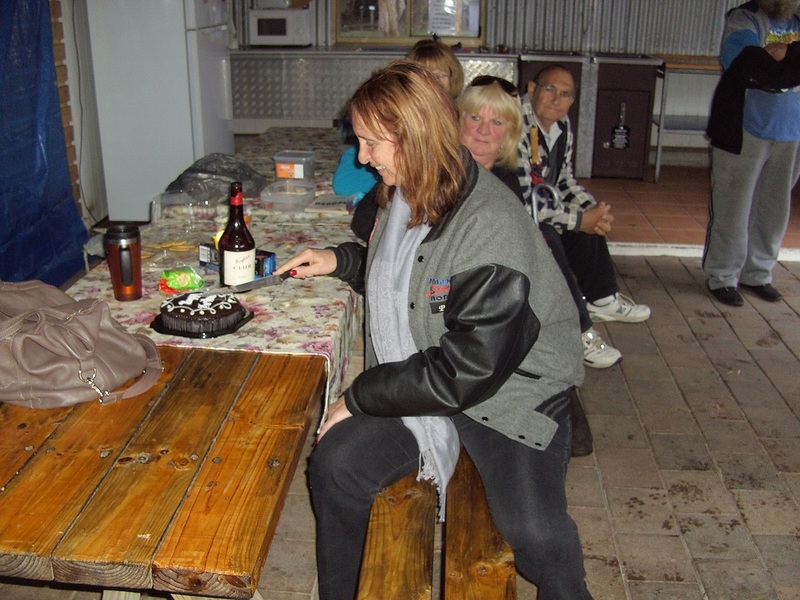 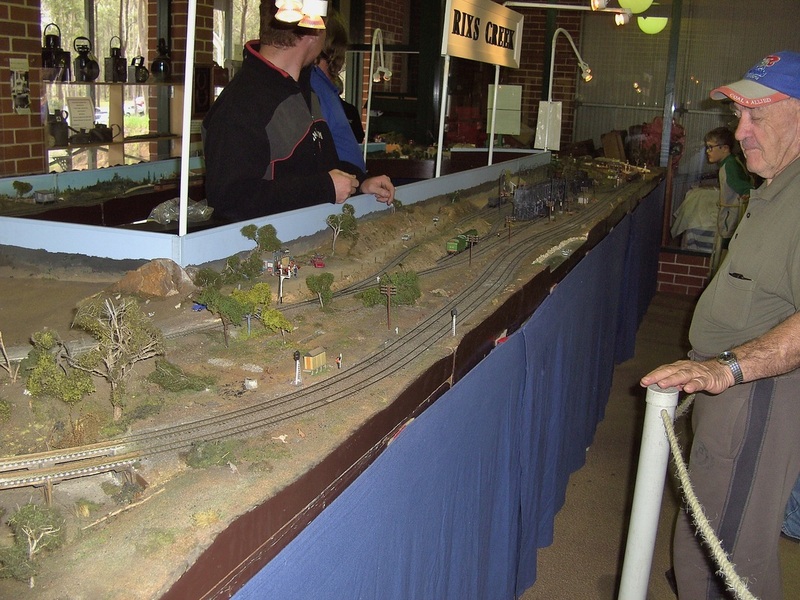 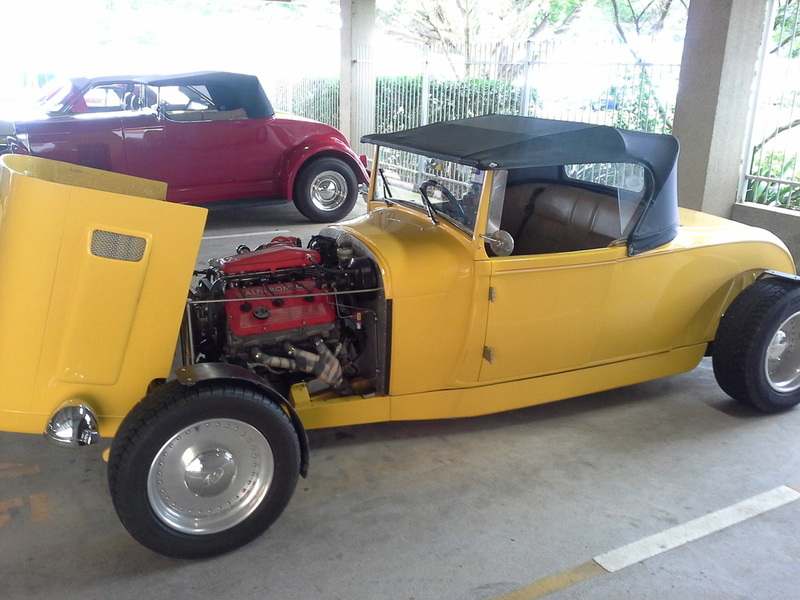 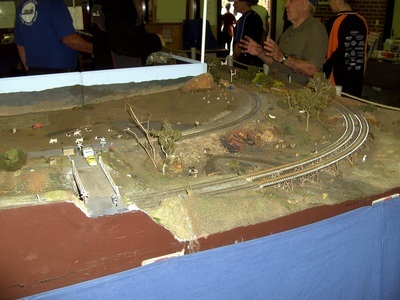 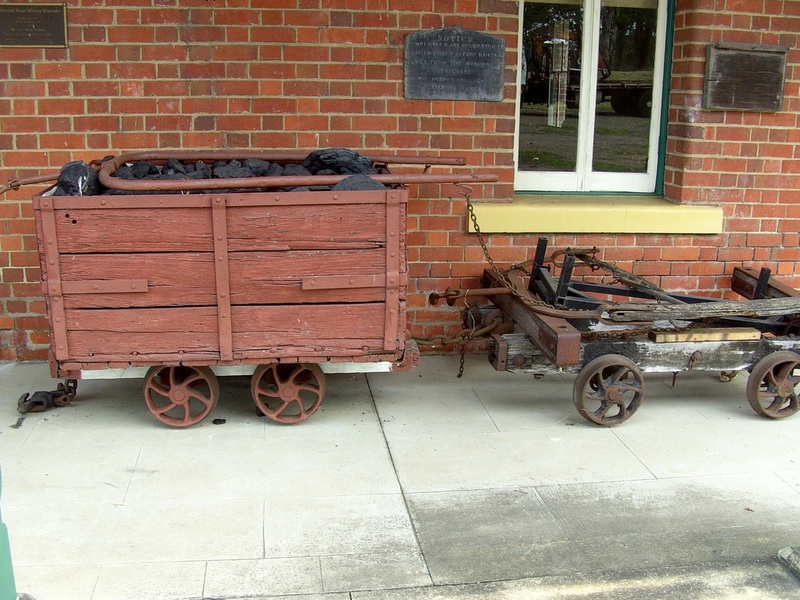 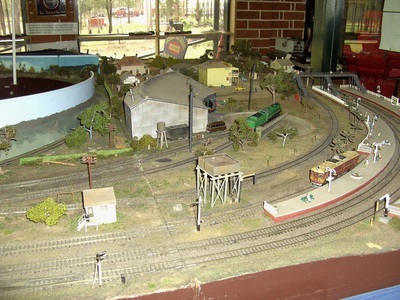 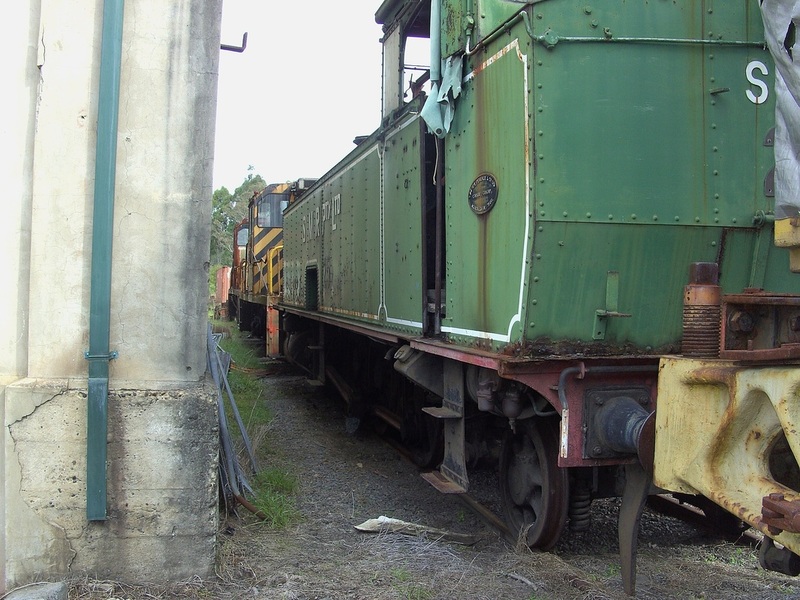 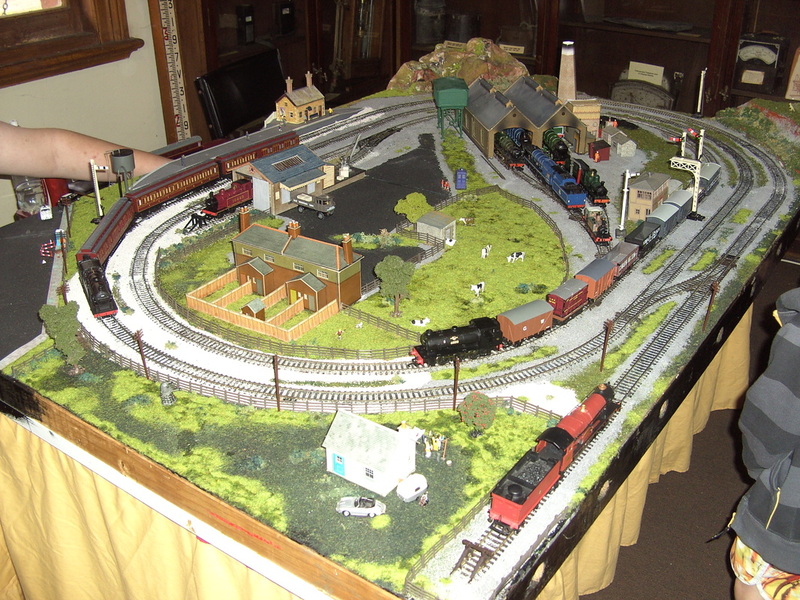 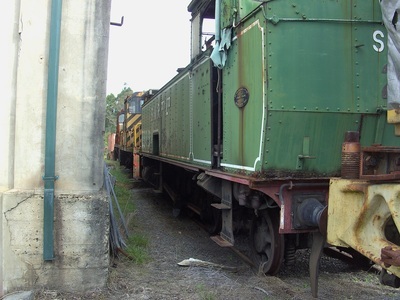 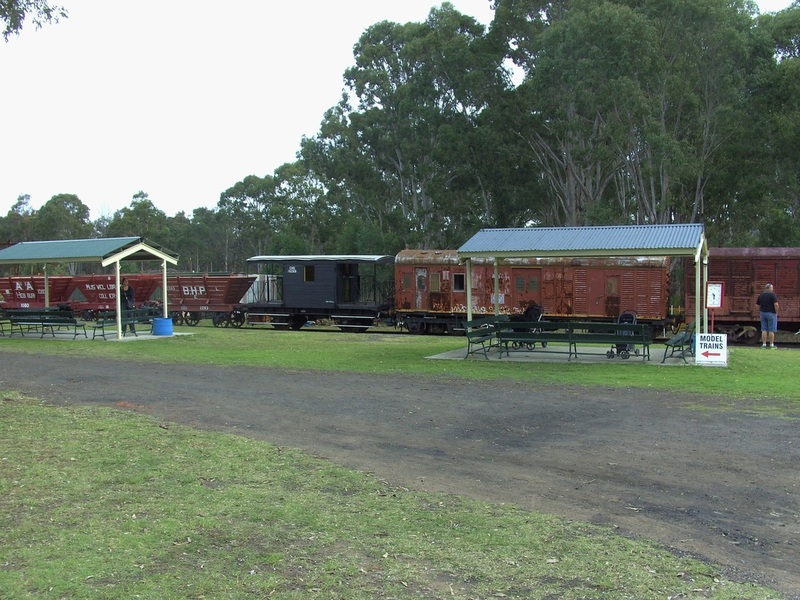 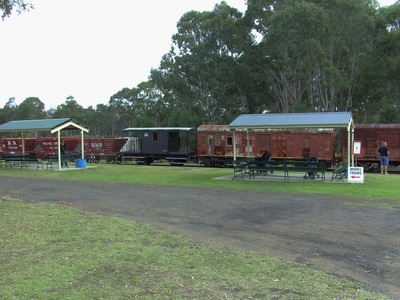 Richmond Vale Rail Museum had an open day and Liberty rodders invited our club to also attend. 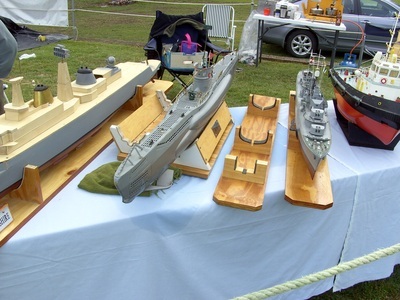 It was a great day out with a lot to see and all those who attended enjoyed the day.